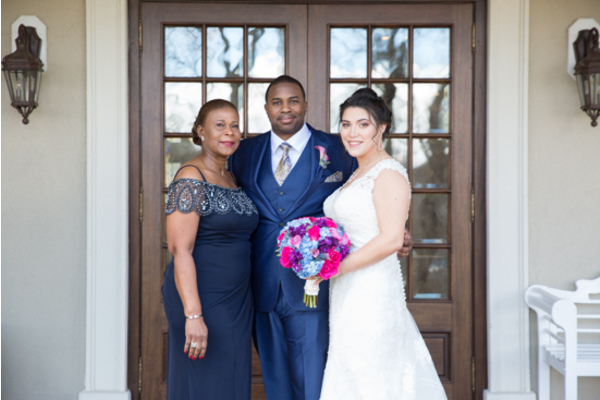 Congratulations to the newly married couple Stephanie and Jean! 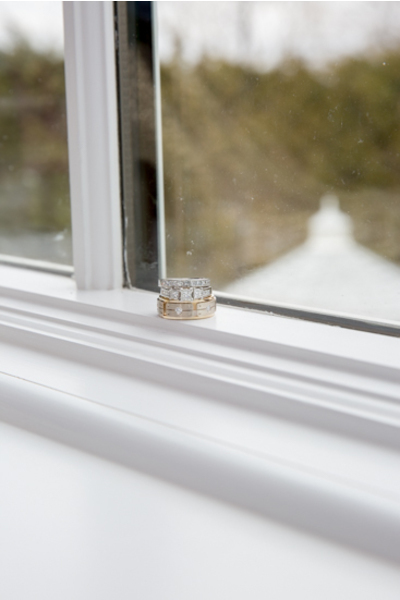 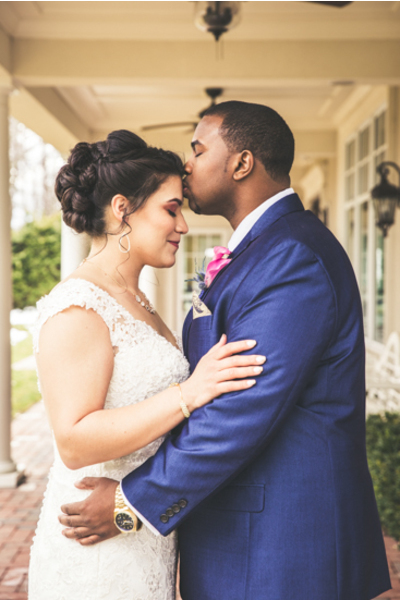 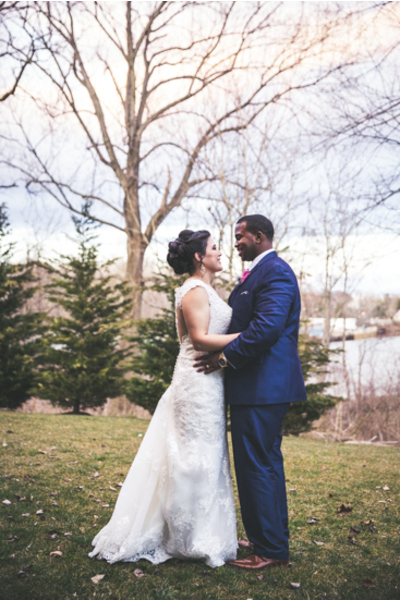 On a beautiful spring day, this lovely couple wrote the first chapter of their lives together as Mr. & Mrs. 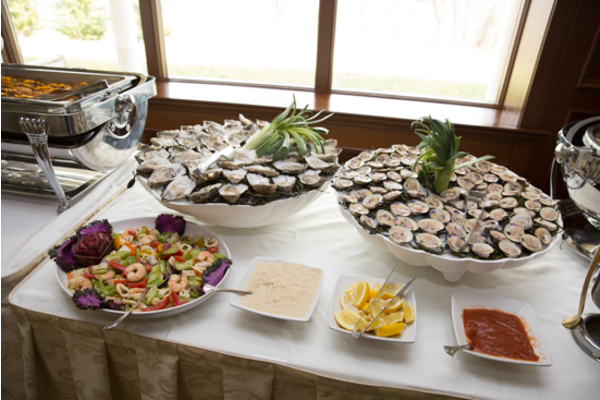 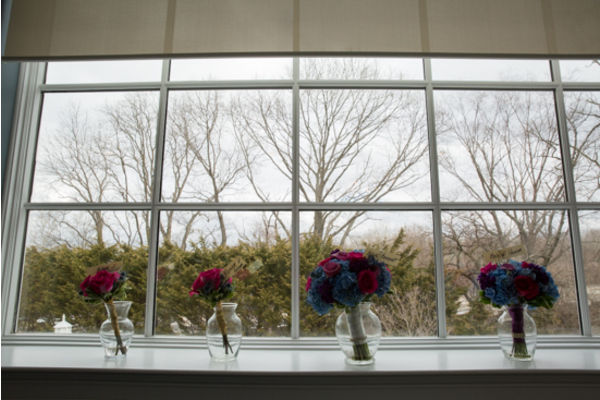 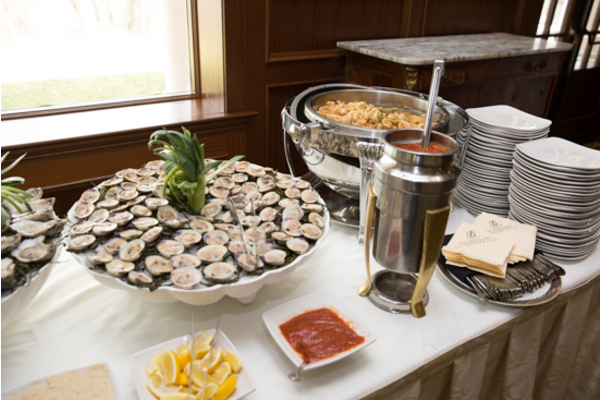 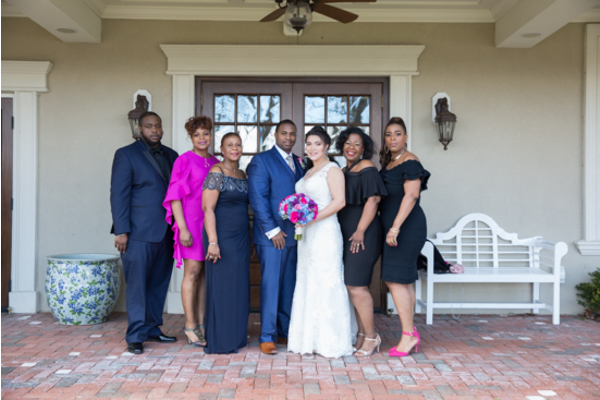 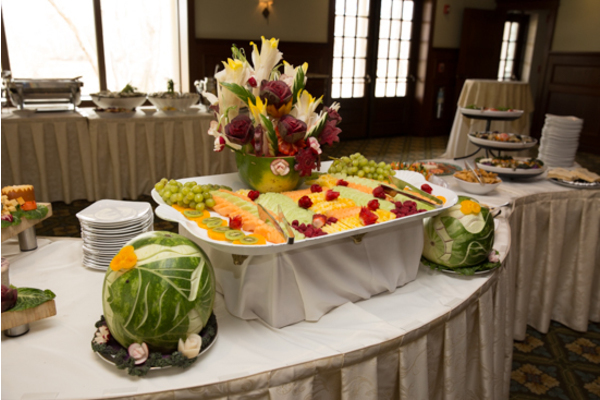 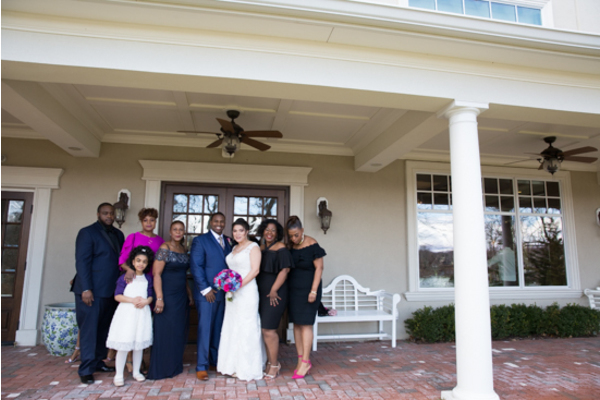 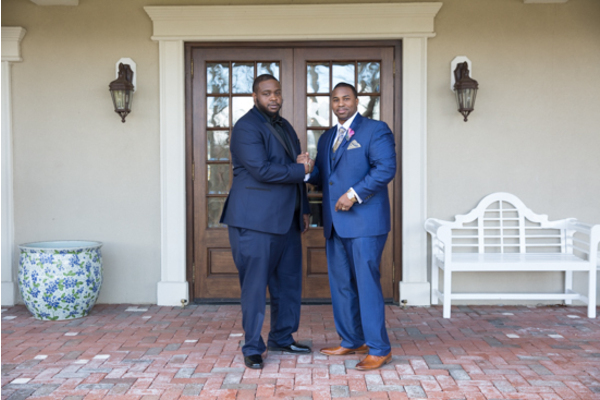 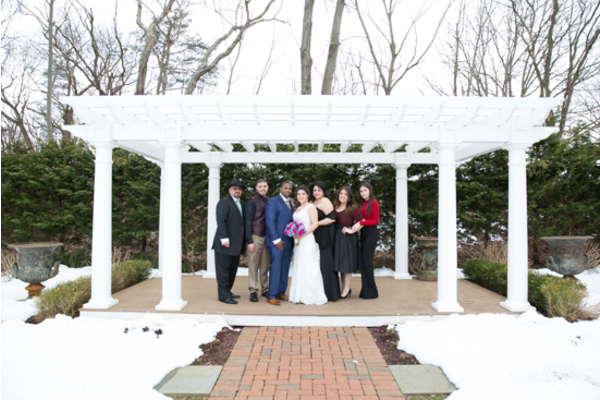 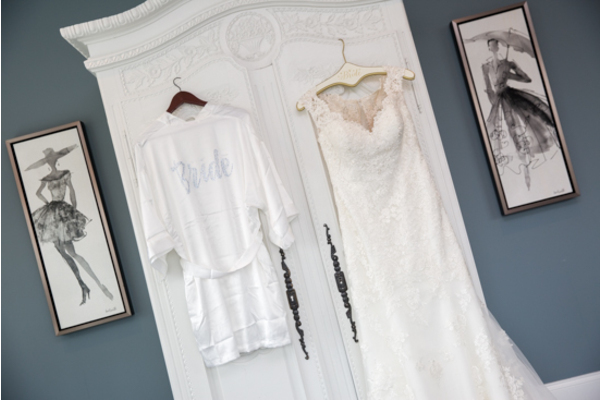 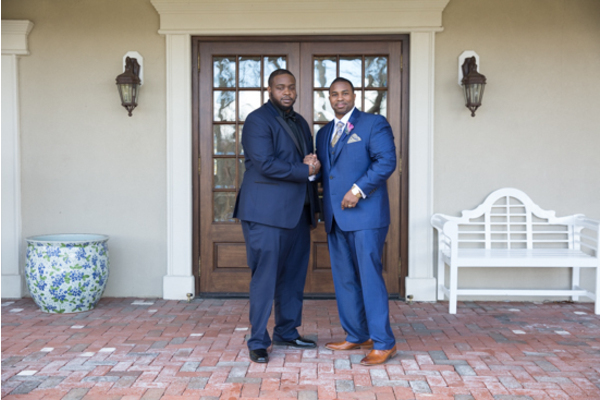 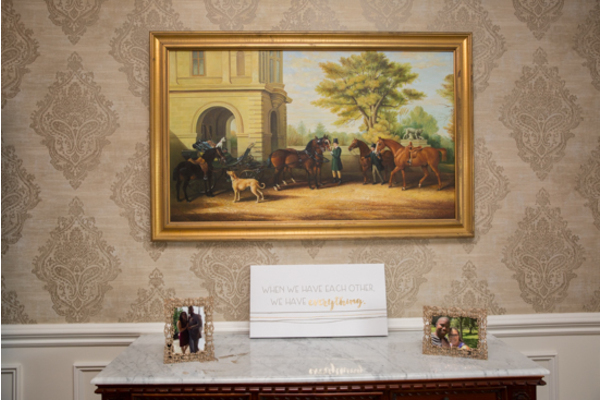 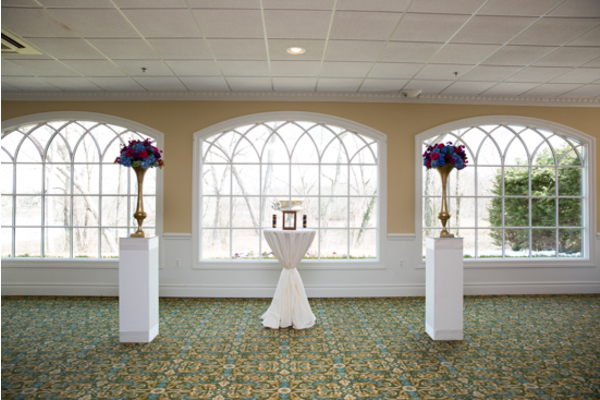 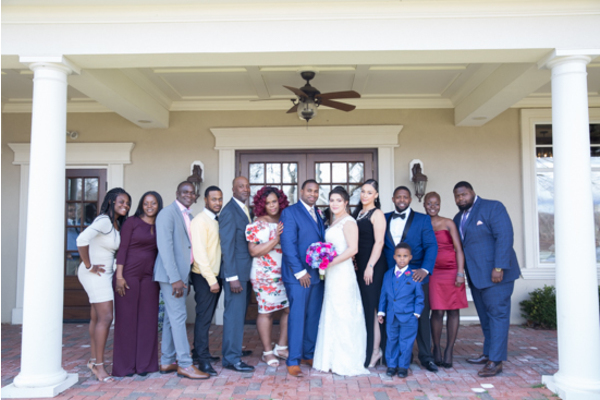 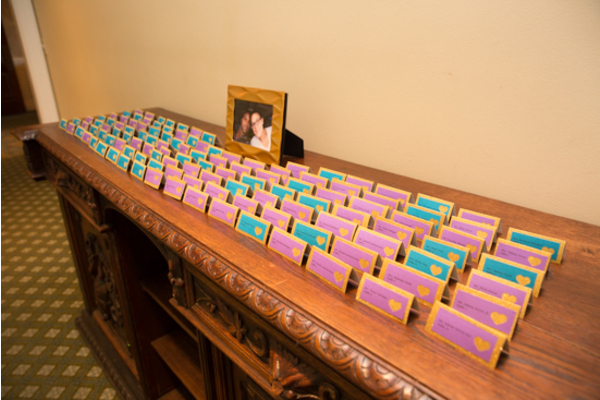 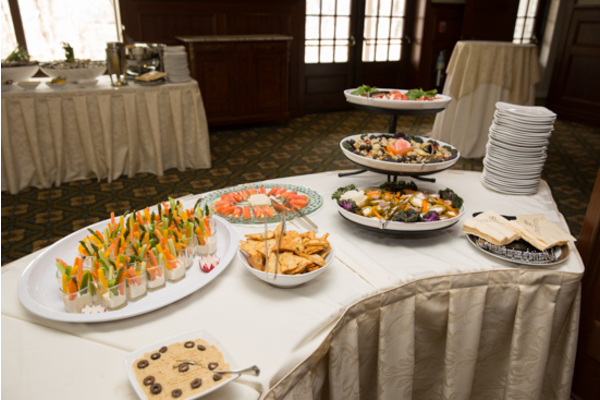 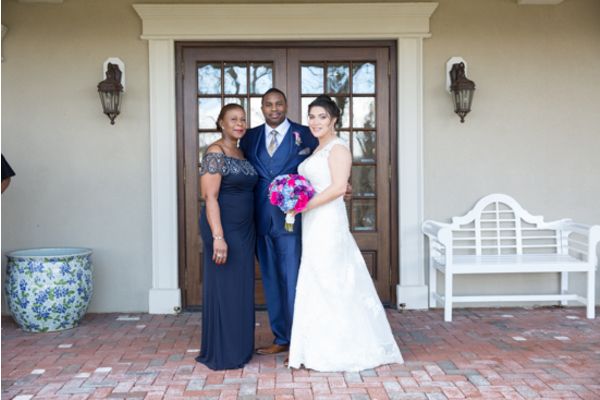 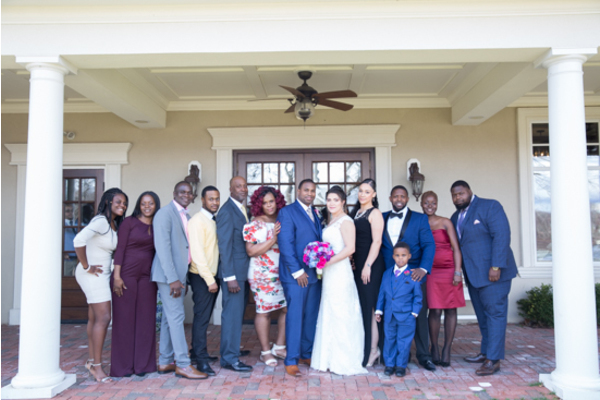 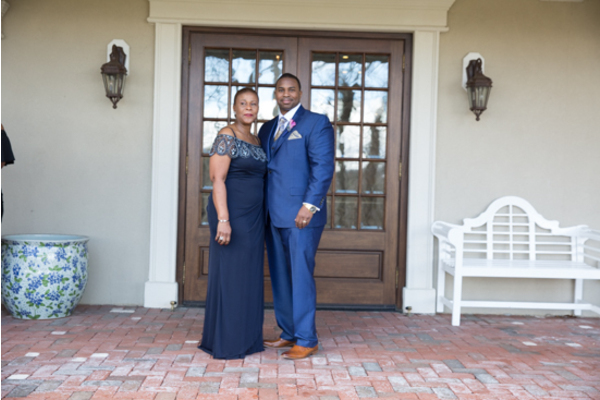 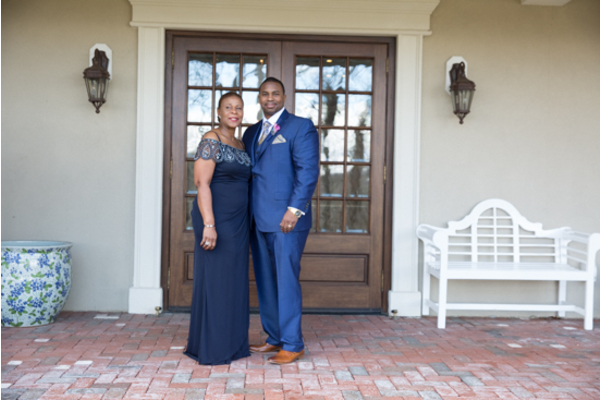 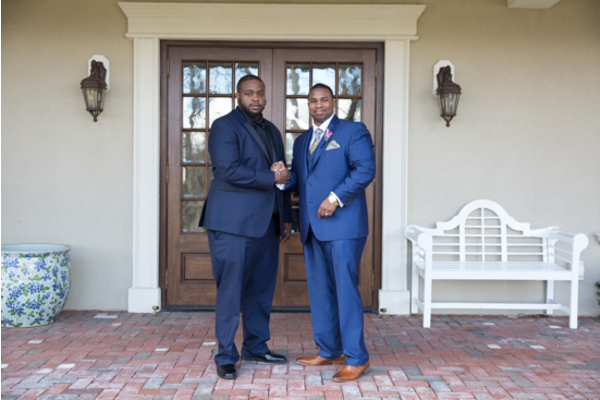 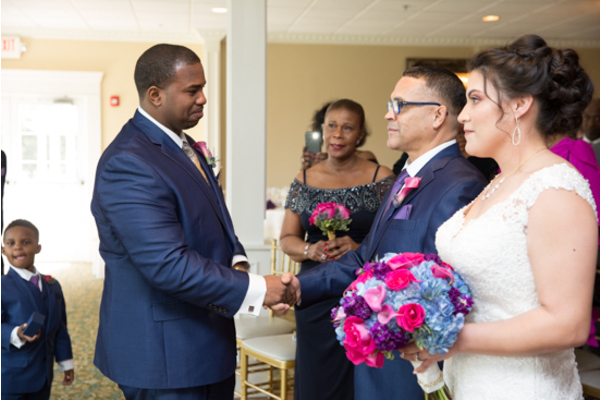 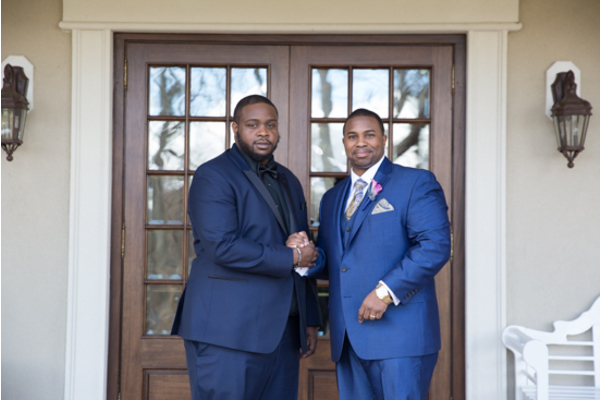 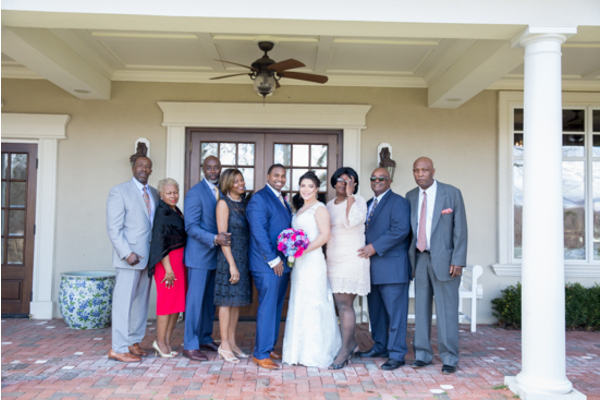 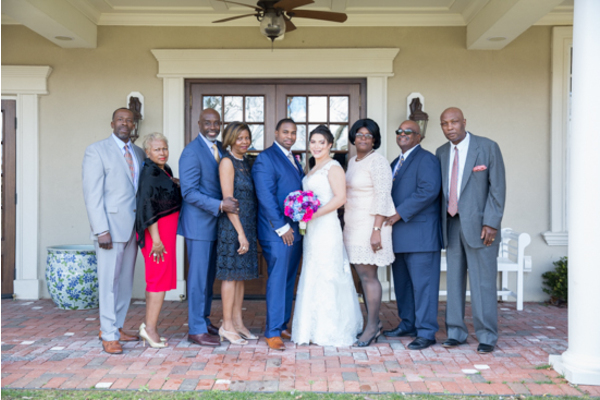 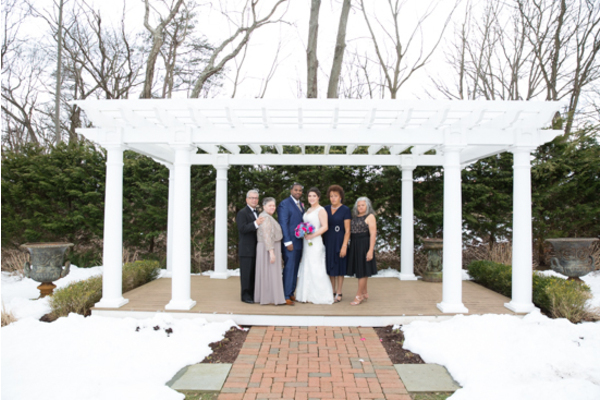 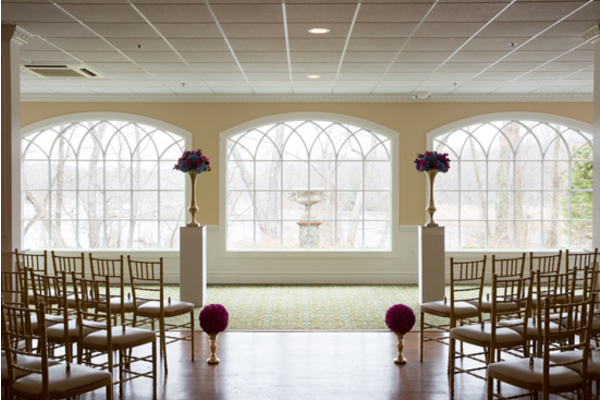 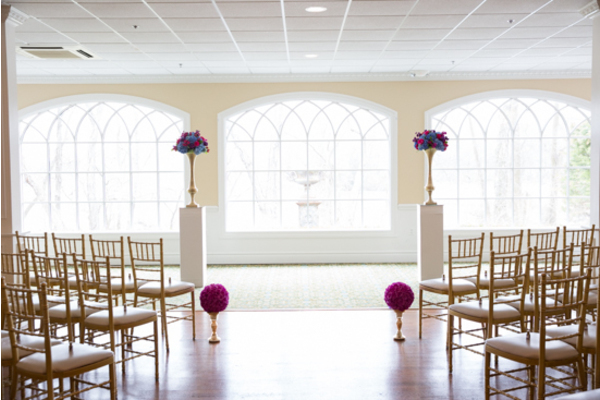 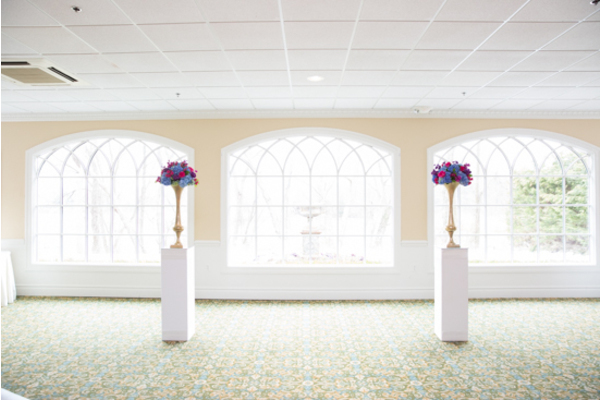 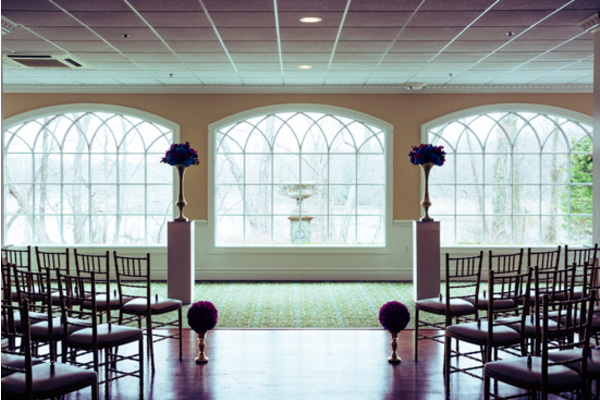 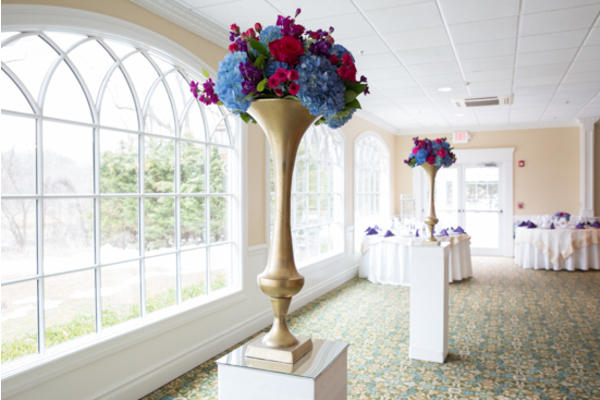 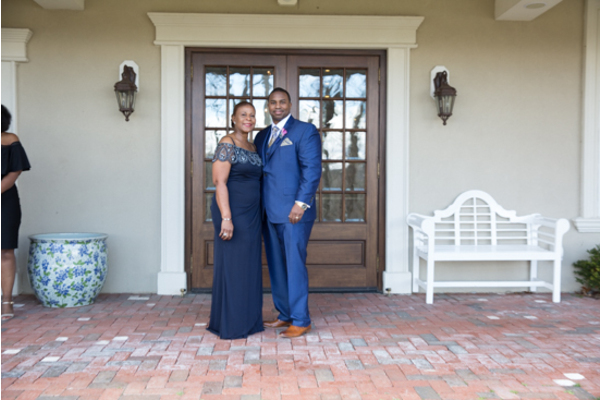 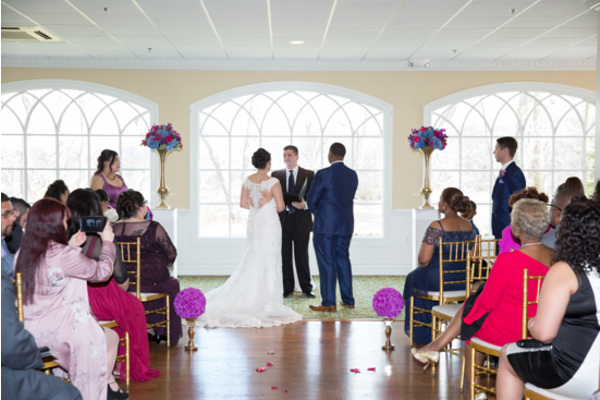 The ceremony and reception took place at the elegant Bradford Estate located in Hainesport, New Jersey. 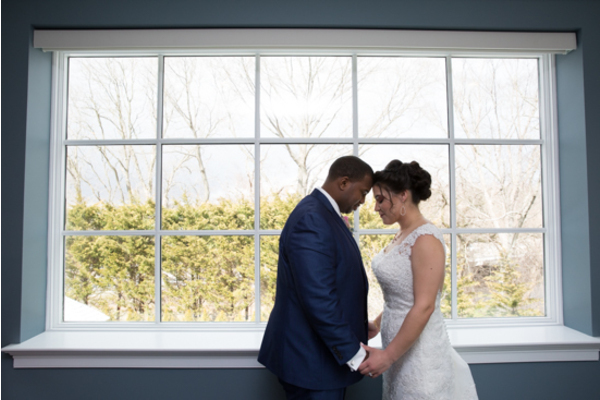 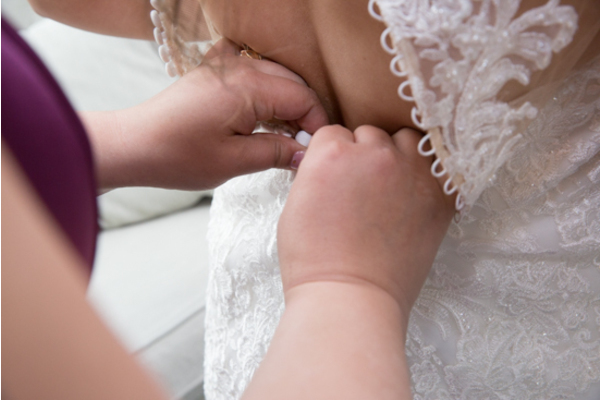 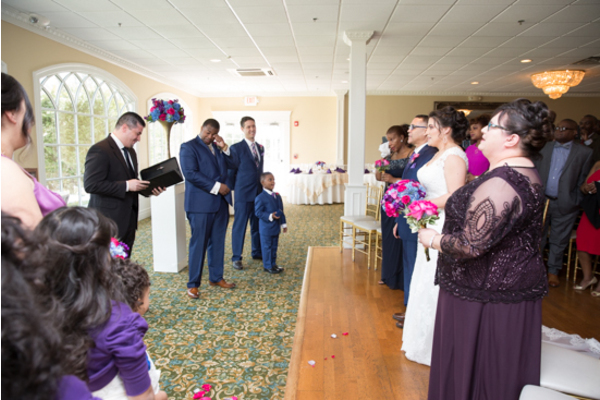 Our NJ Wedding Photographer was there to catch all of the precious moments from this special day! 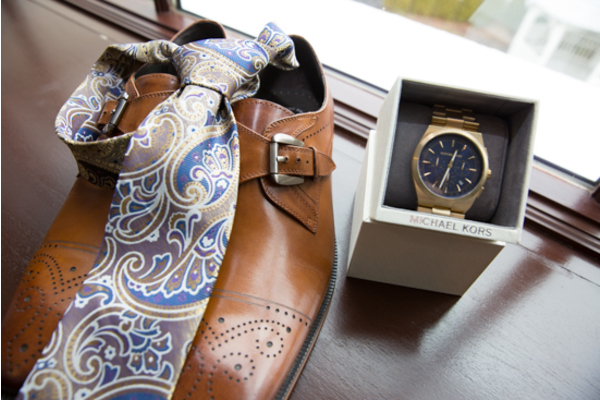 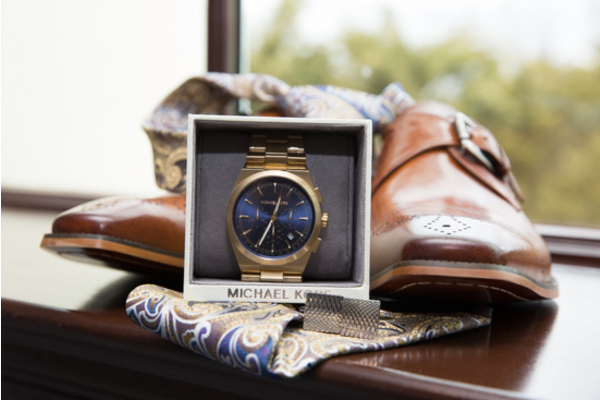 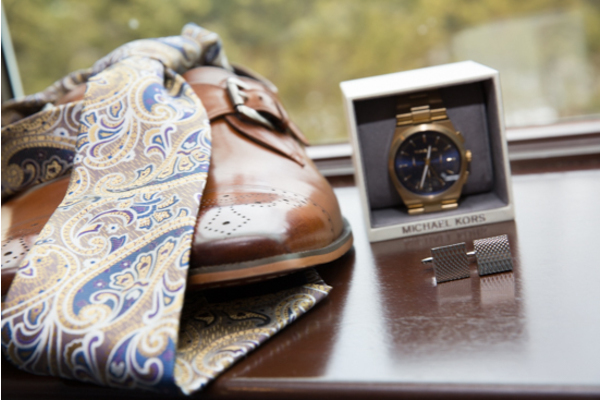 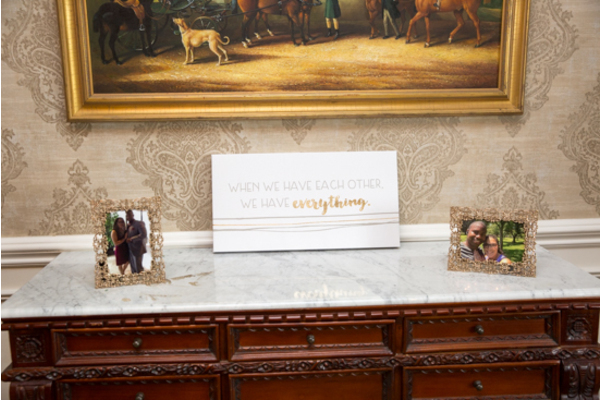 The morning hours were spent with close friends and family. 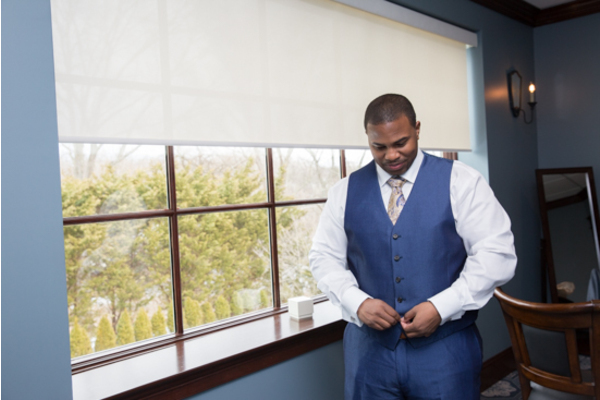 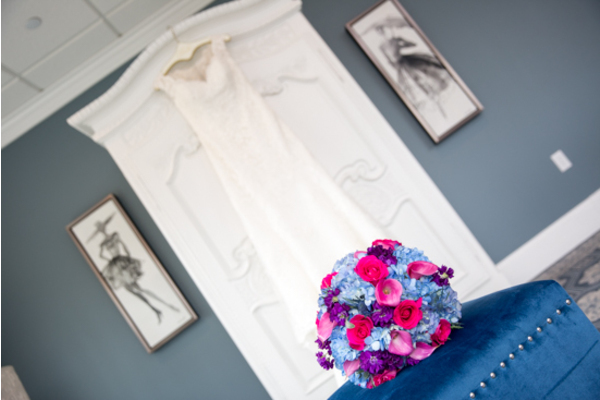 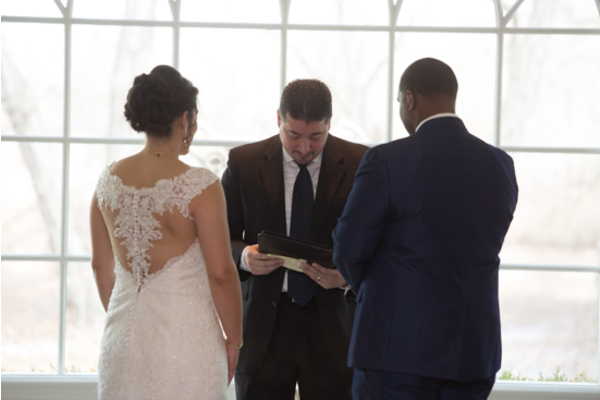 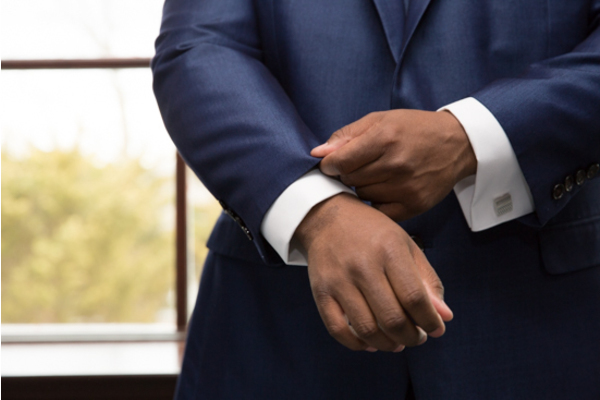 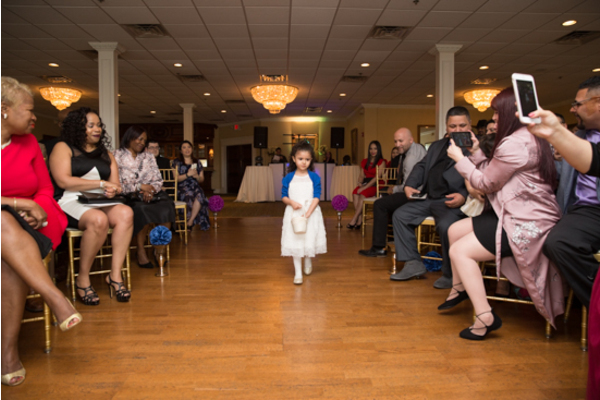 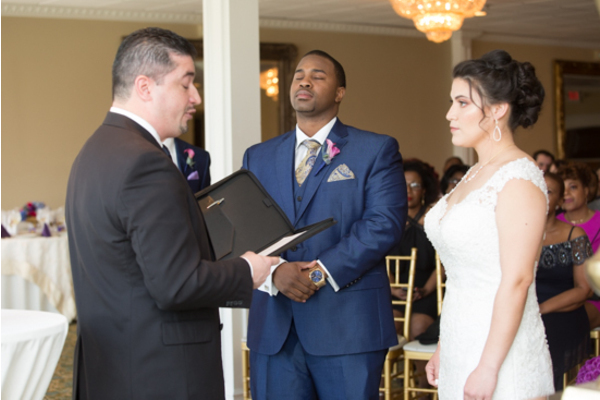 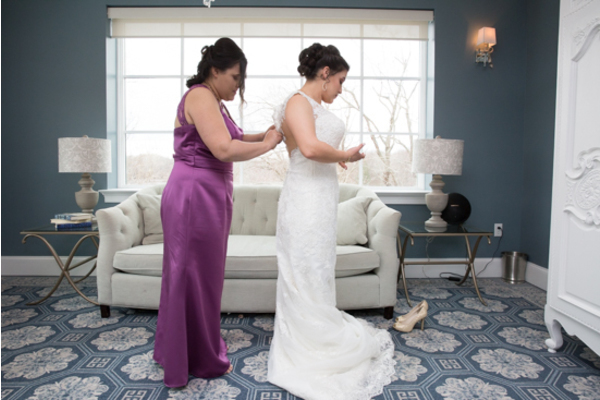 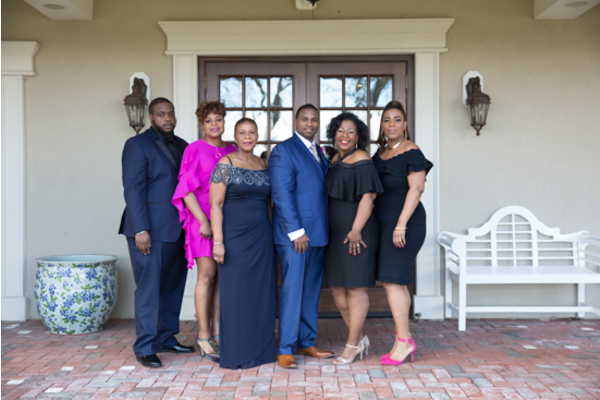 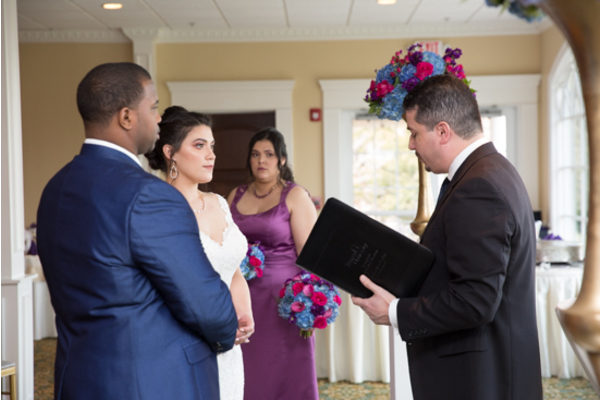 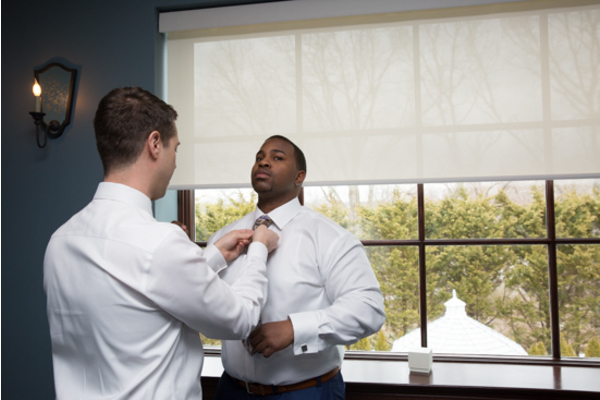 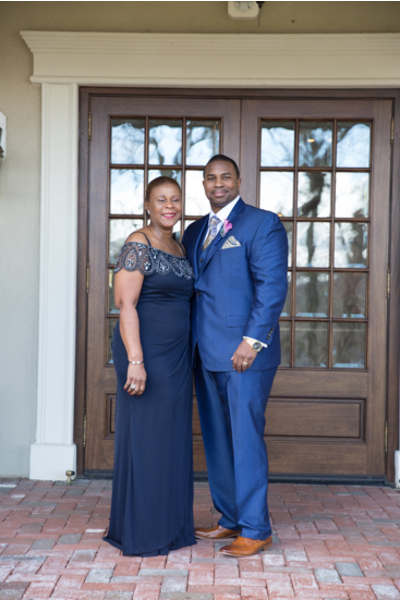 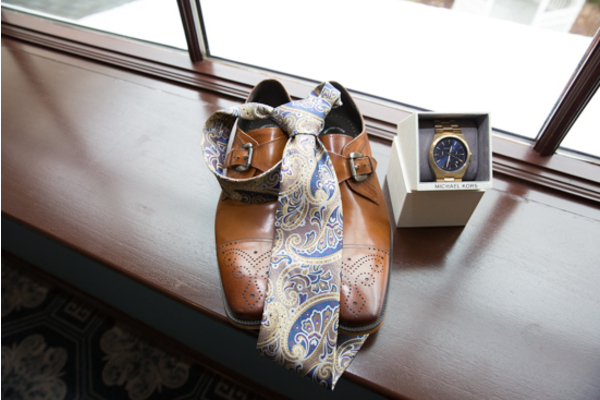 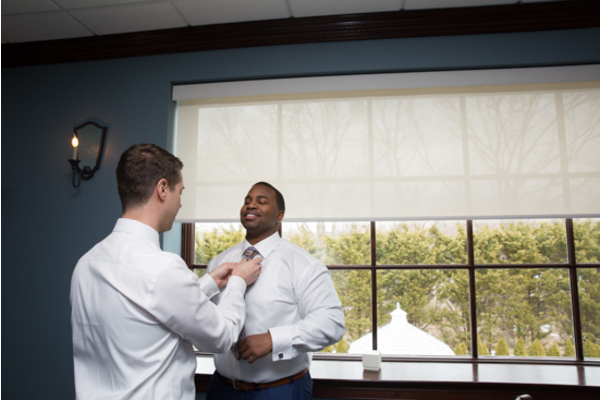 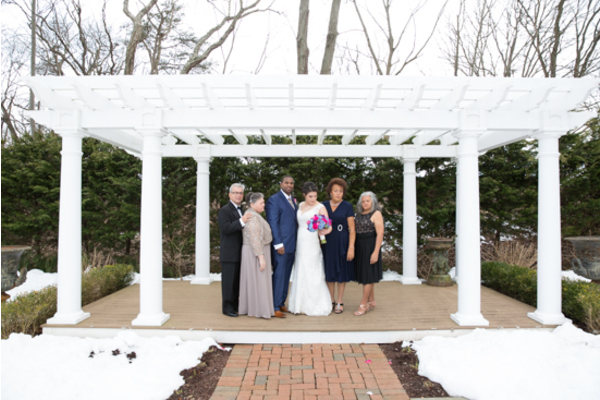 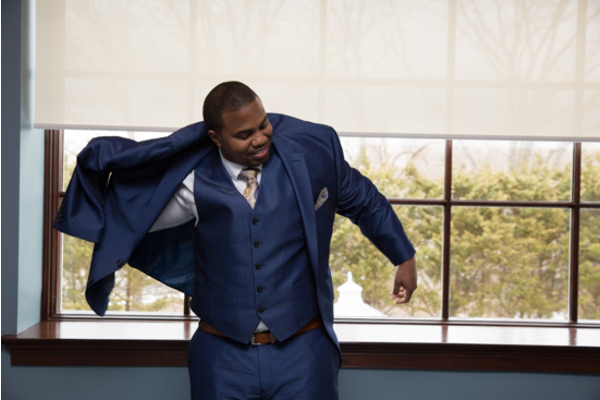 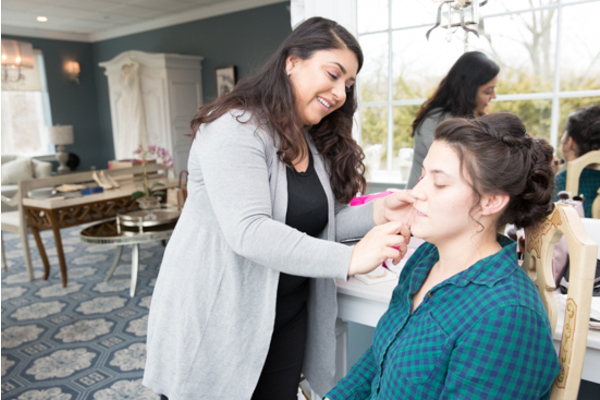 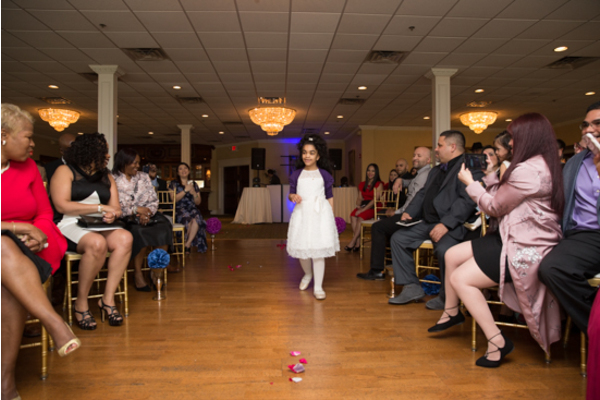 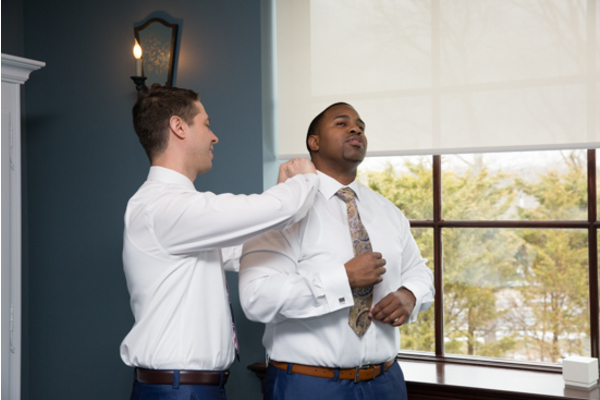 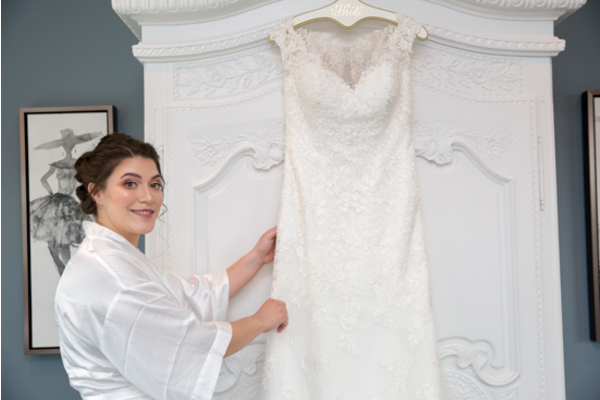 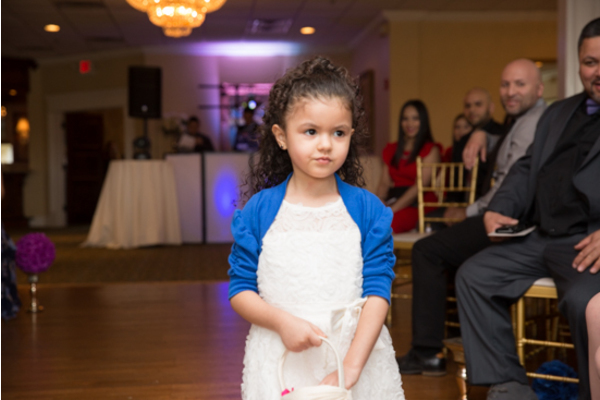 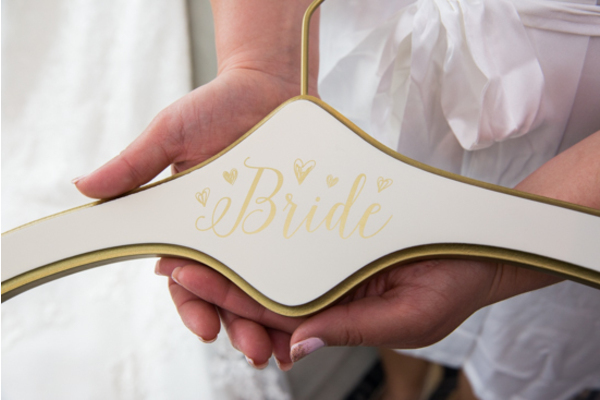 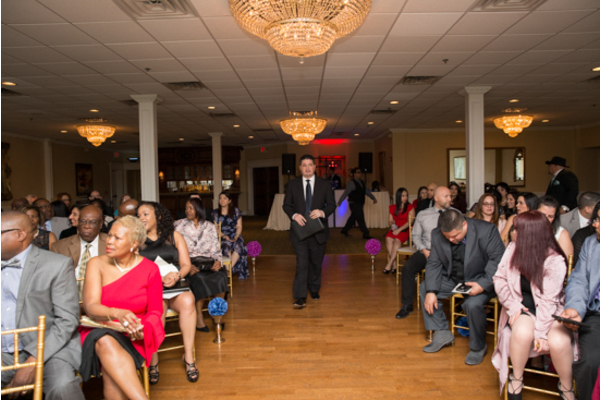 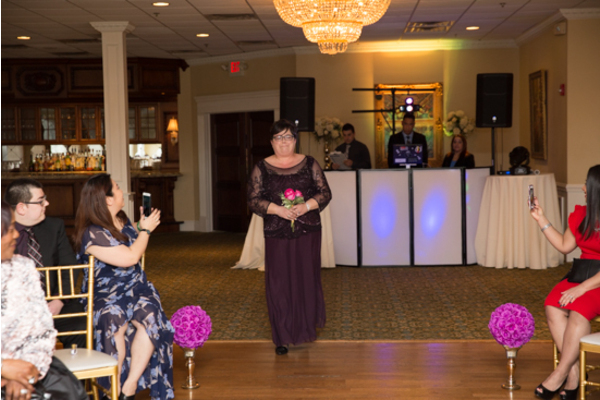 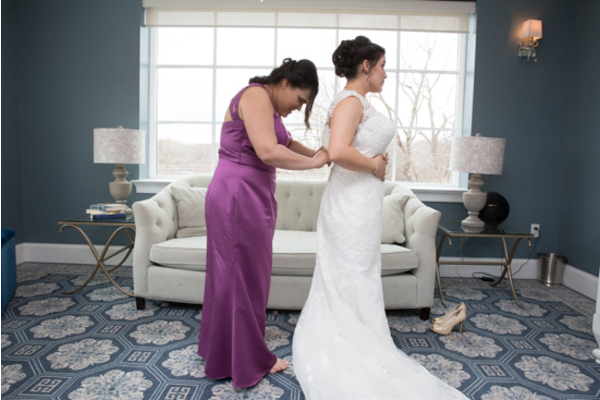 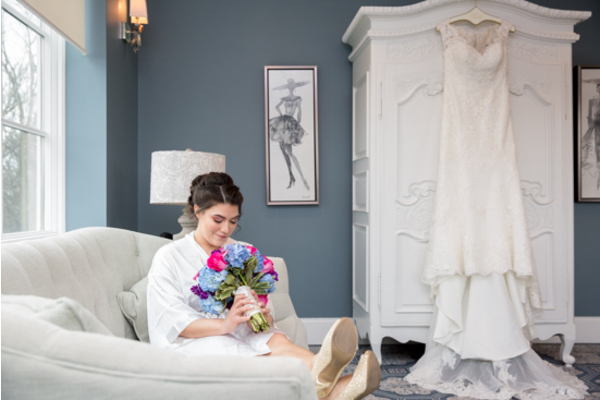 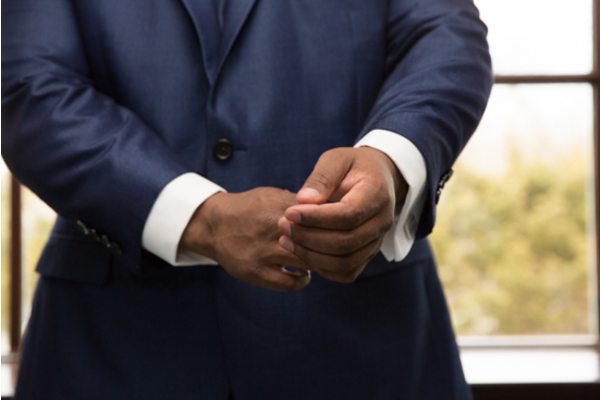 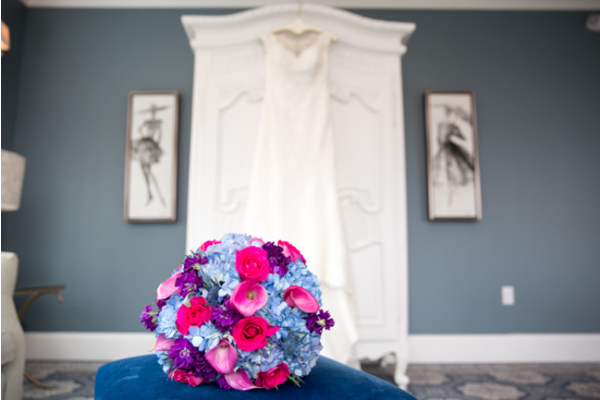 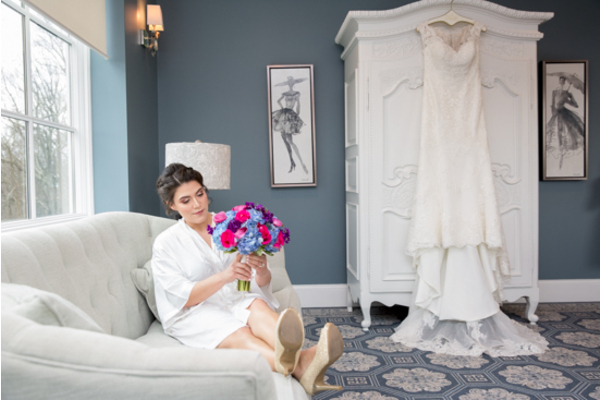 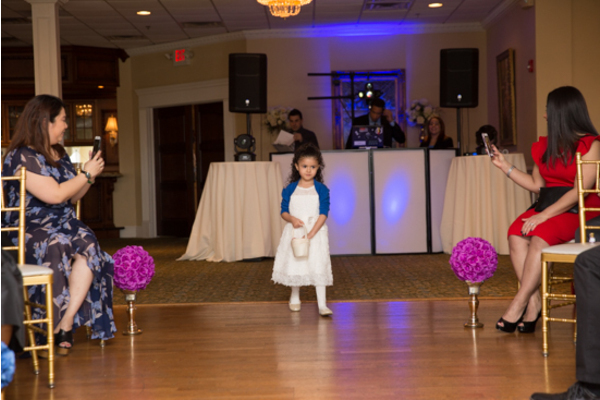 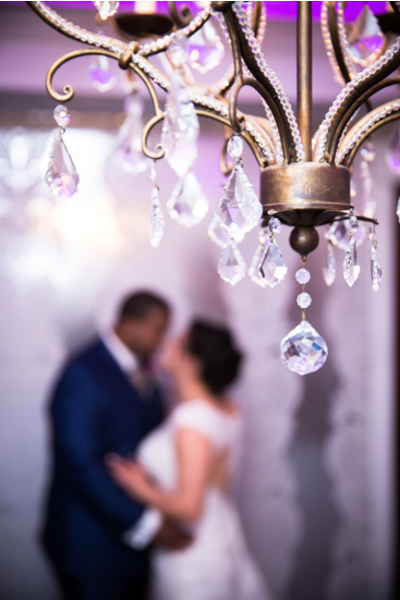 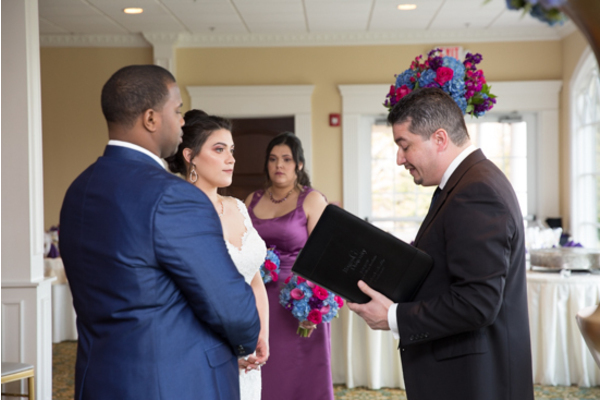 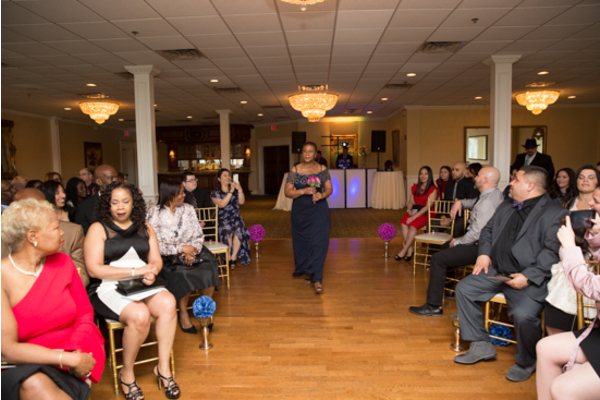 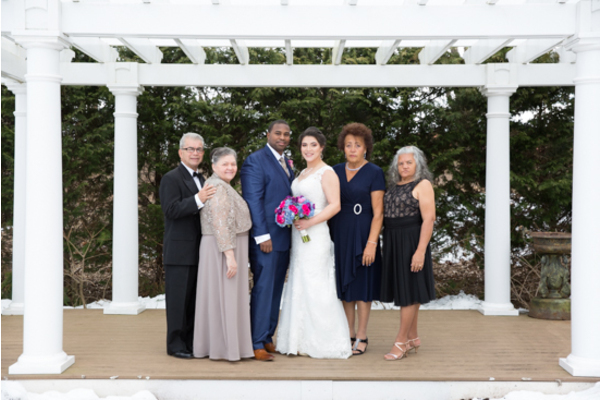 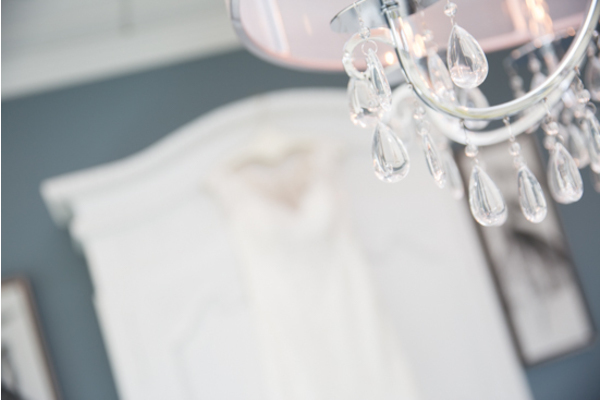 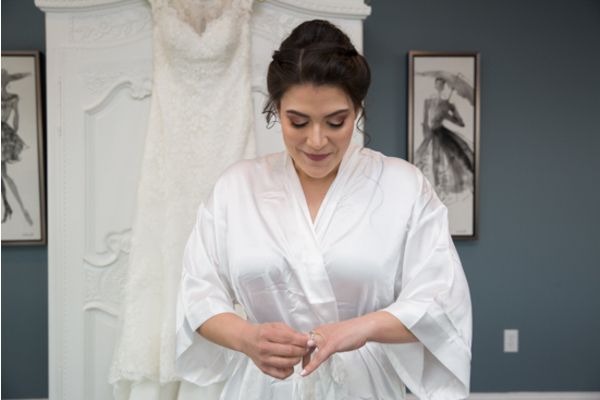 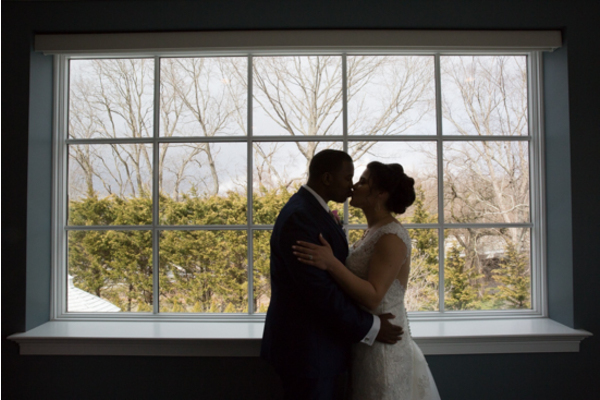 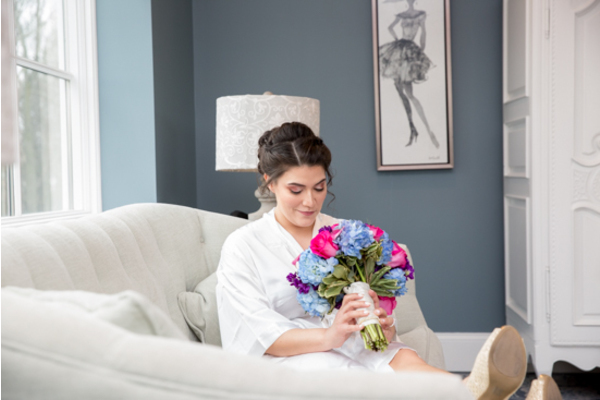 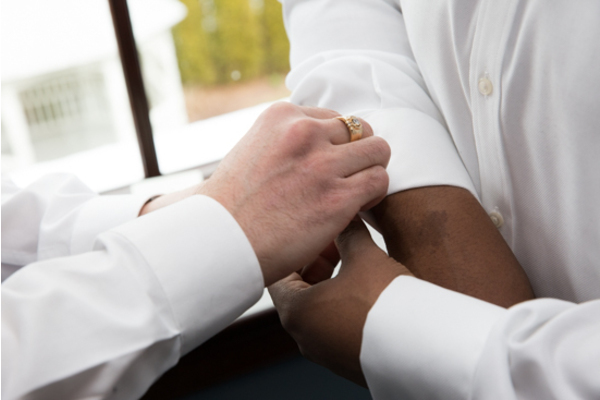 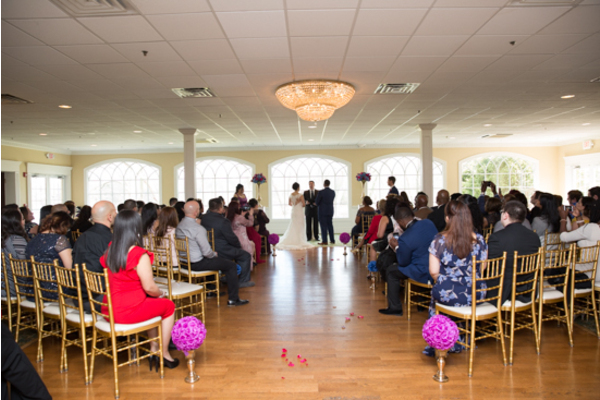 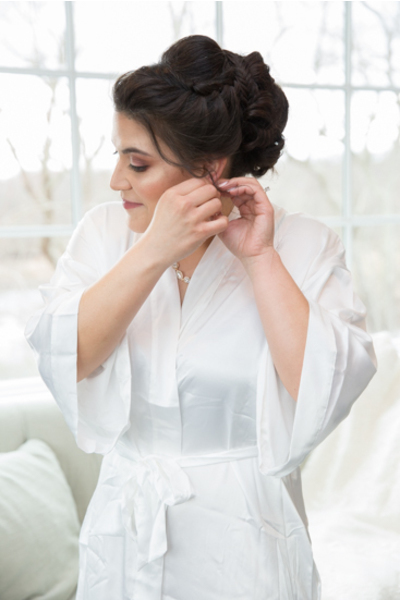 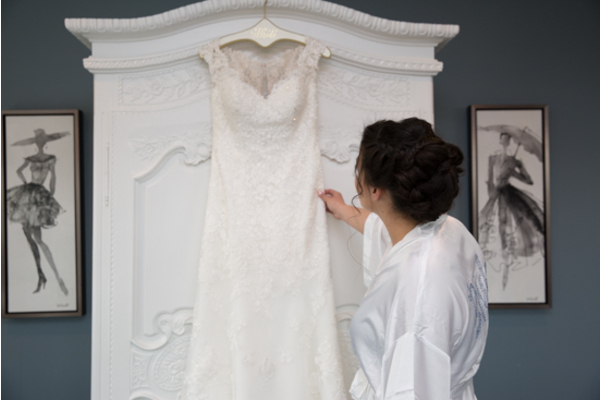 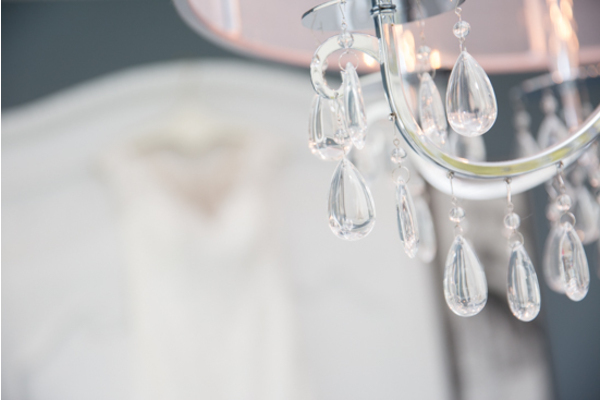 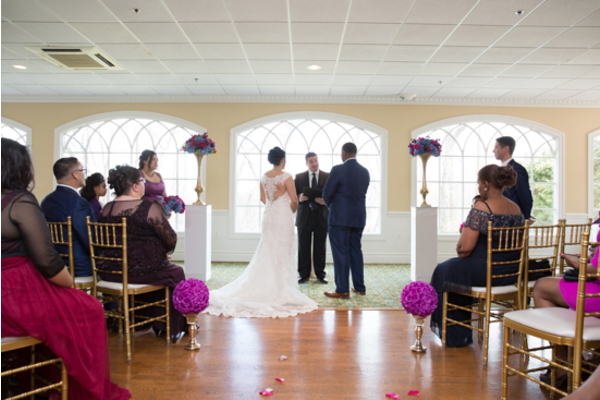 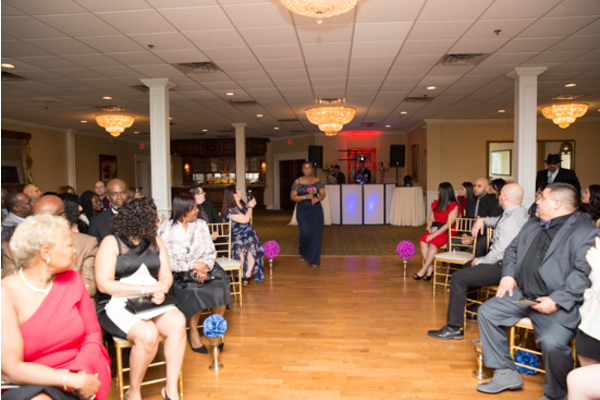 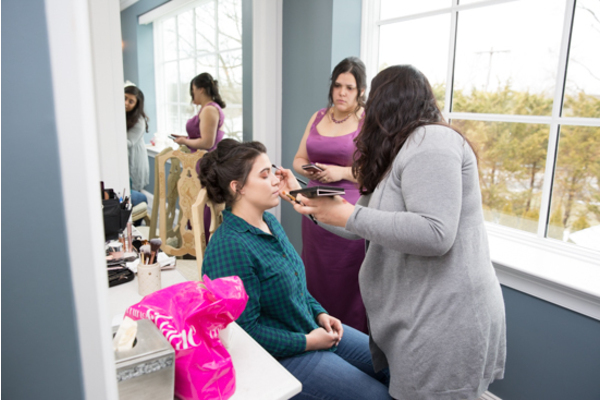 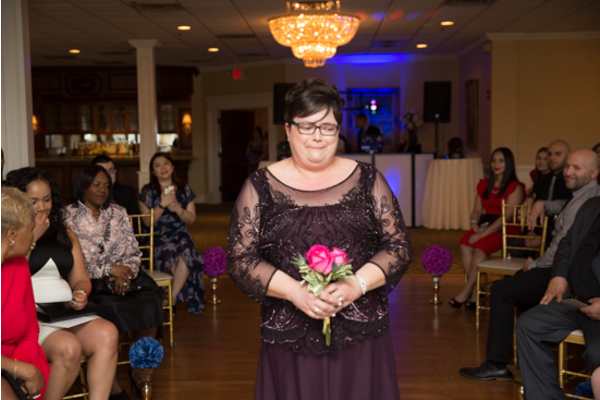 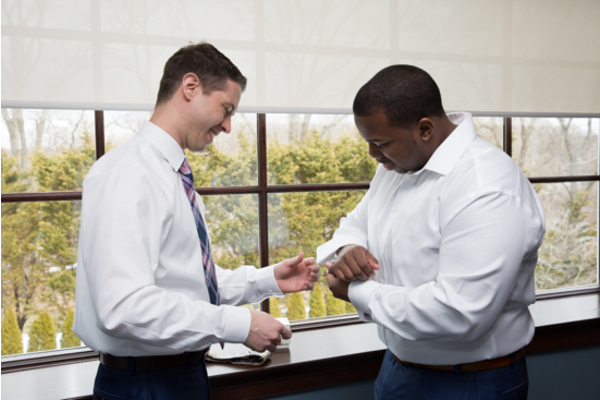 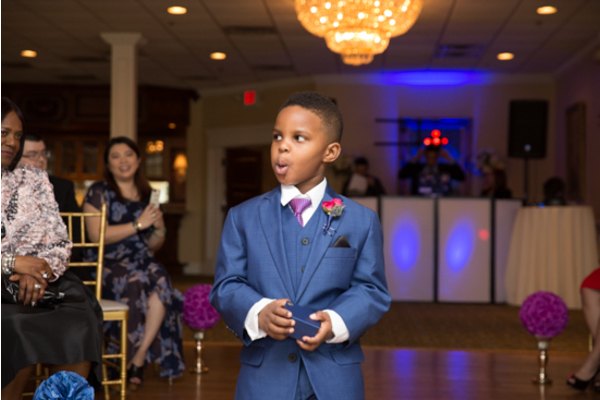 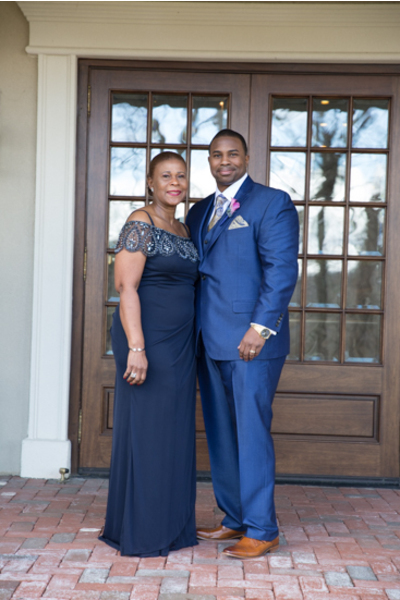 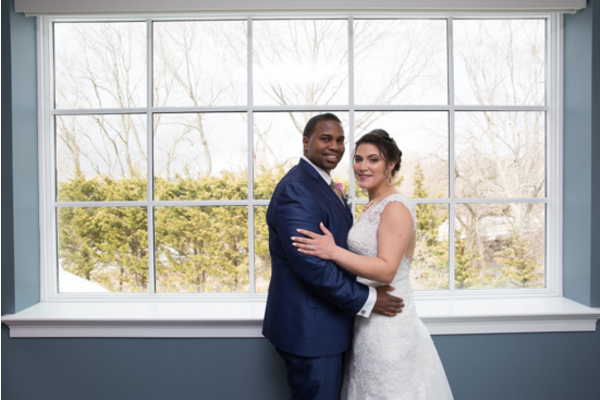 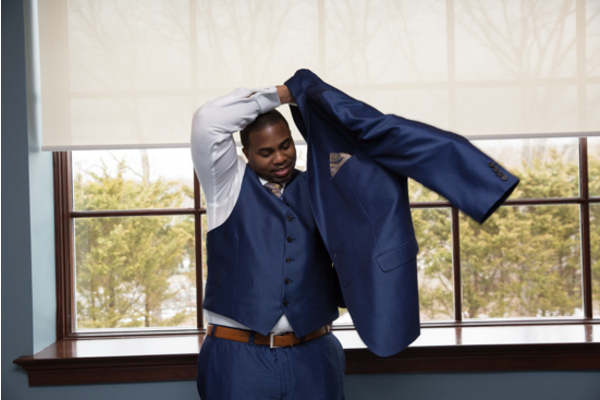 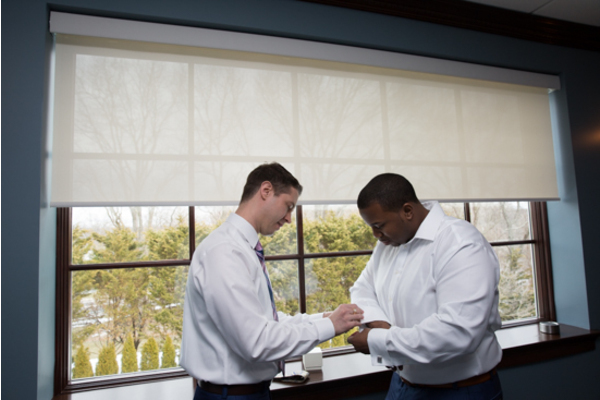 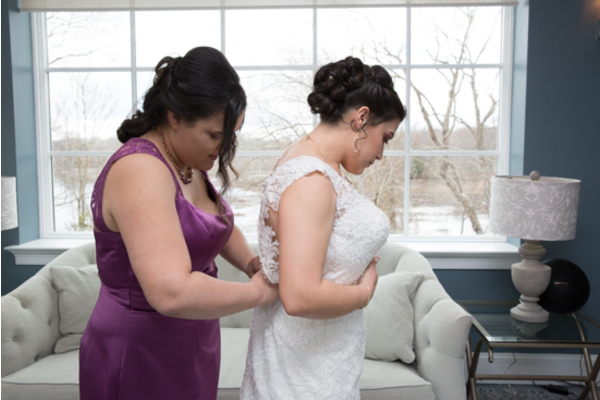 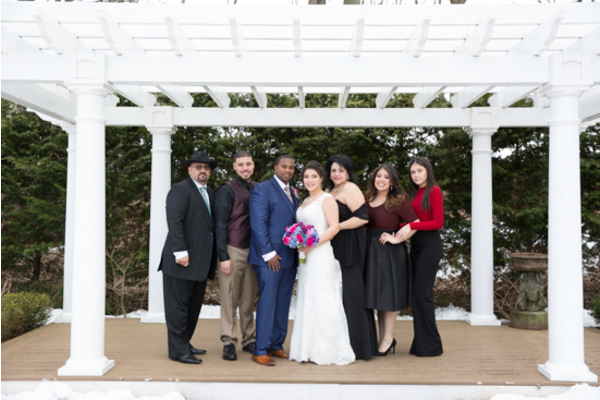 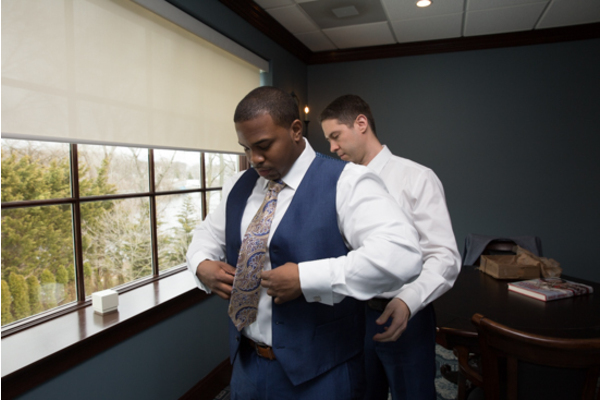 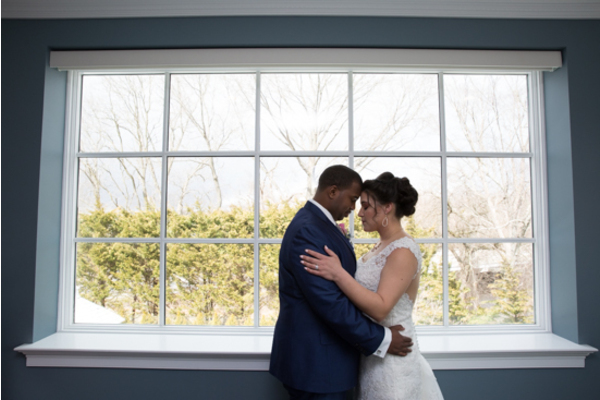 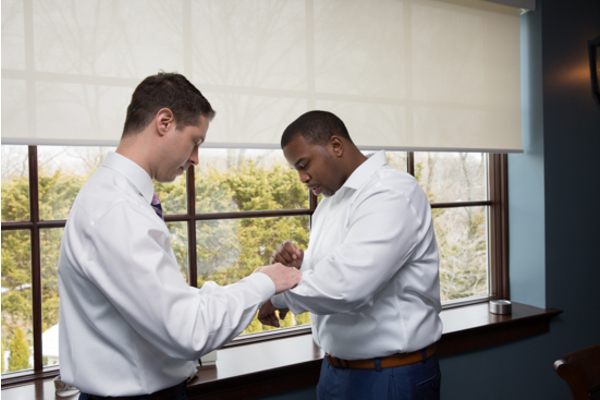 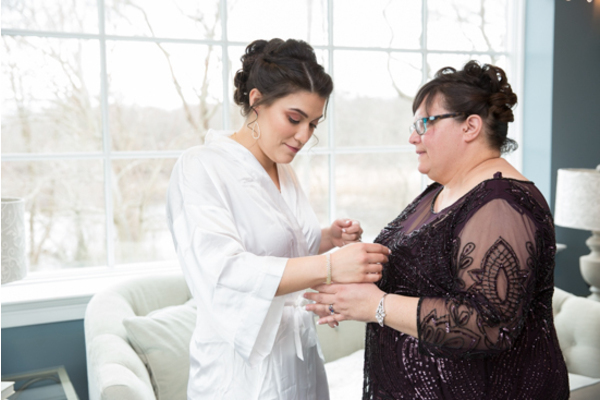 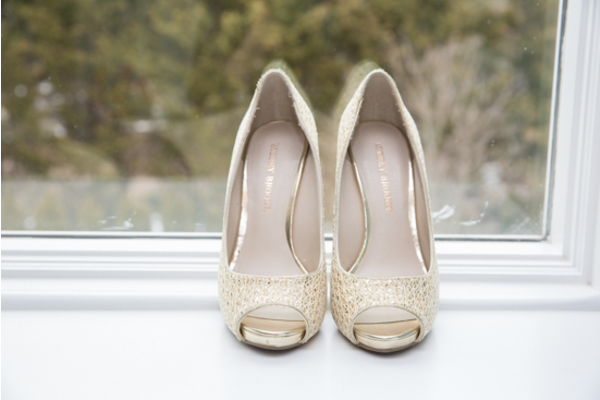 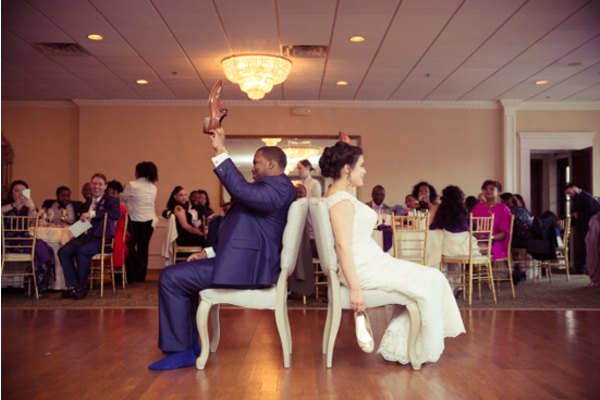 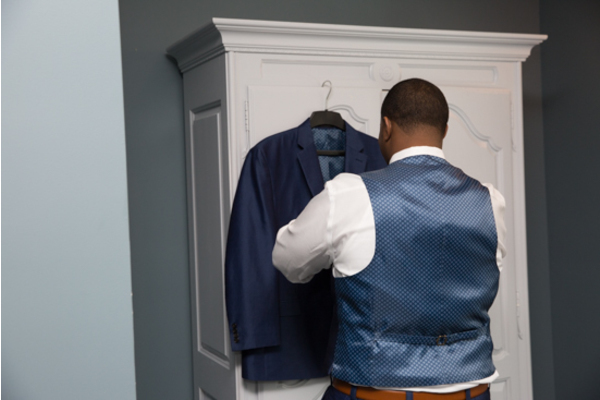 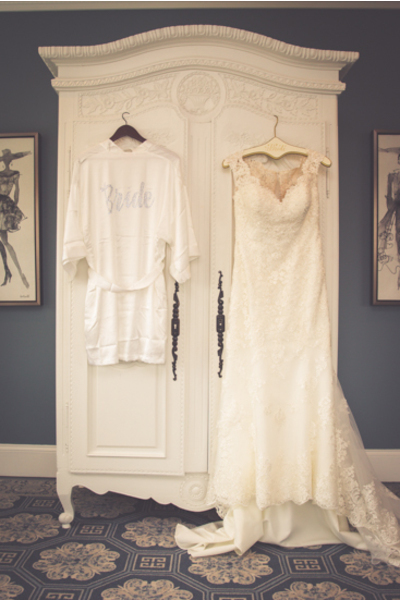 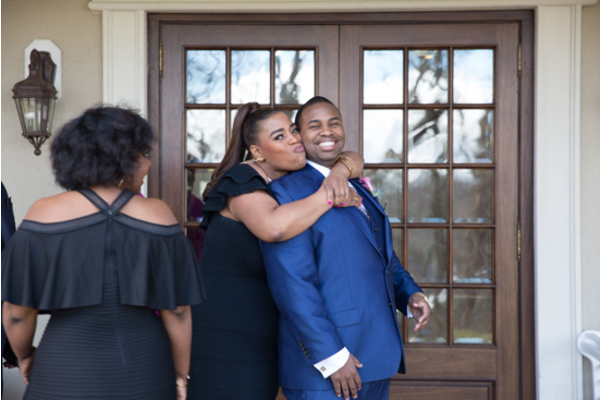 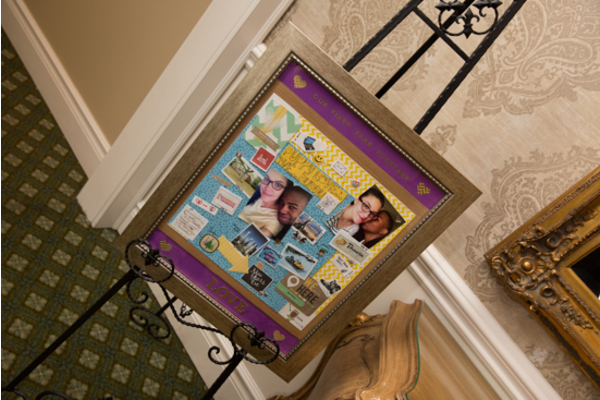 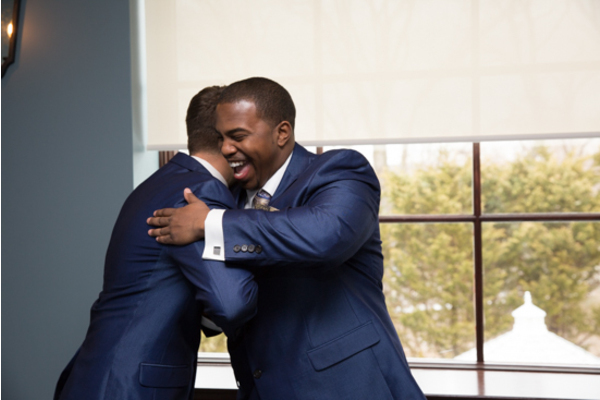 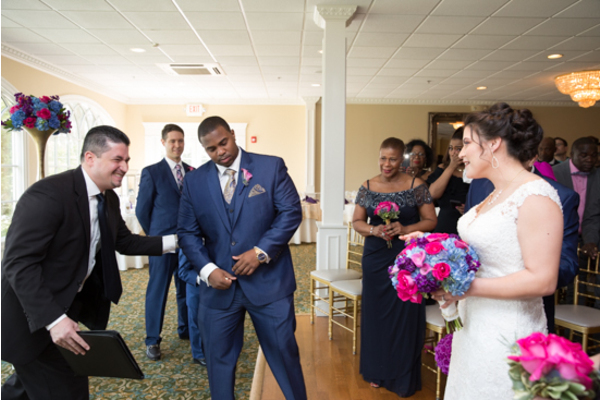 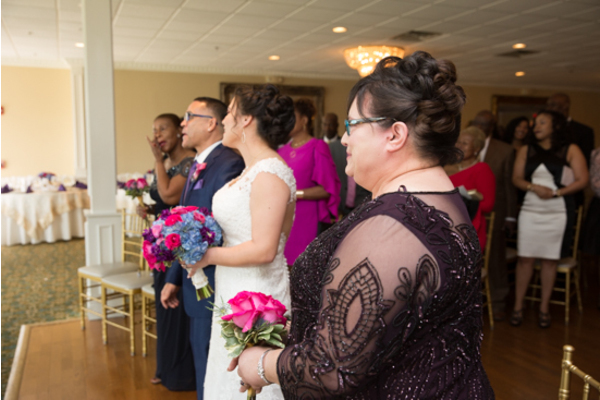 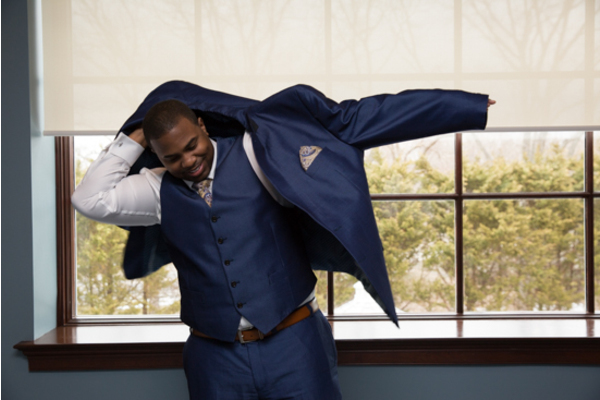 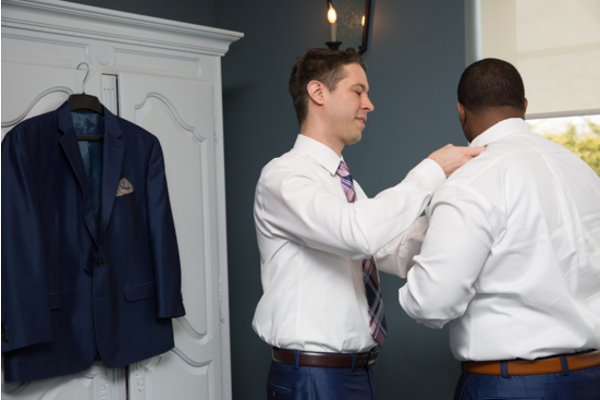 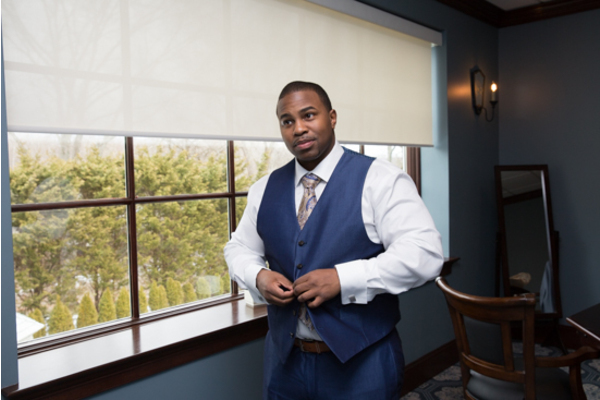 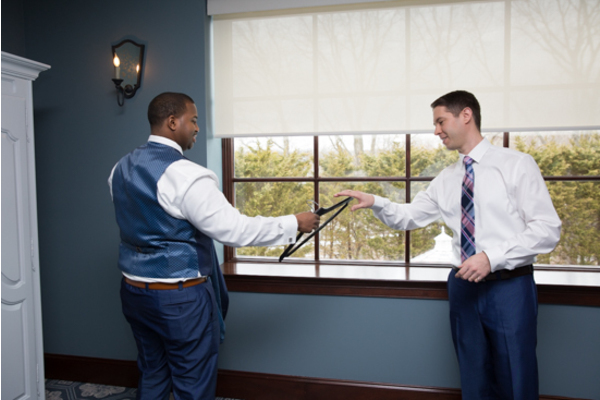 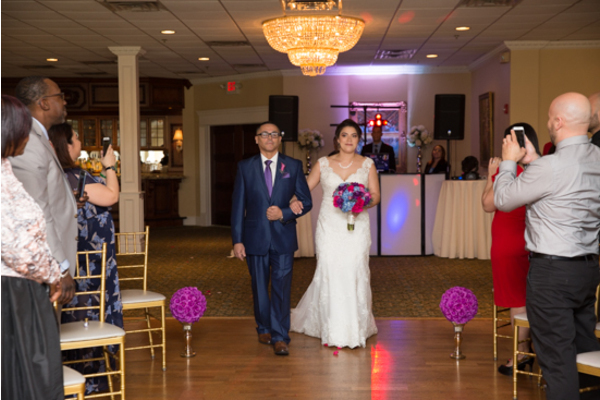 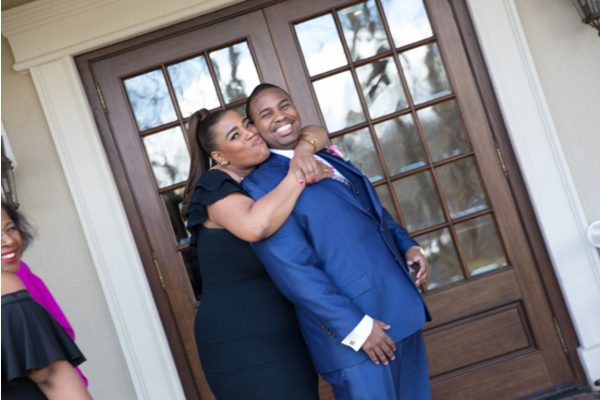 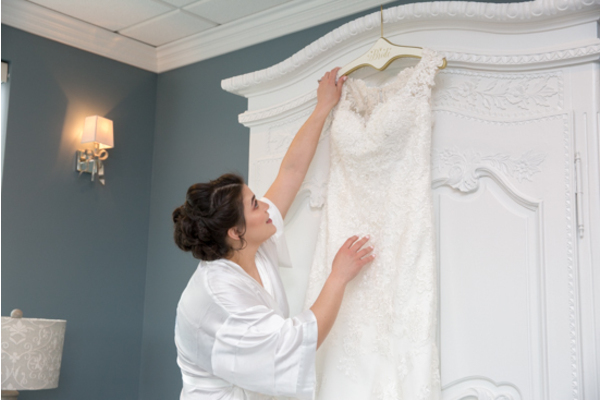 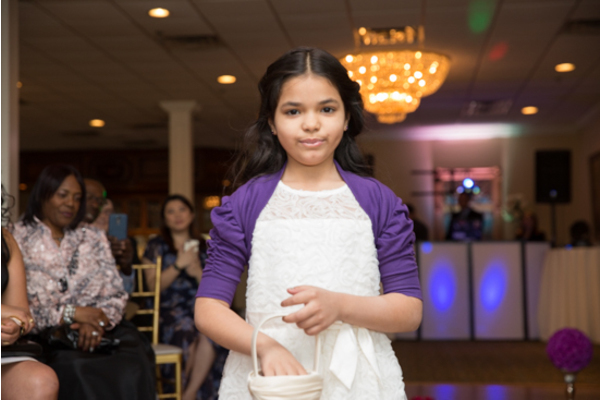 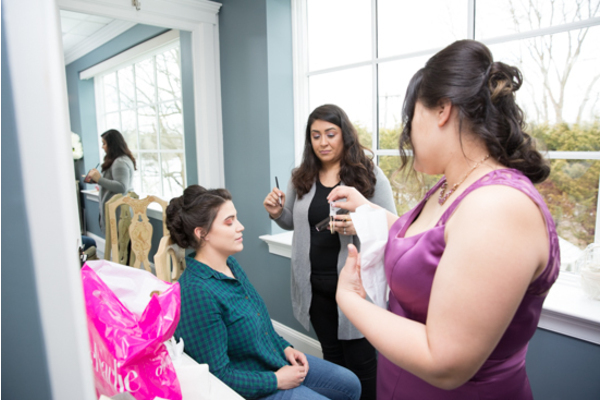 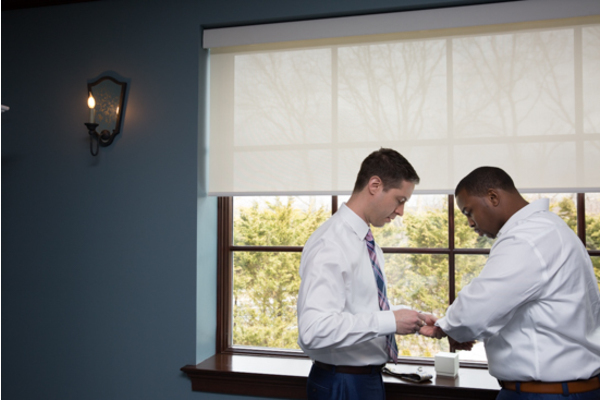 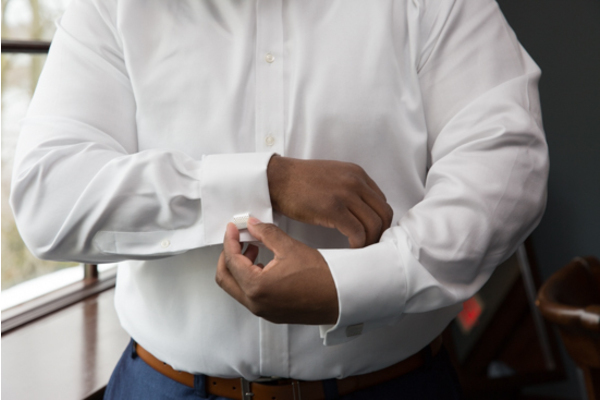 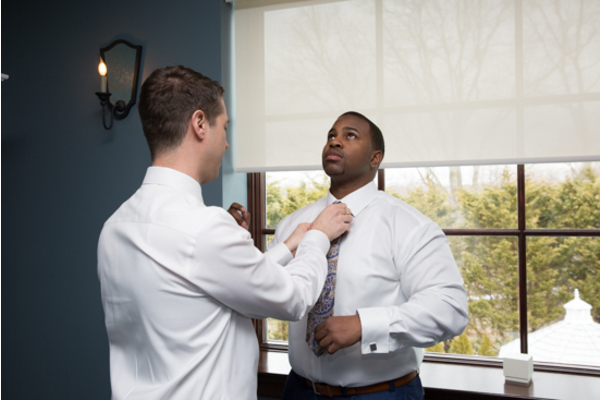 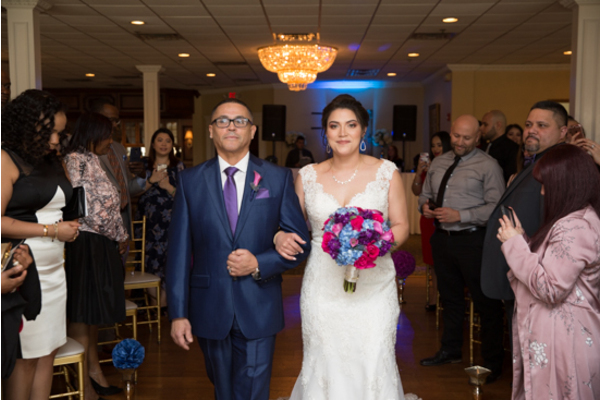 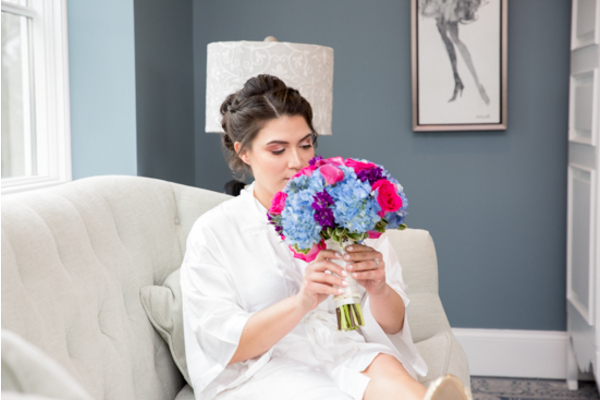 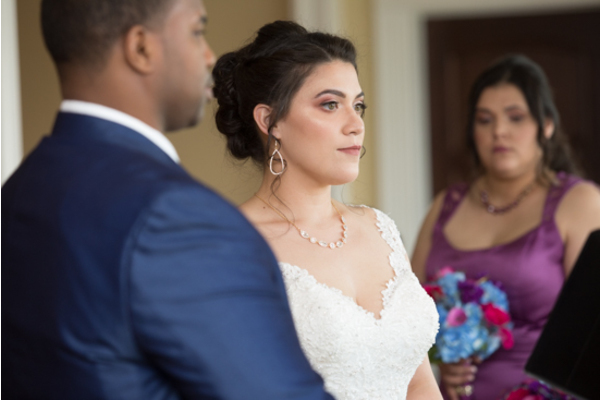 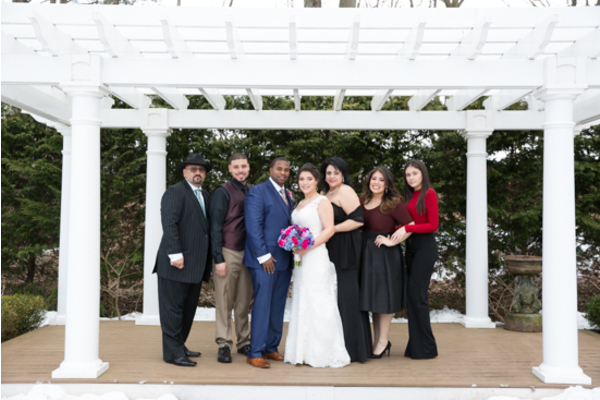 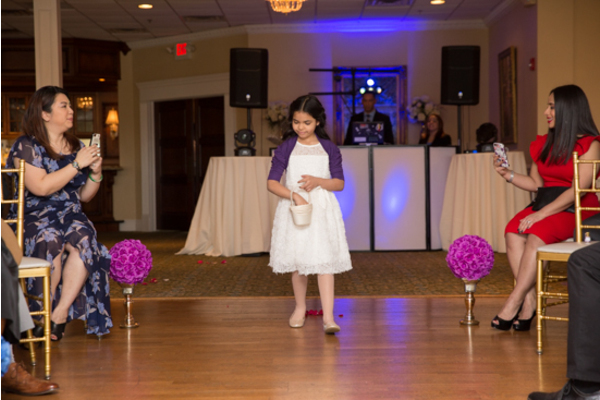 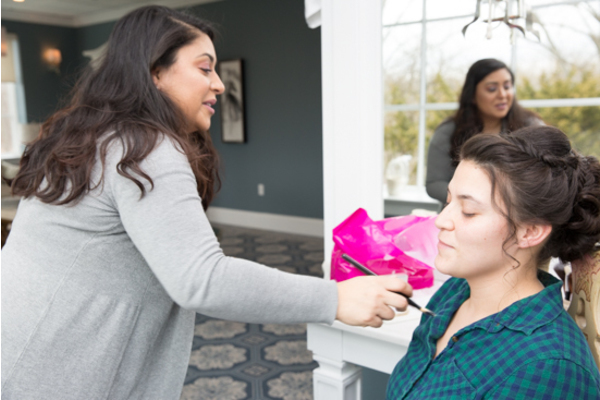 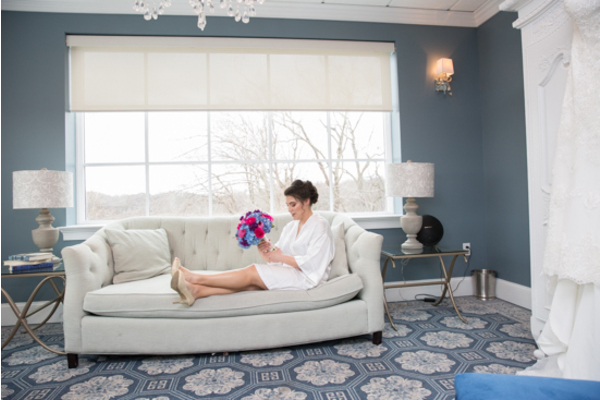 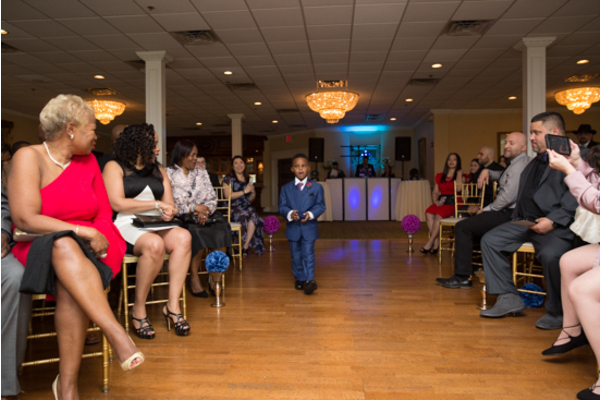 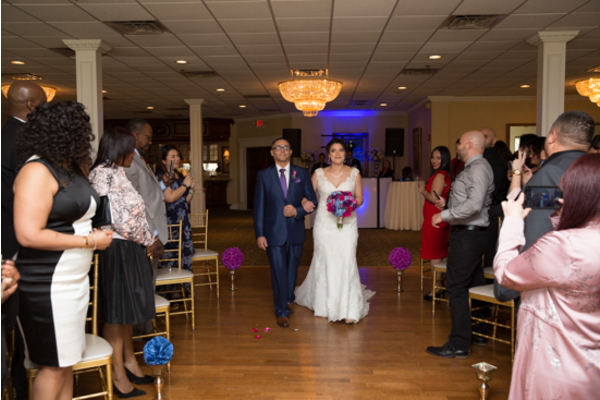 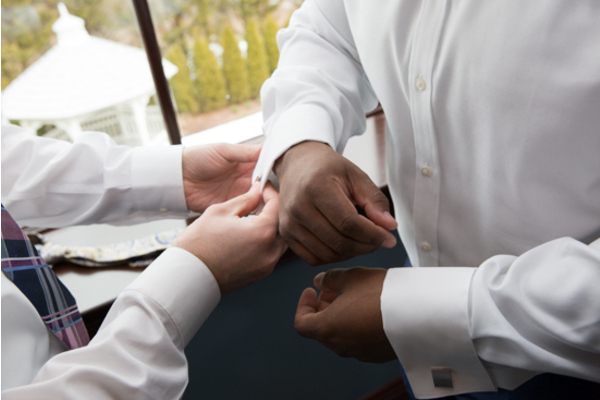 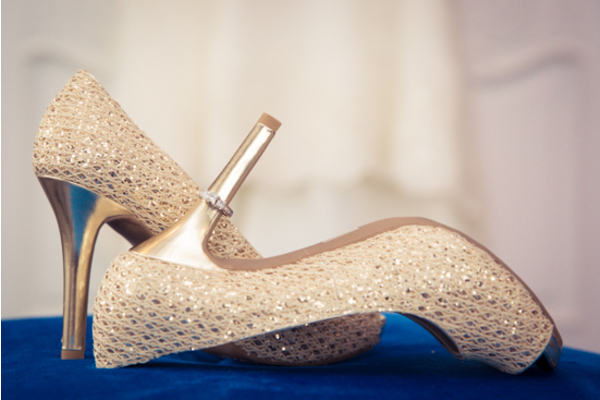 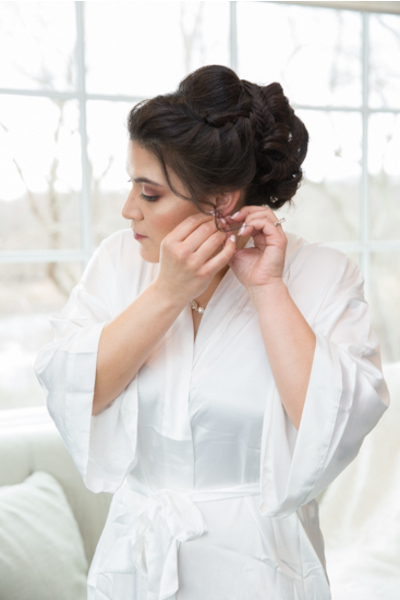 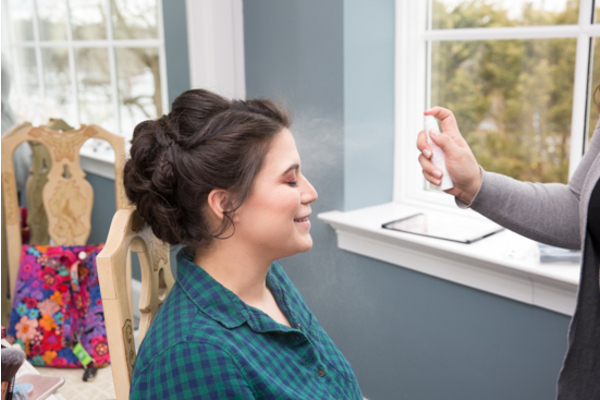 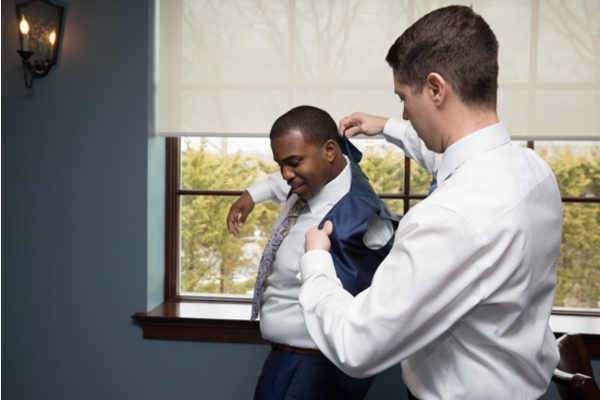 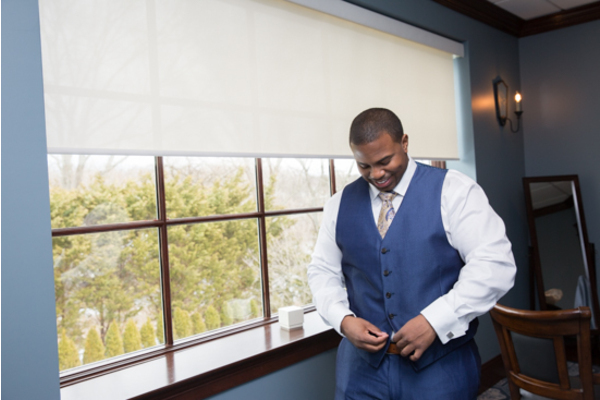 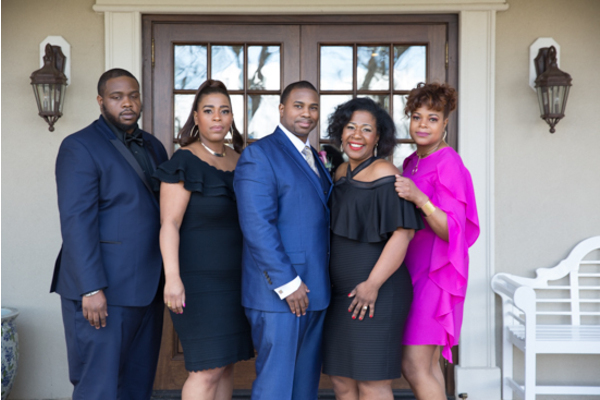 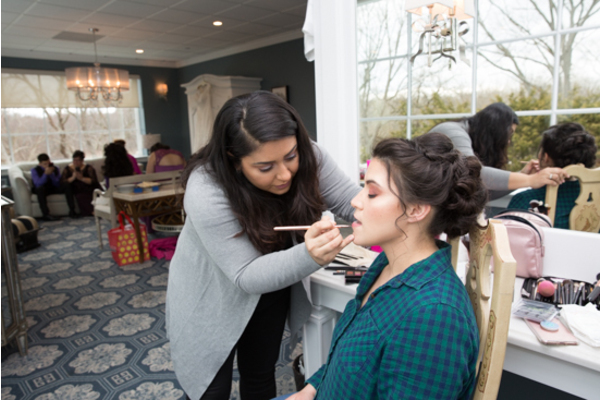 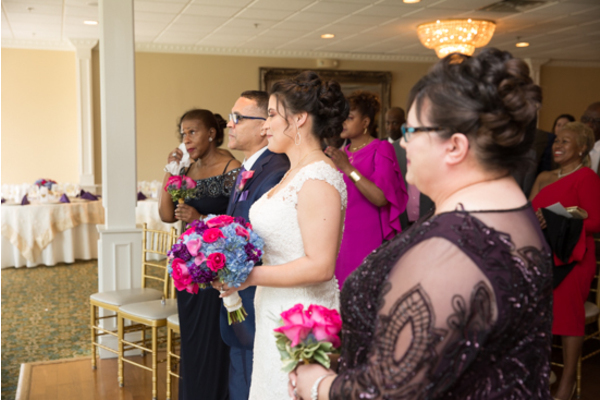 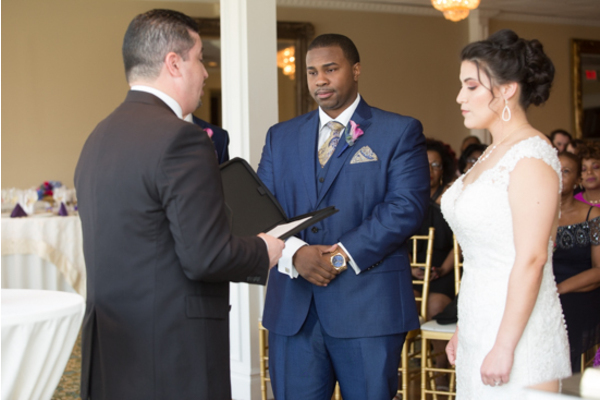 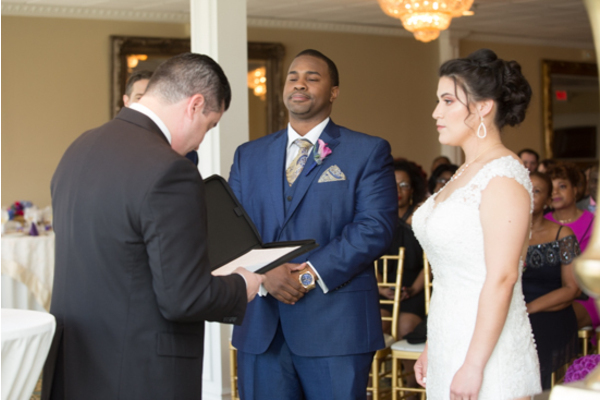 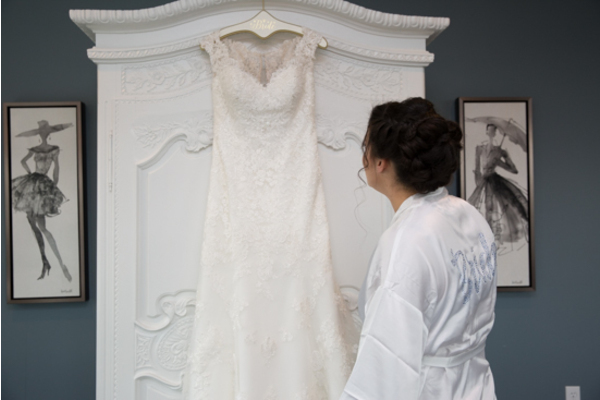 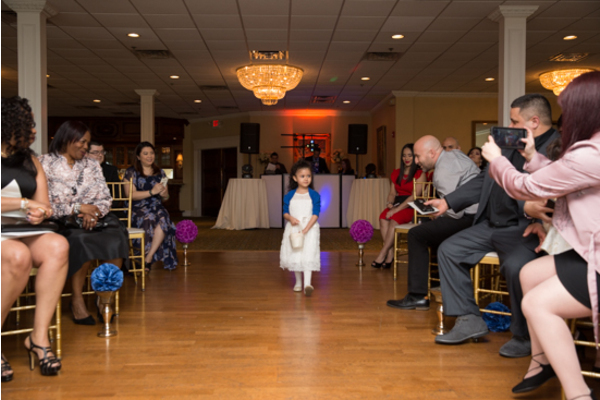 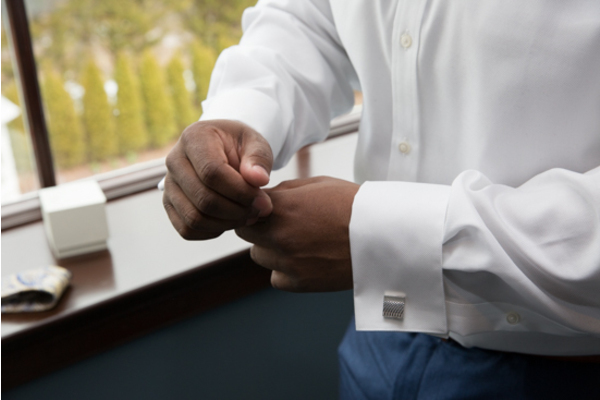 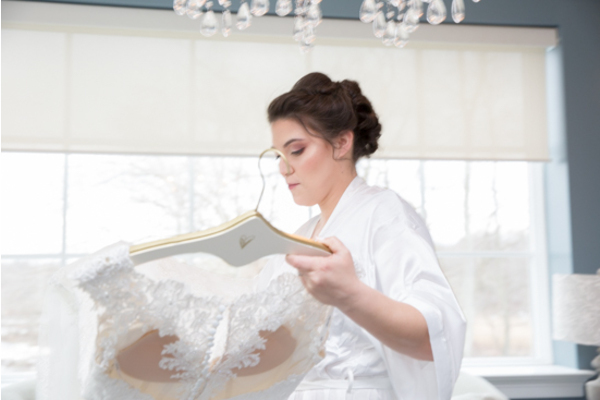 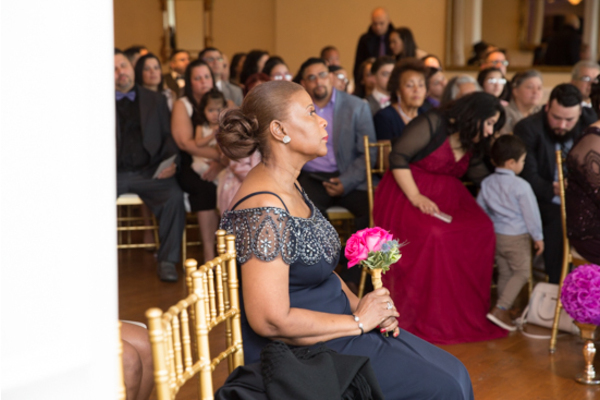 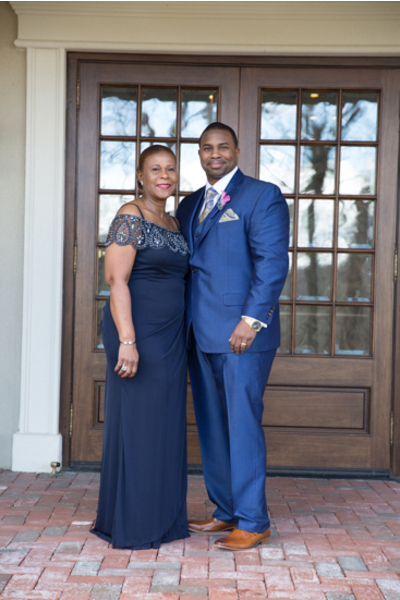 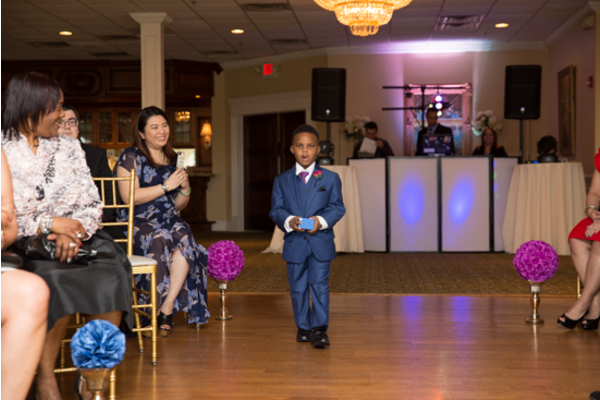 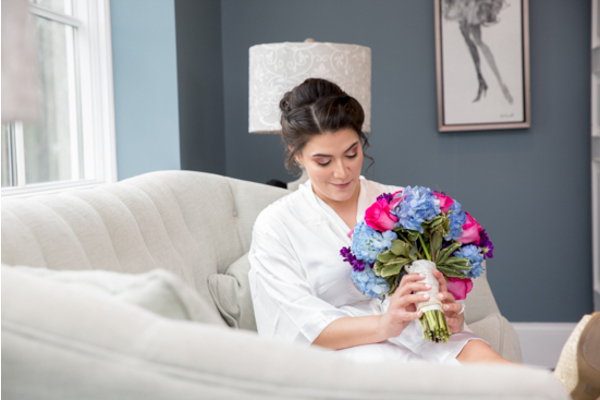 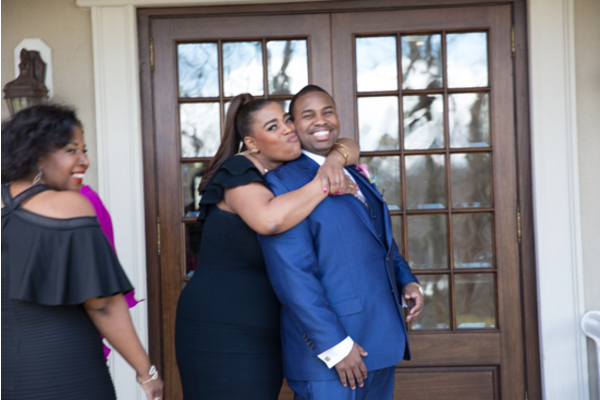 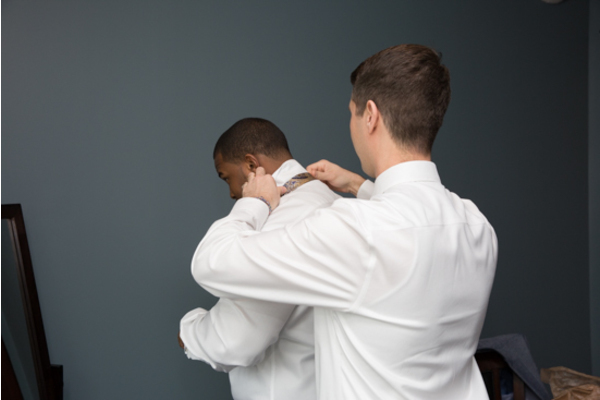 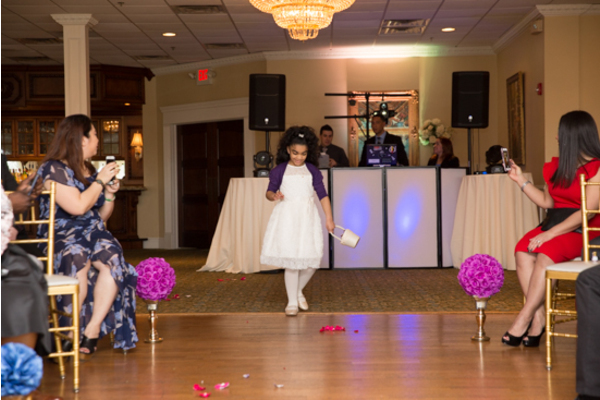 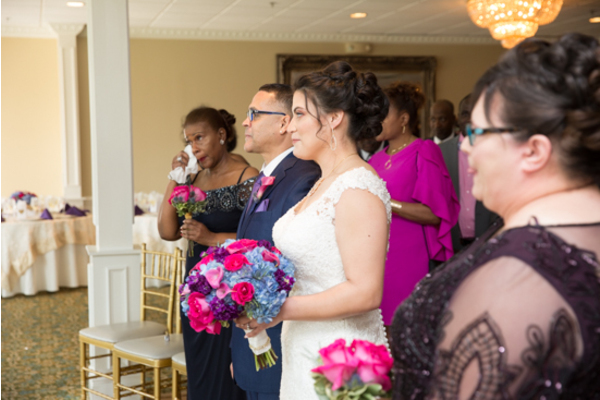 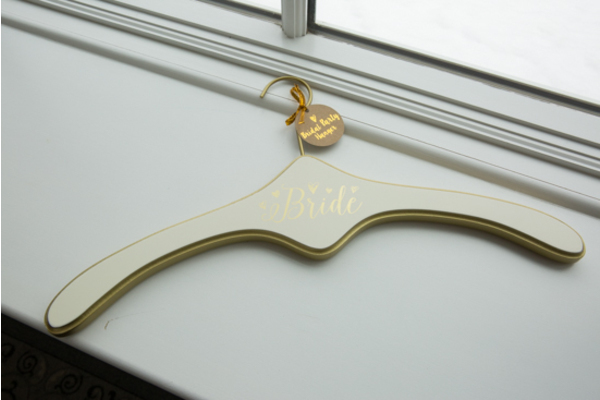 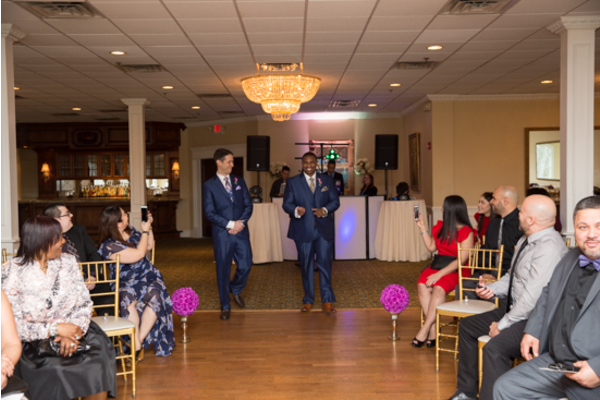 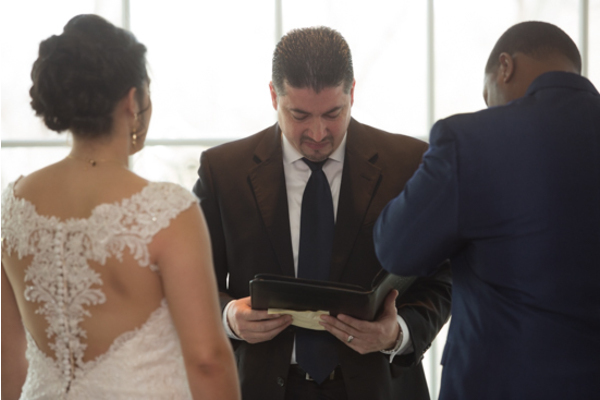 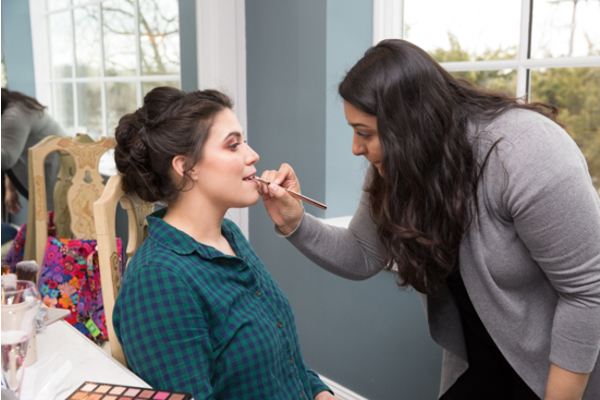 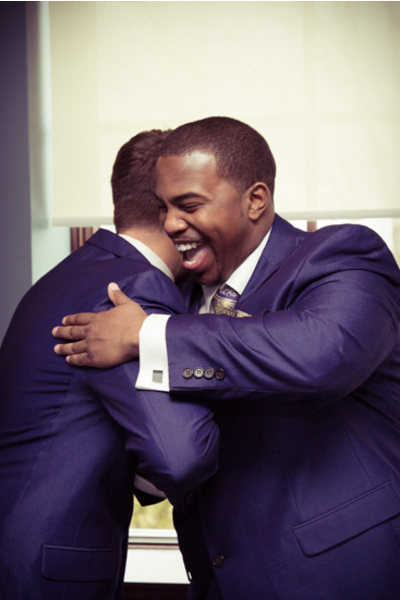 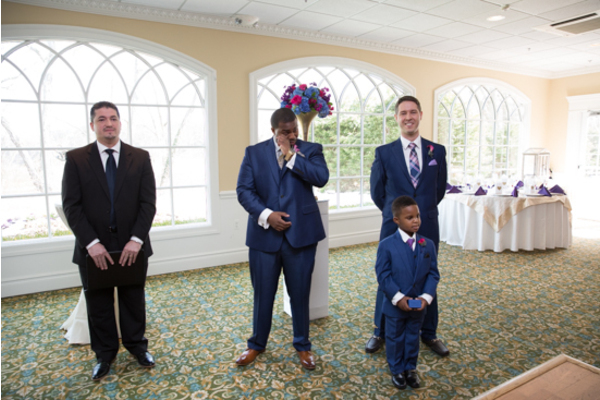 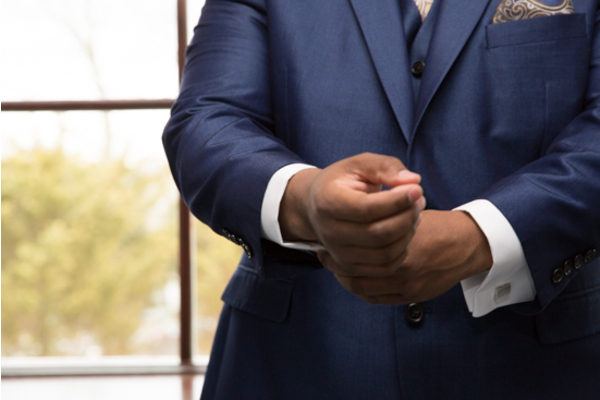 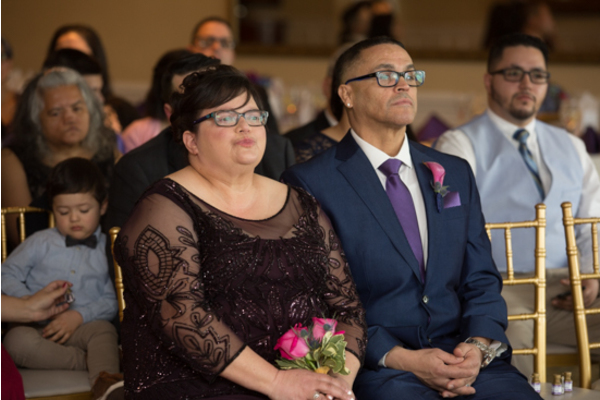 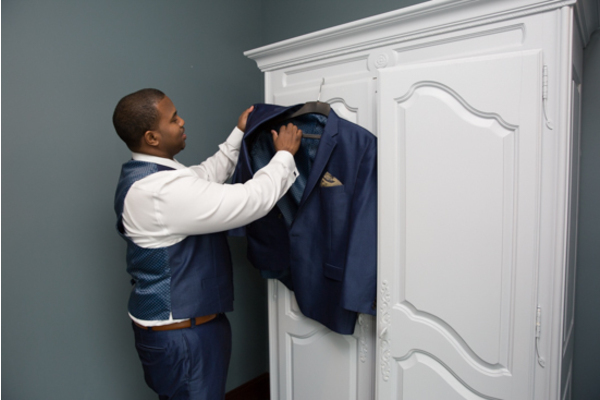 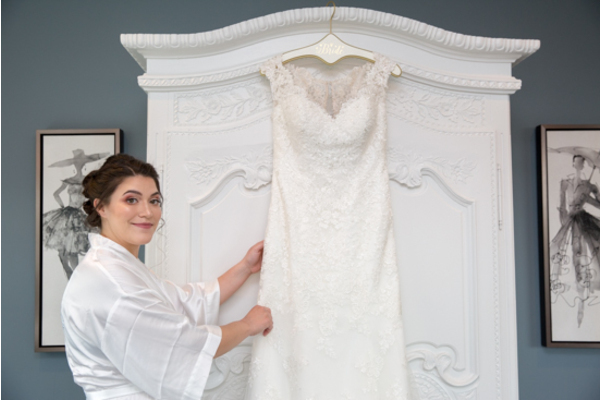 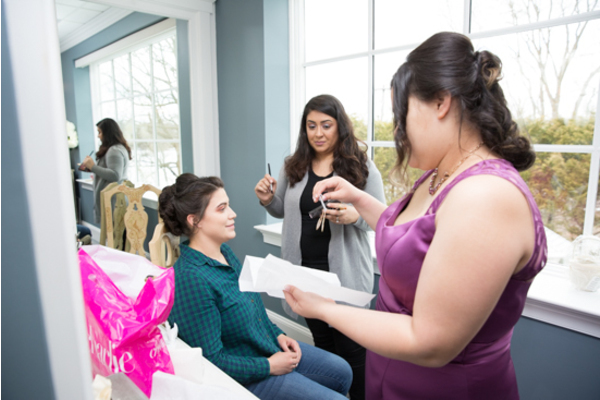 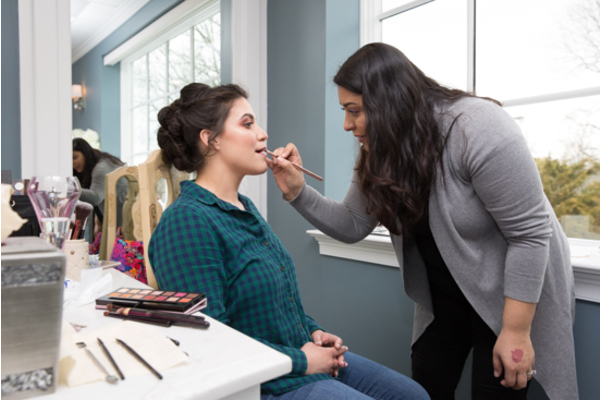 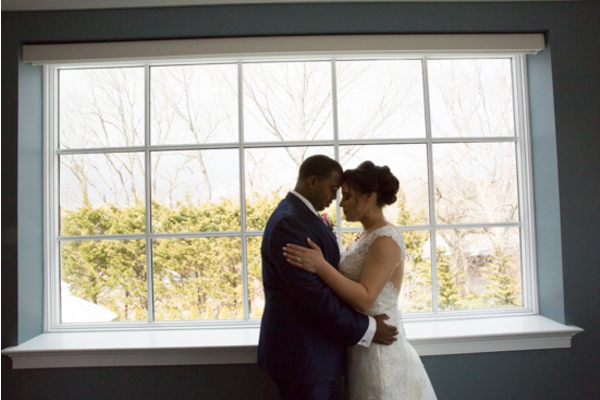 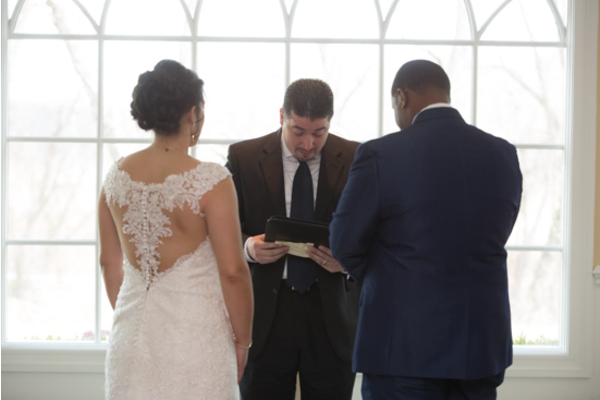 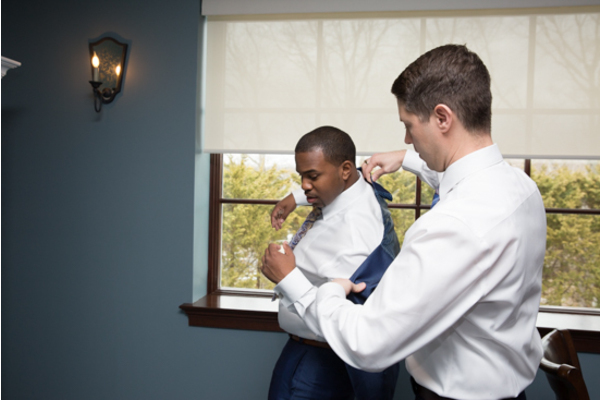 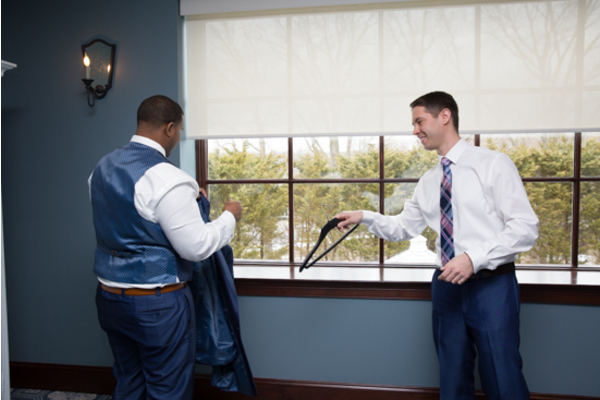 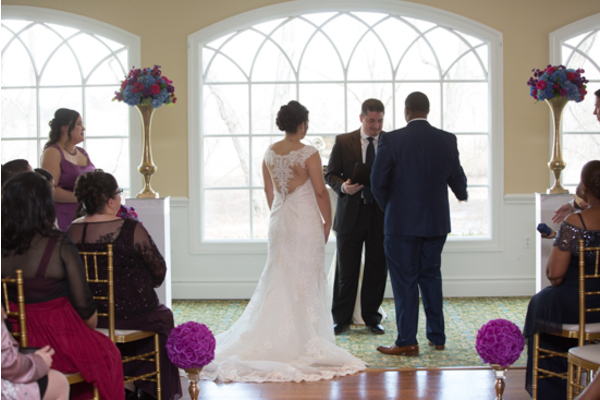 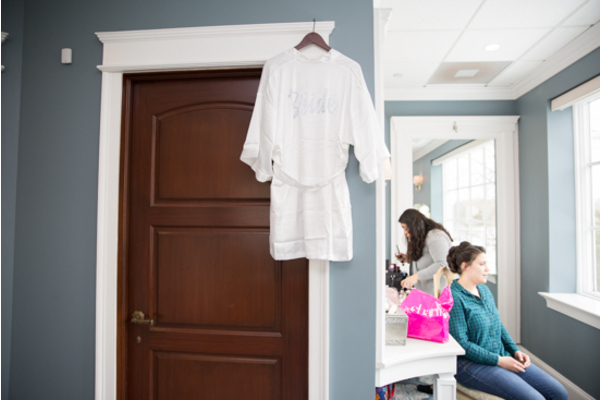 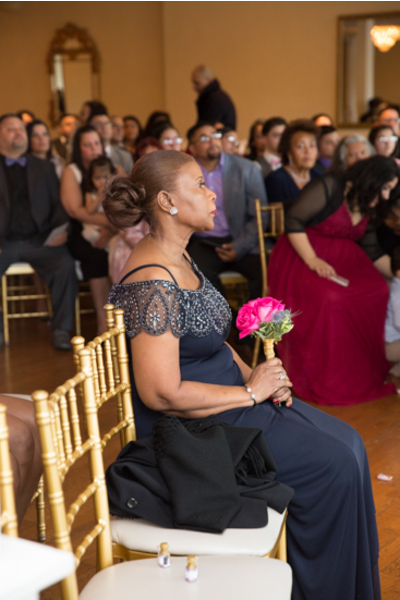 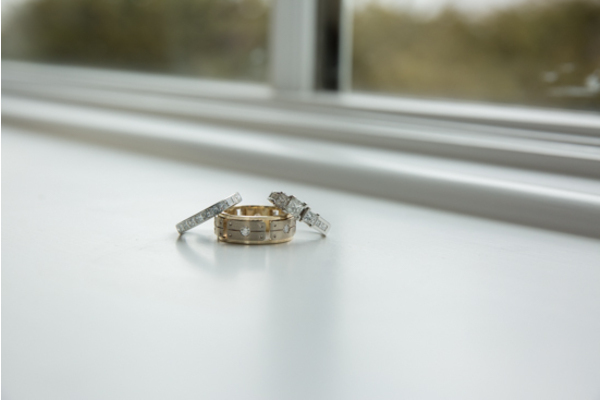 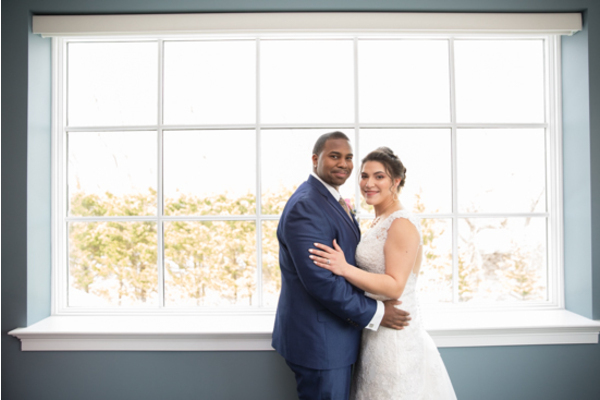 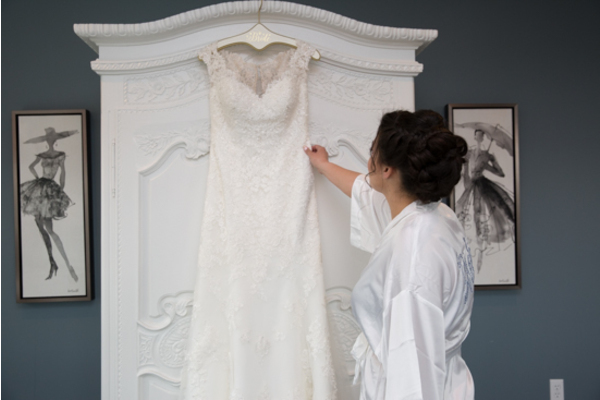 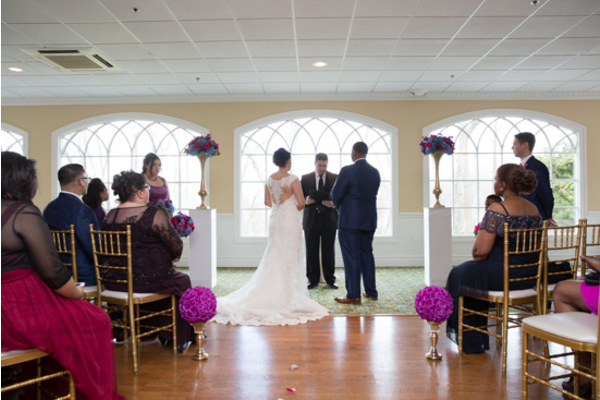 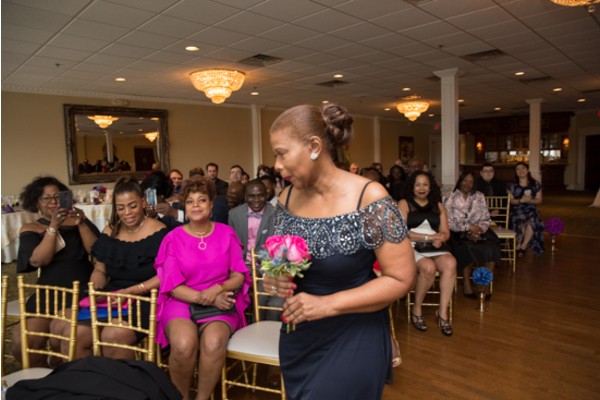 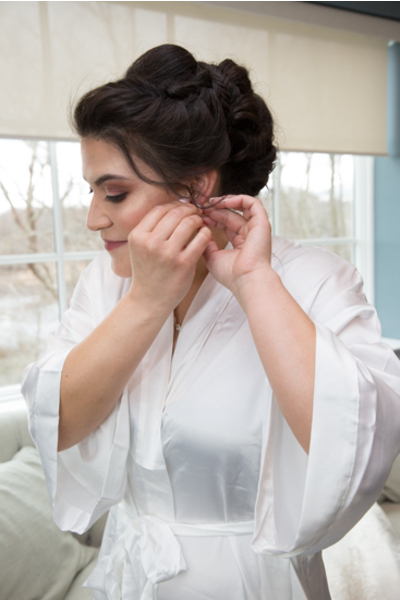 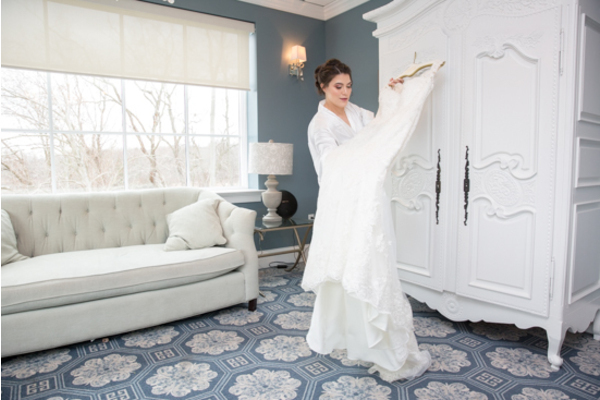 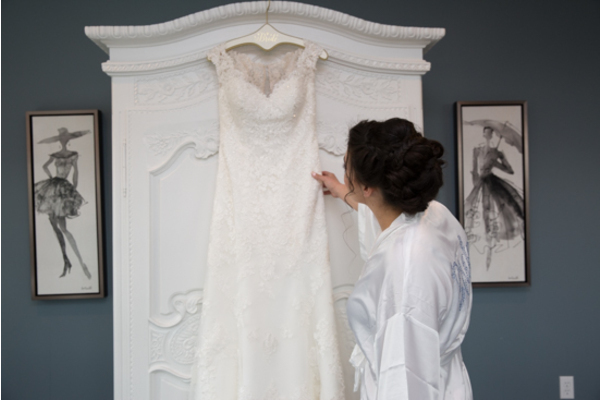 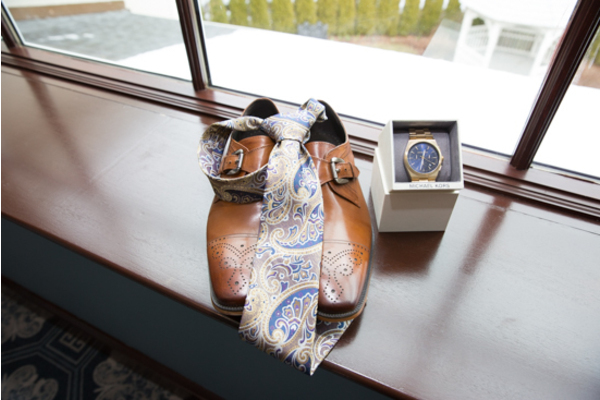 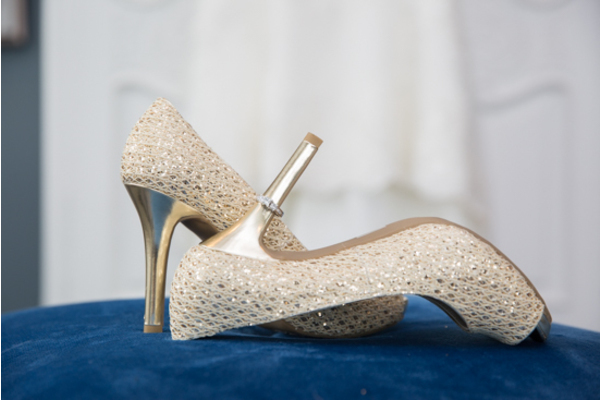 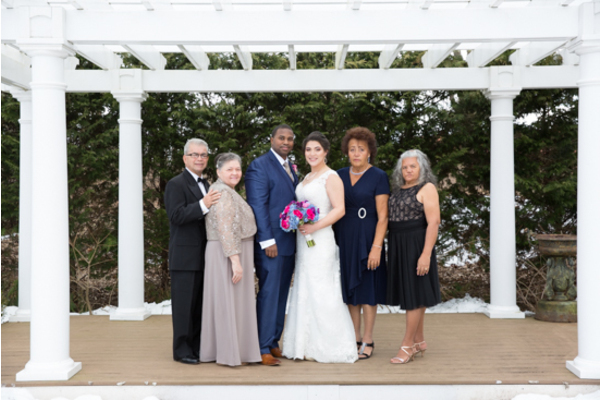 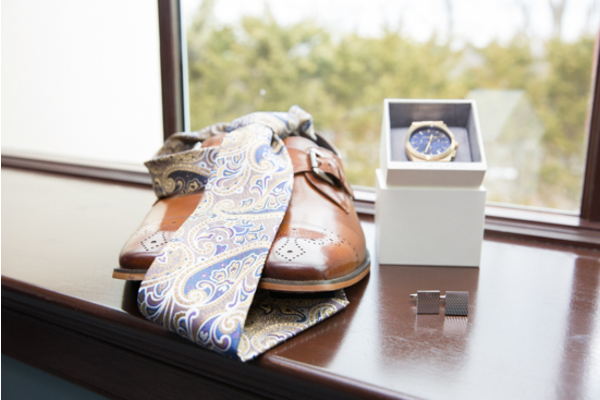 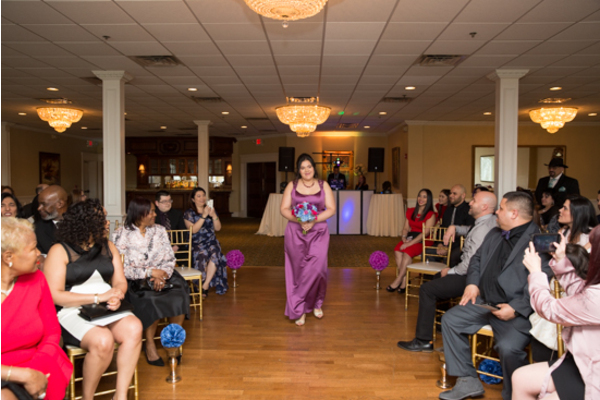 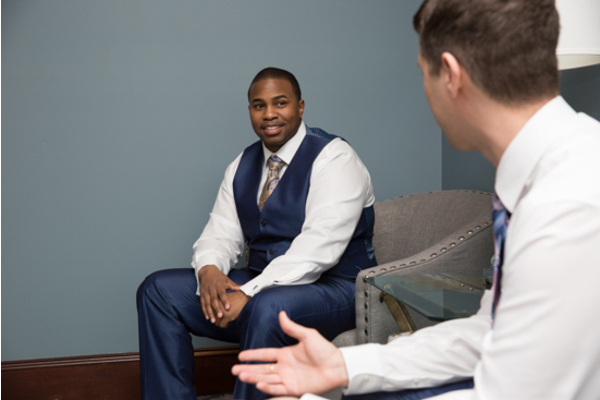 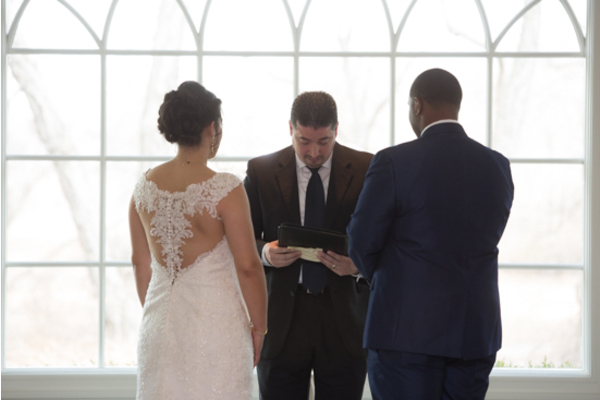 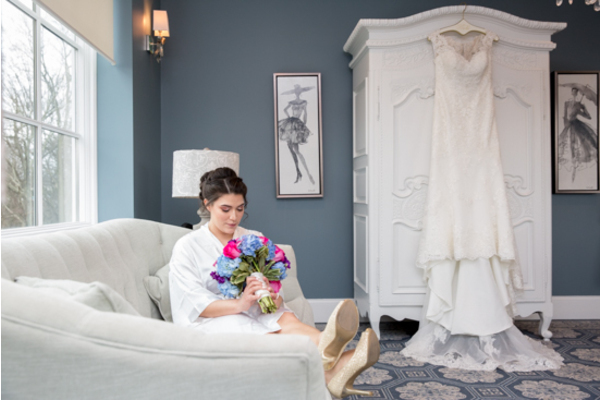 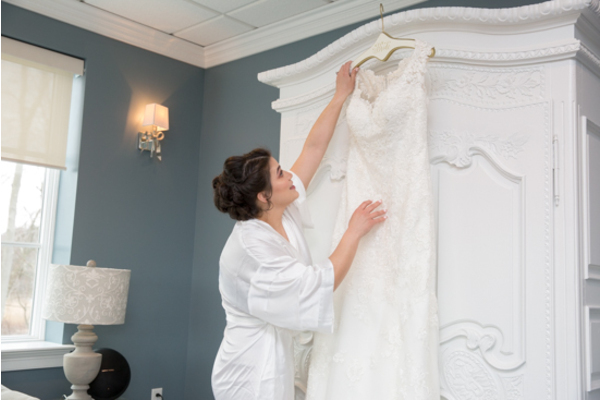 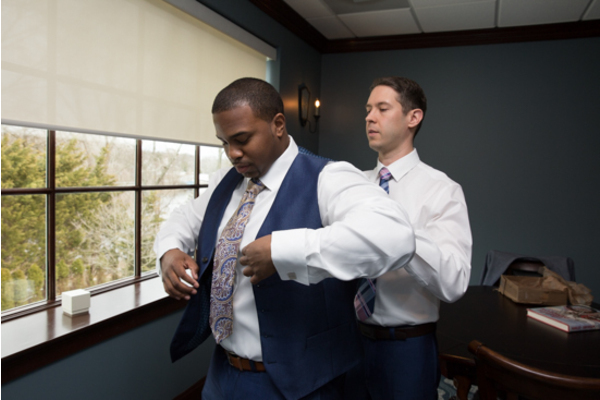 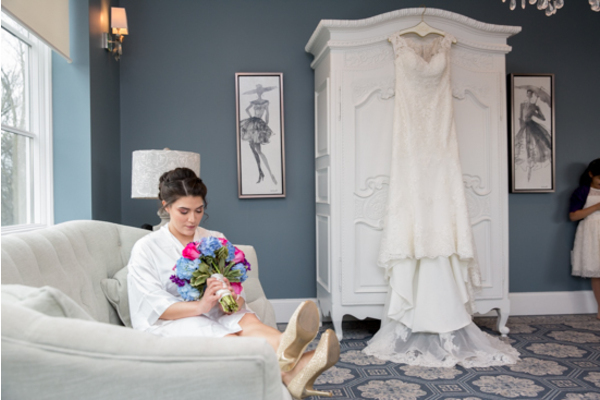 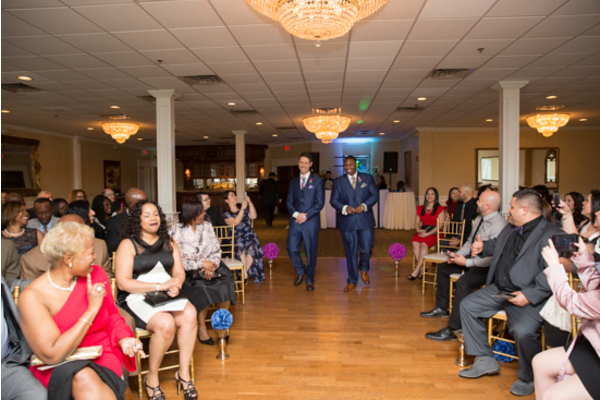 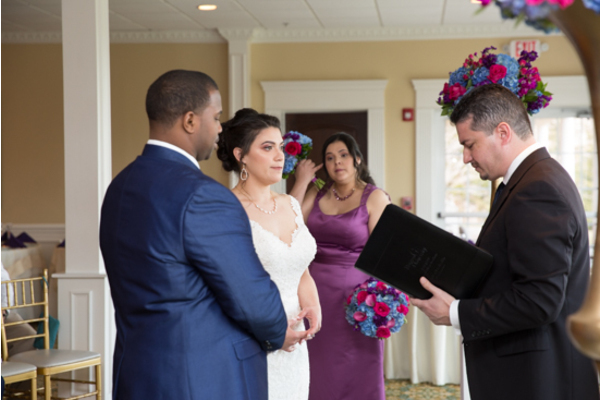 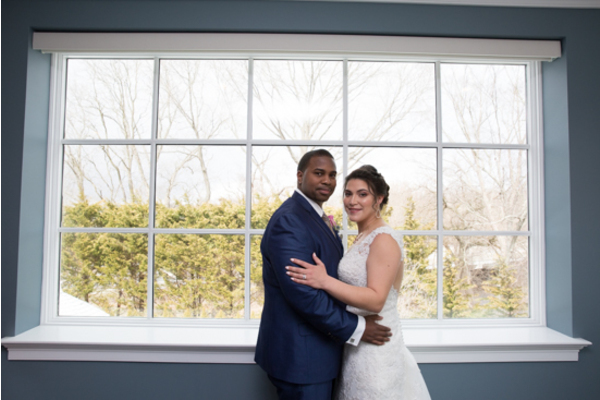 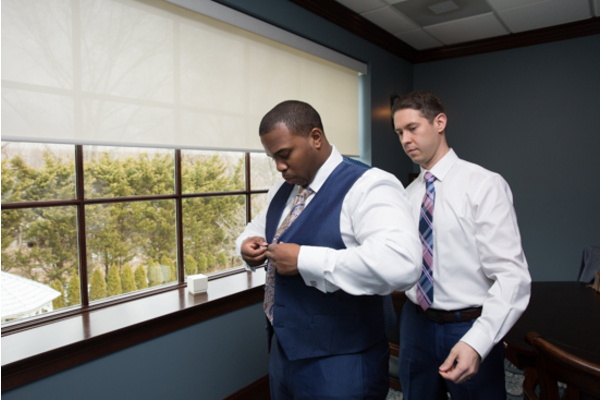 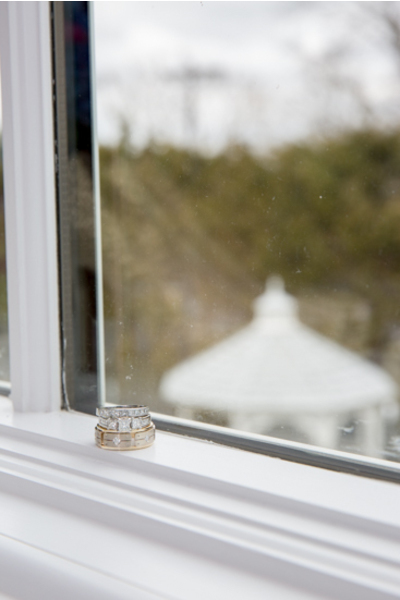 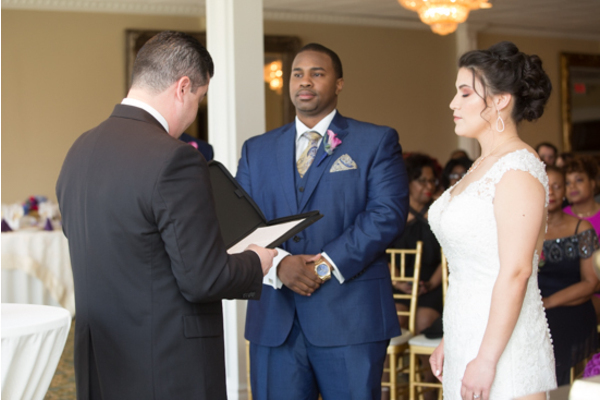 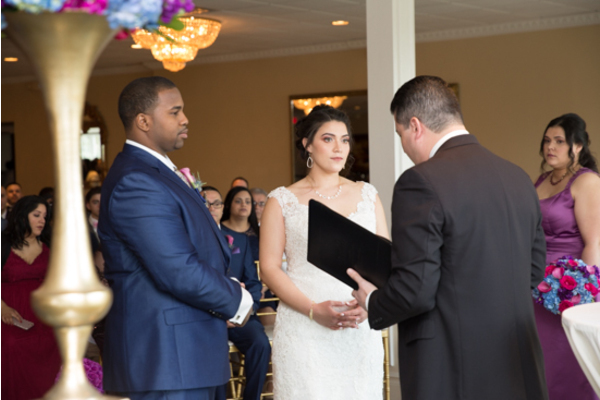 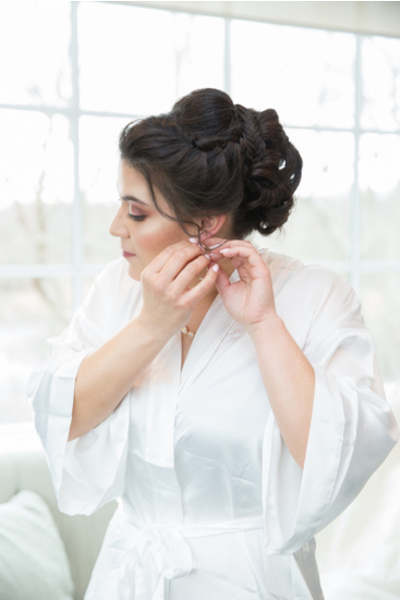 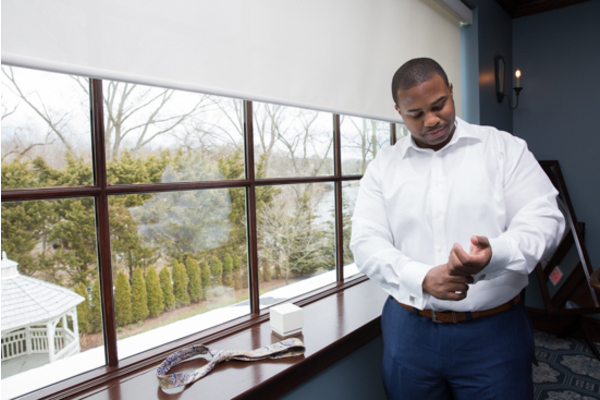 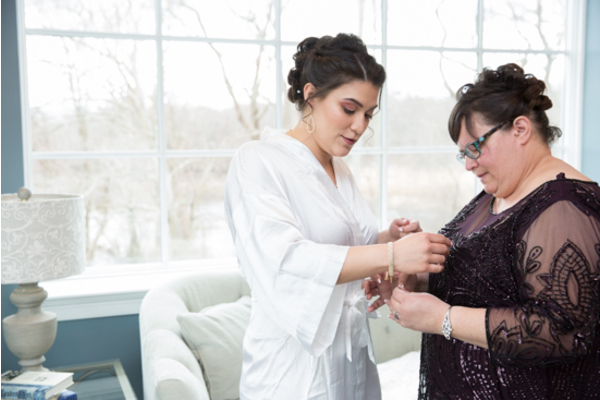 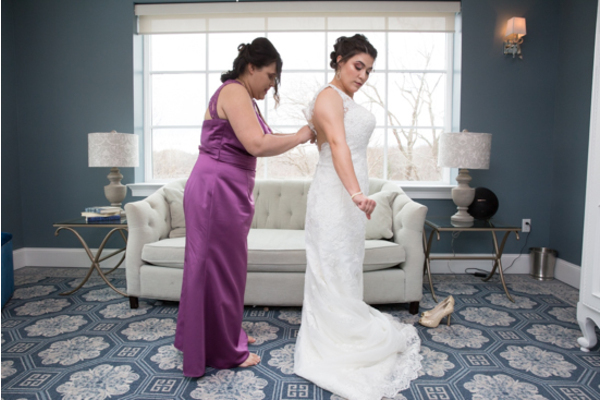 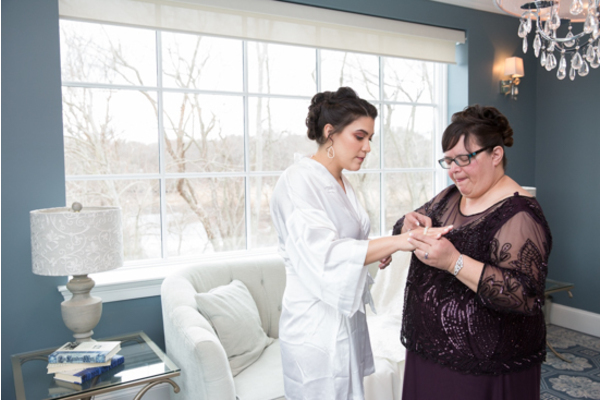 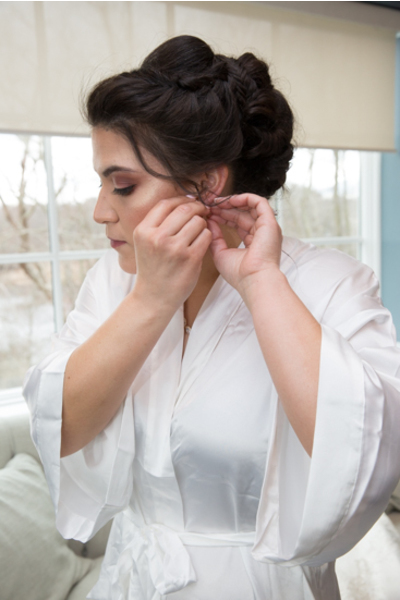 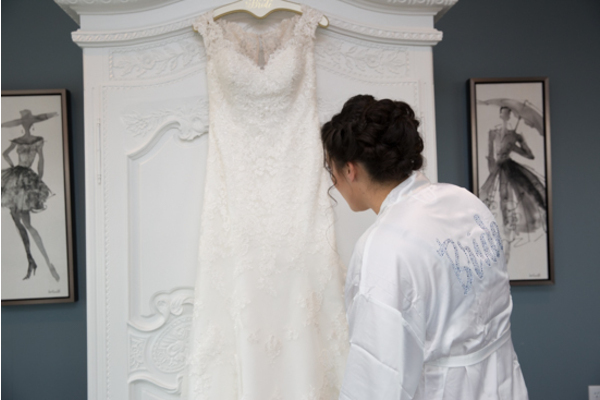 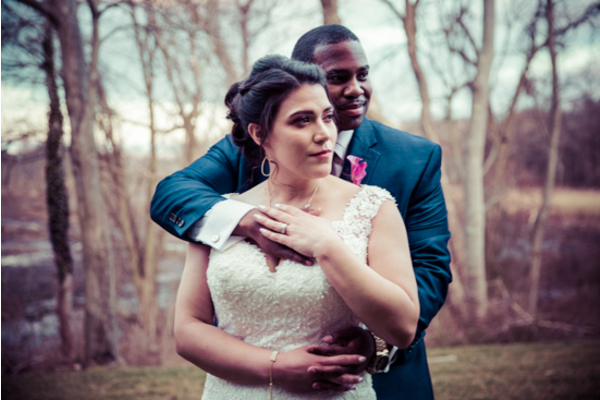 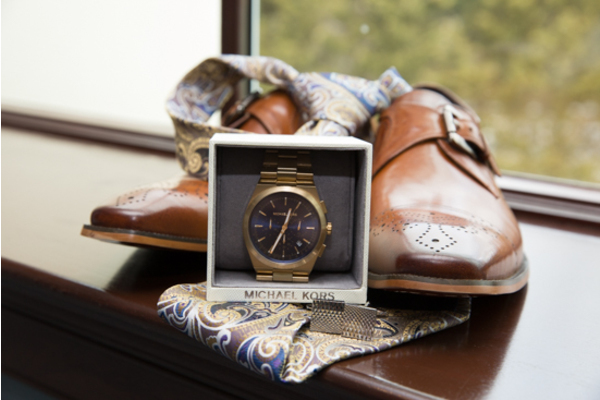 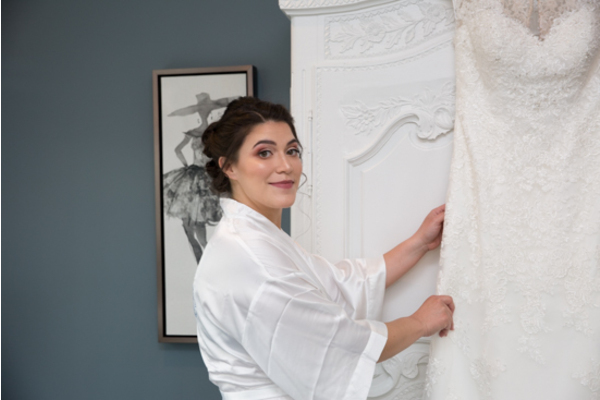 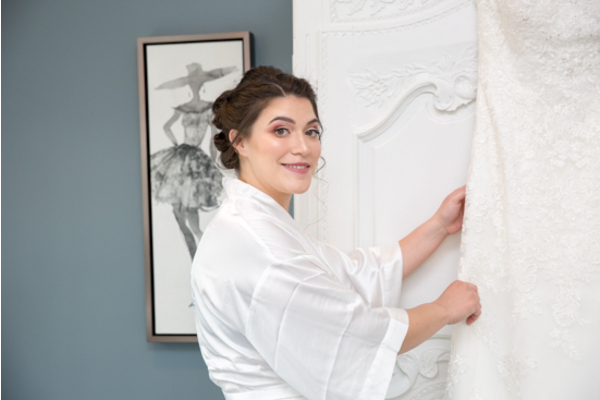 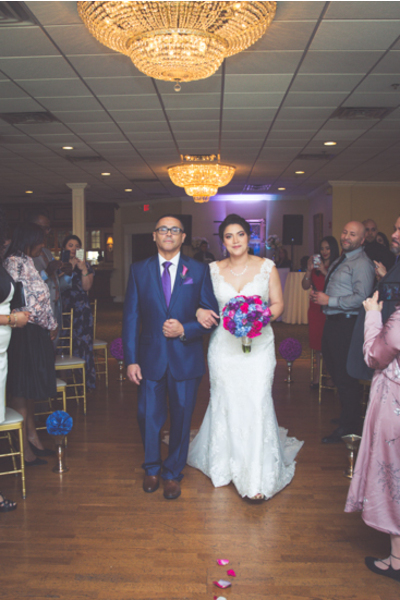 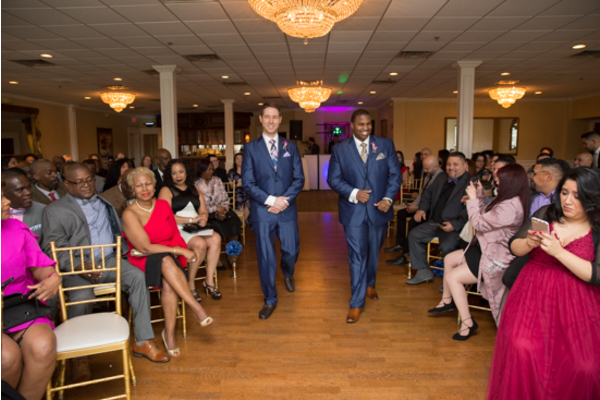 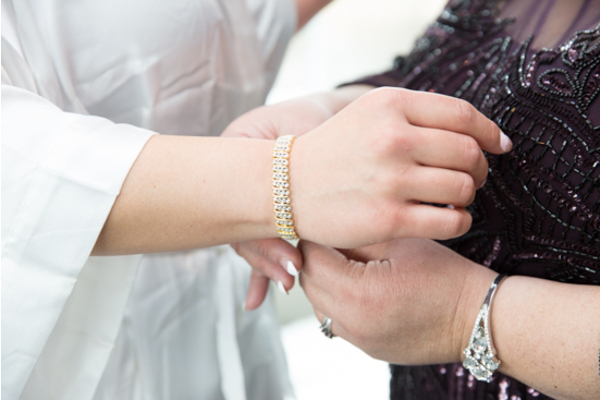 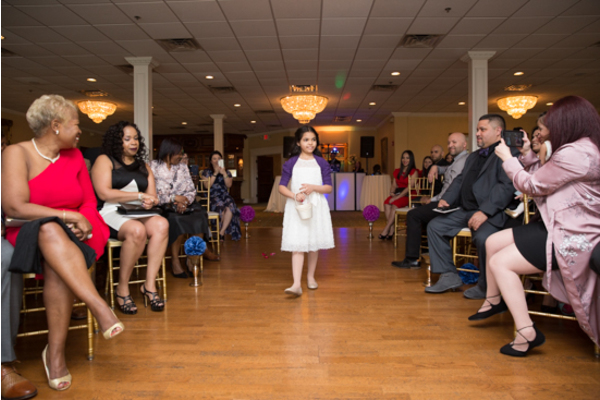 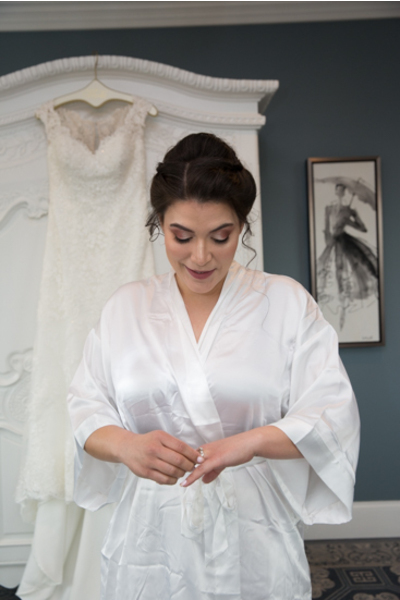 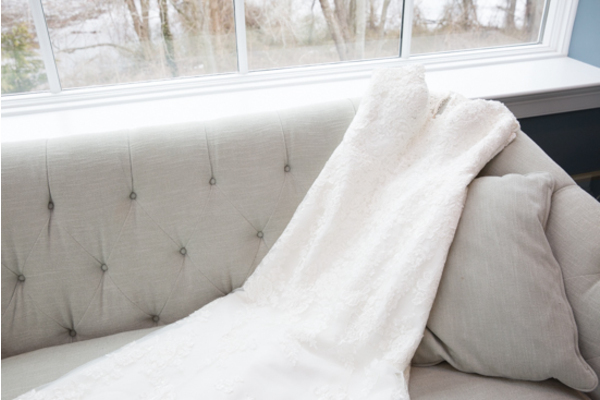 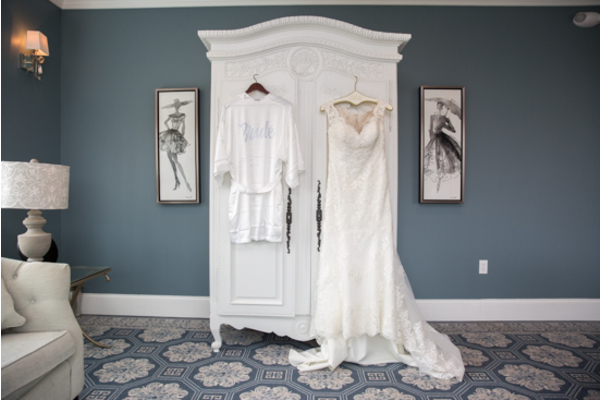 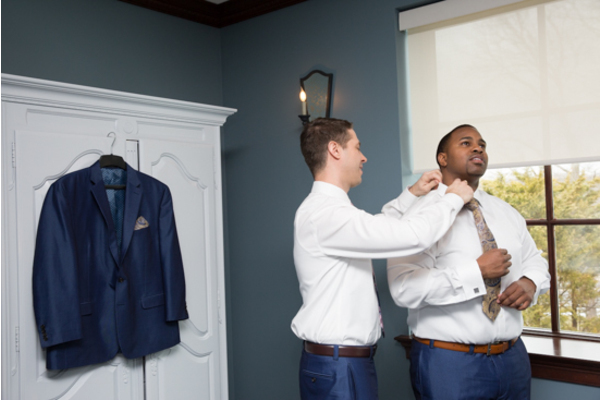 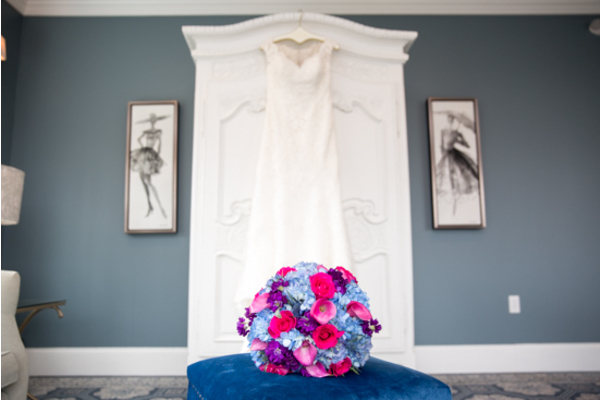 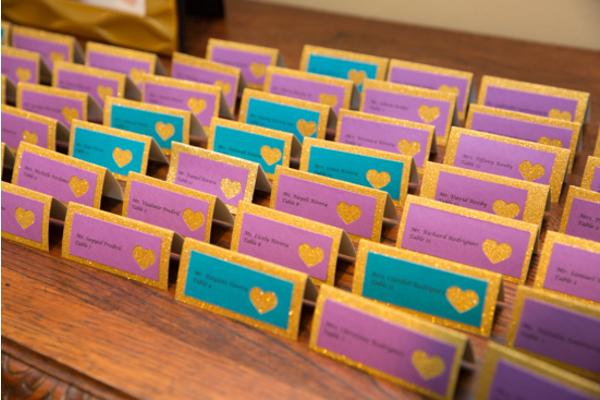 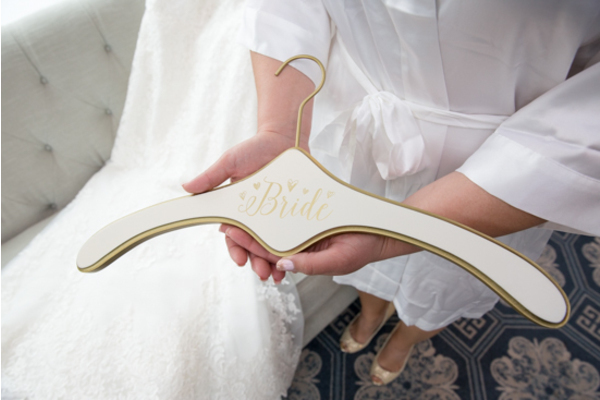 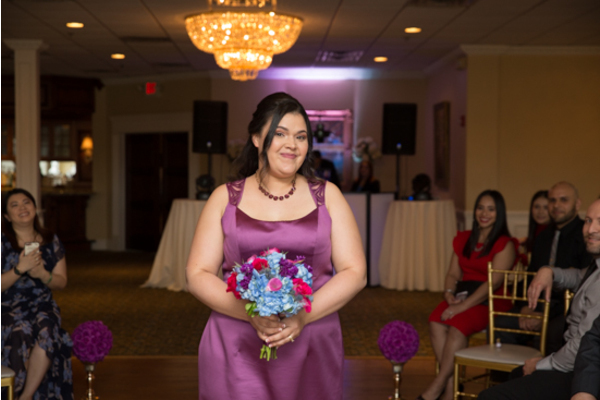 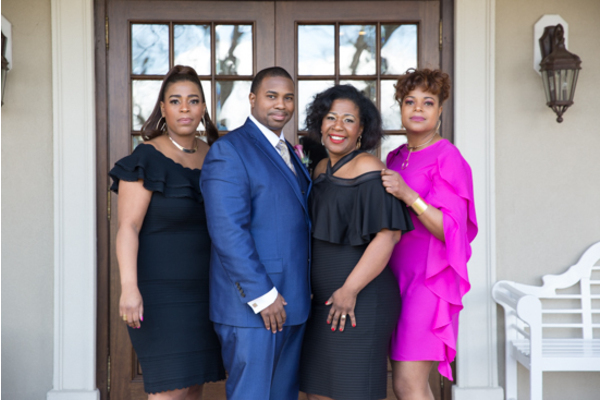 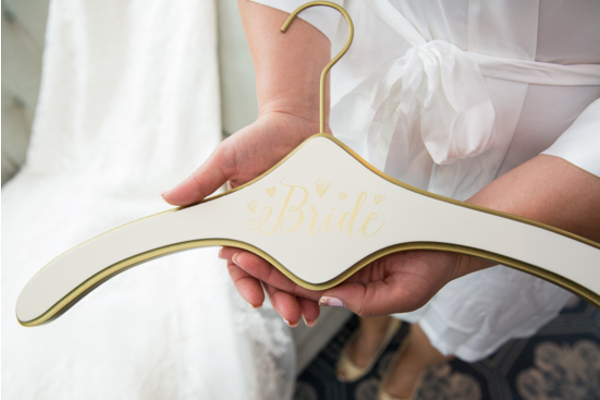 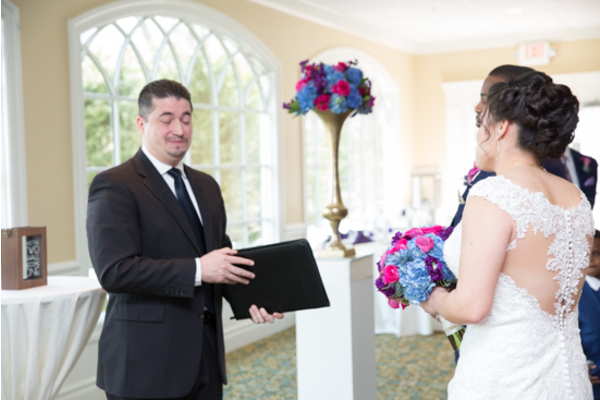 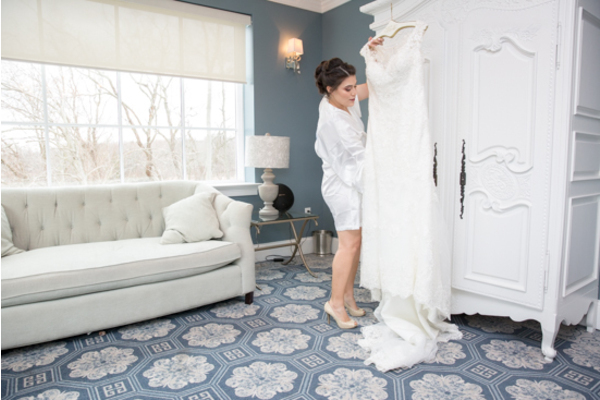 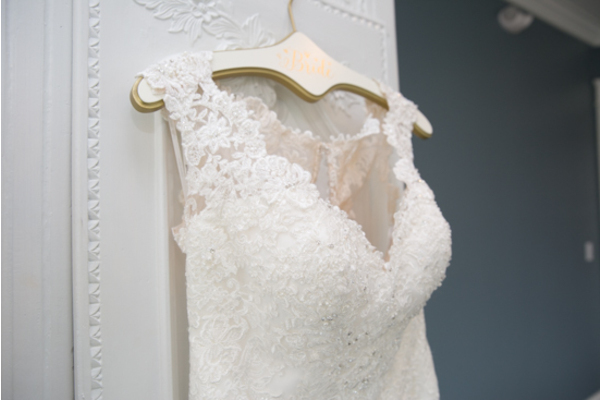 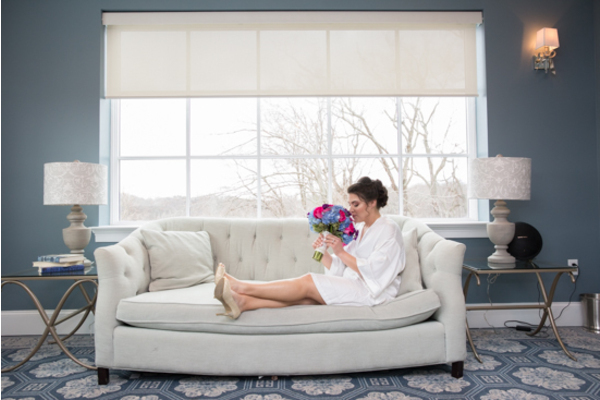 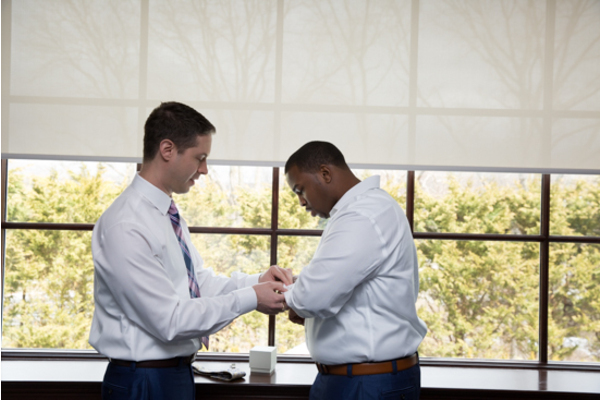 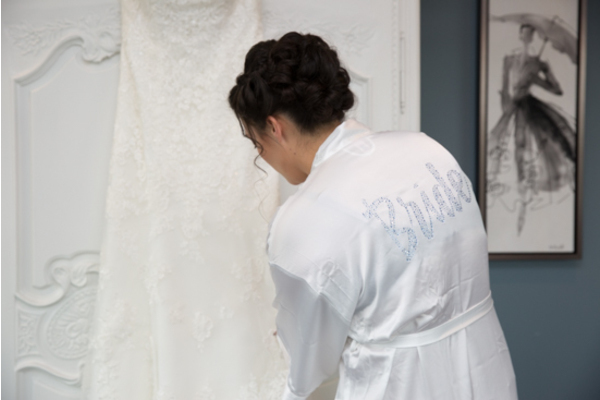 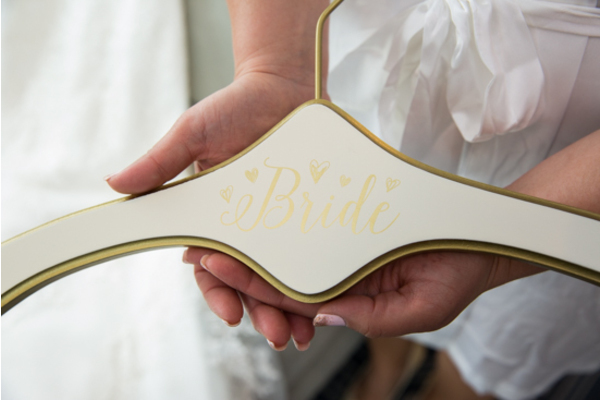 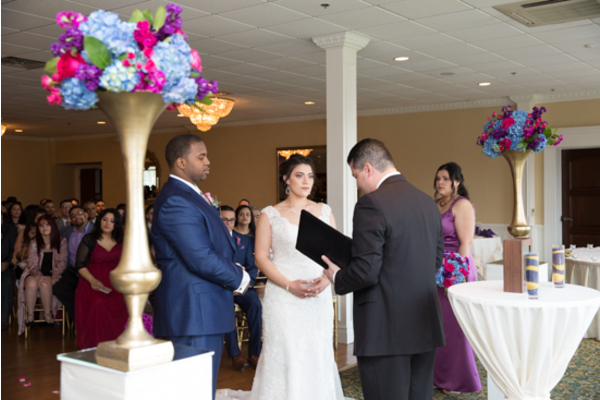 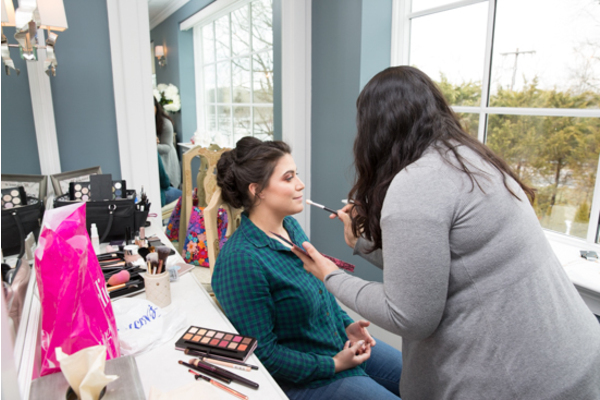 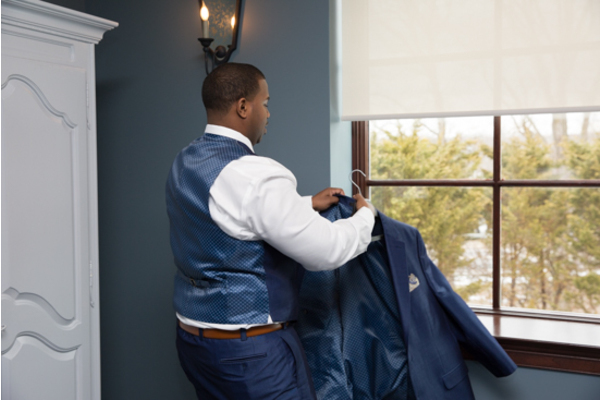 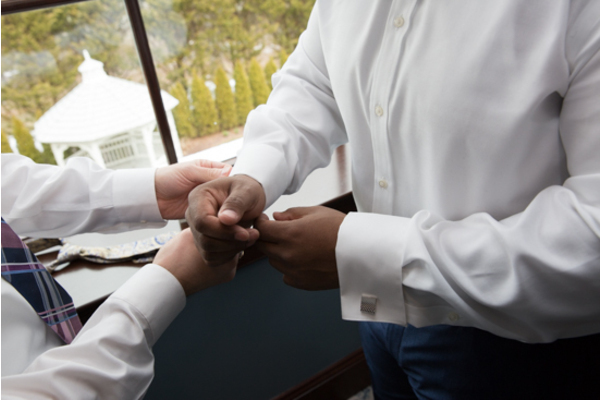 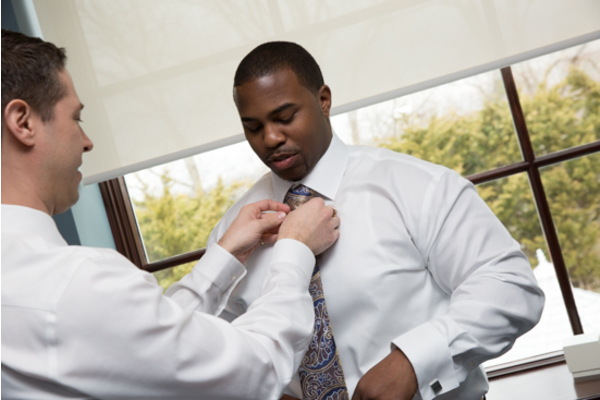 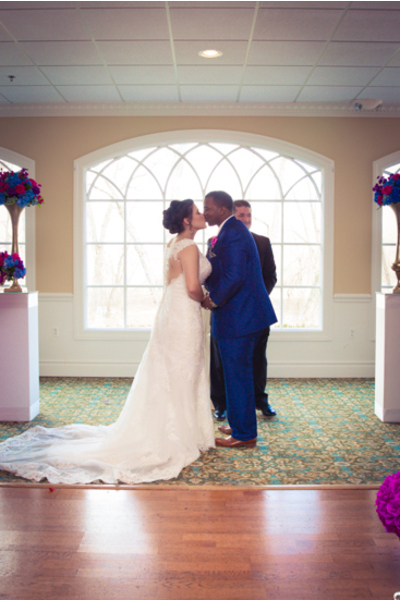 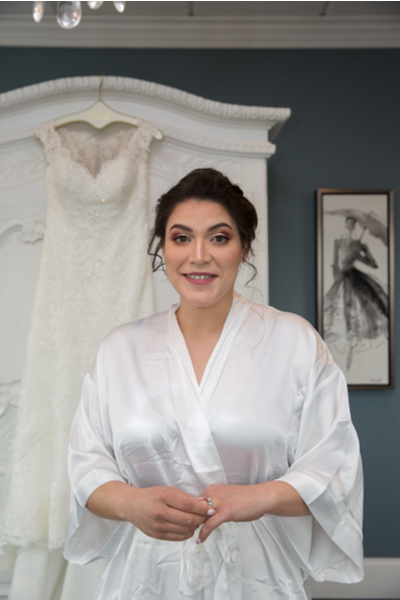 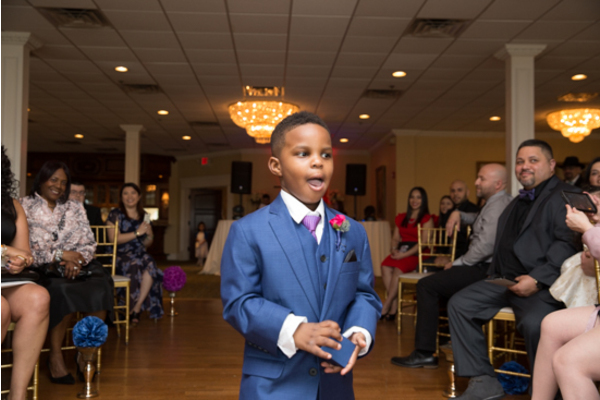 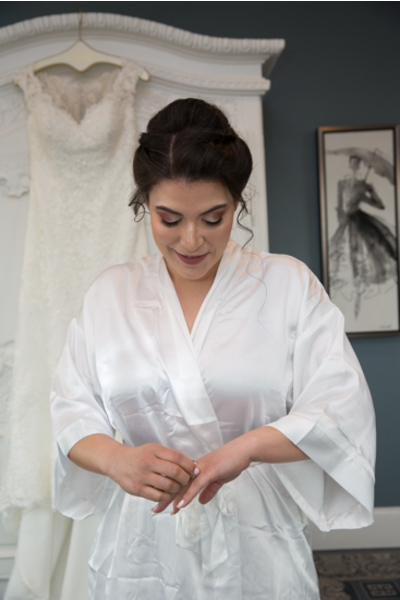 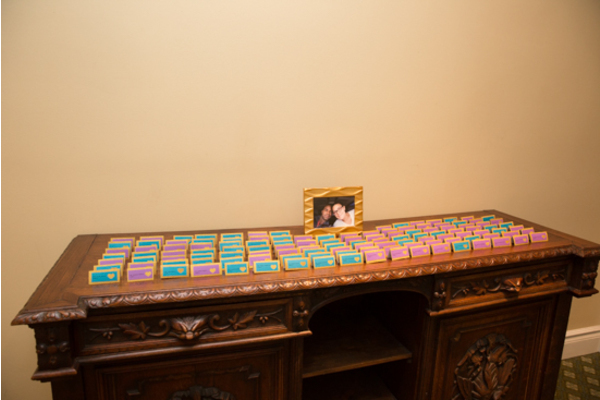 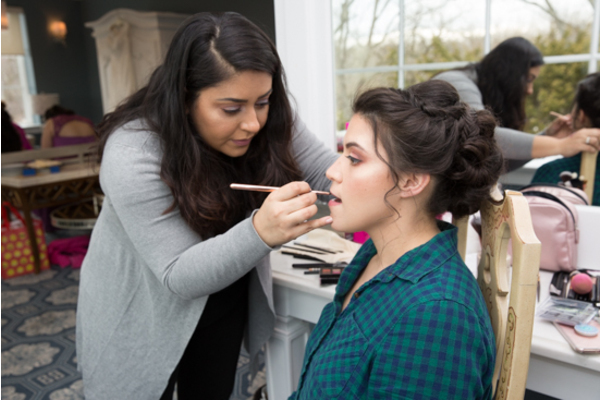 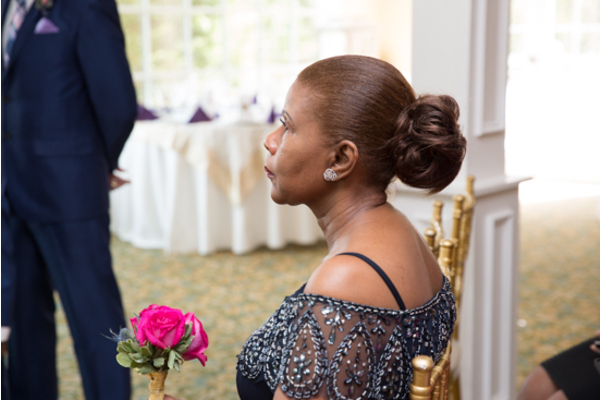 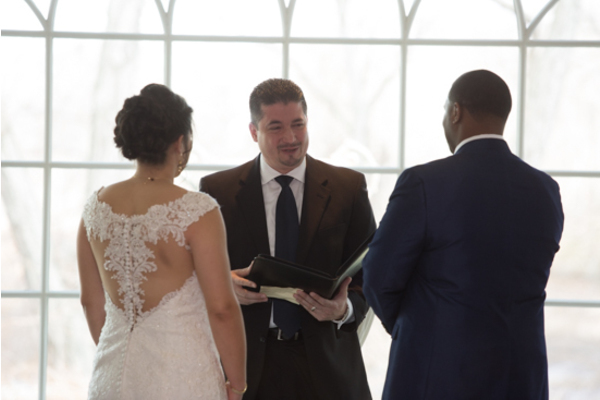 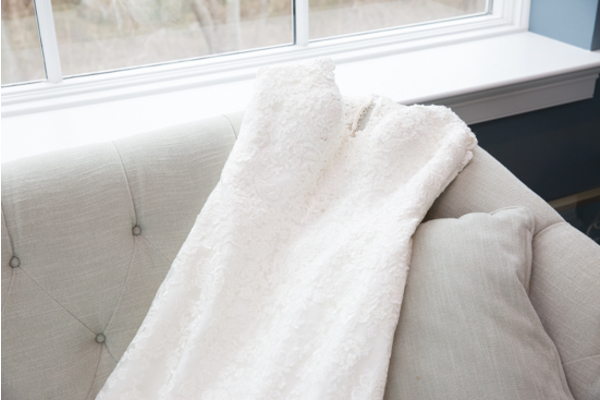 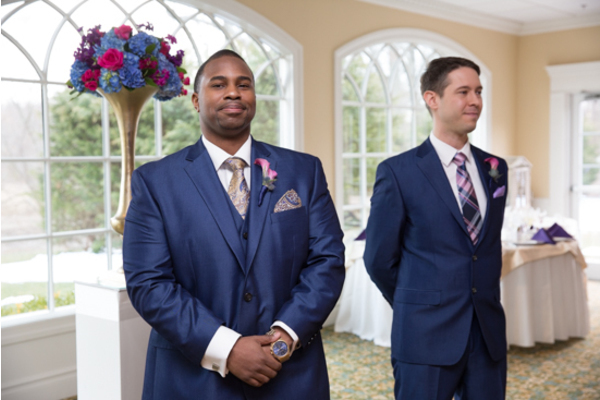 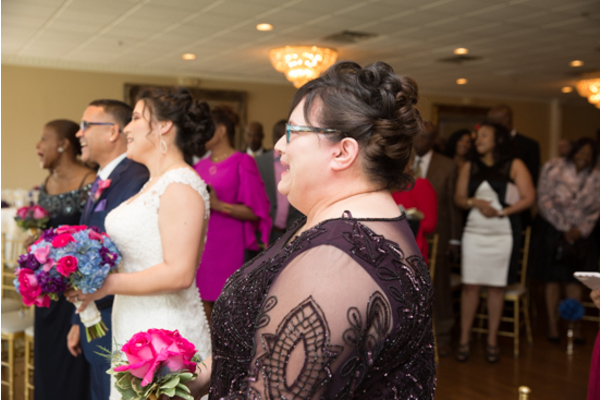 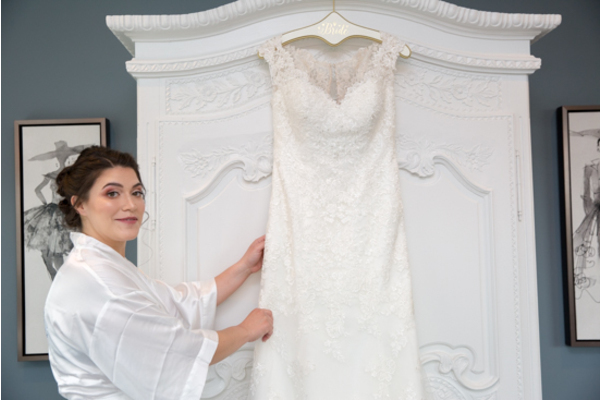 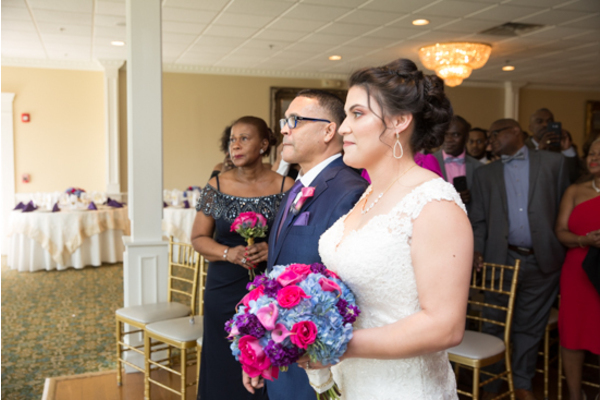 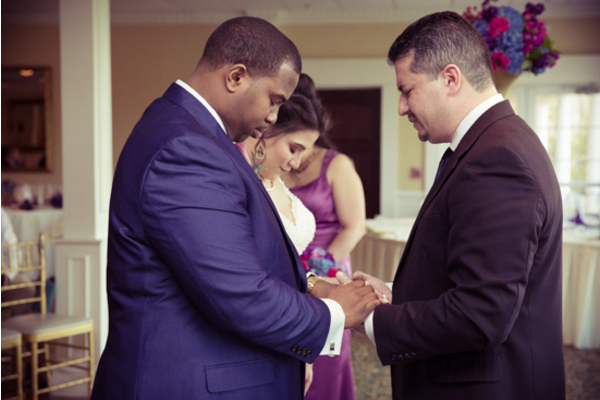 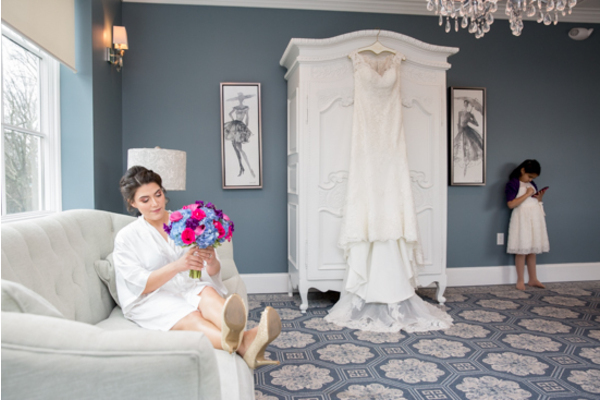 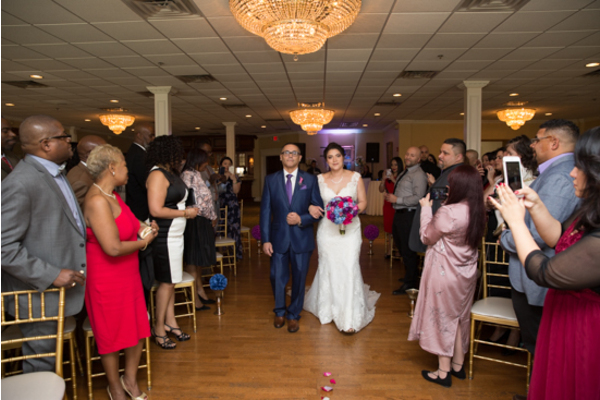 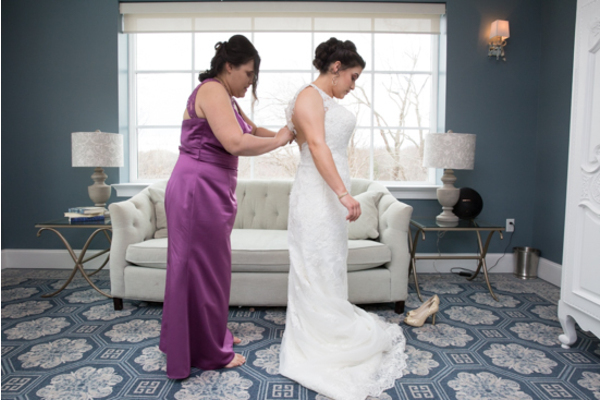 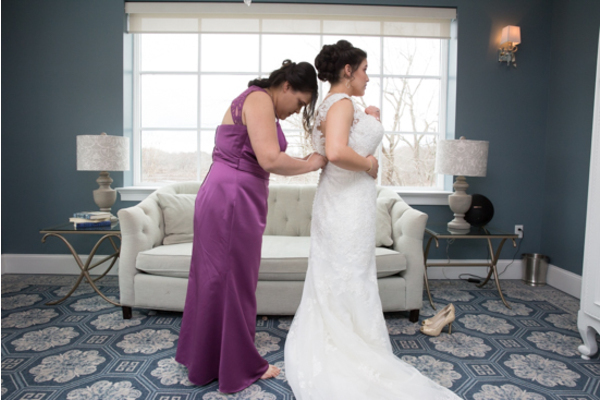 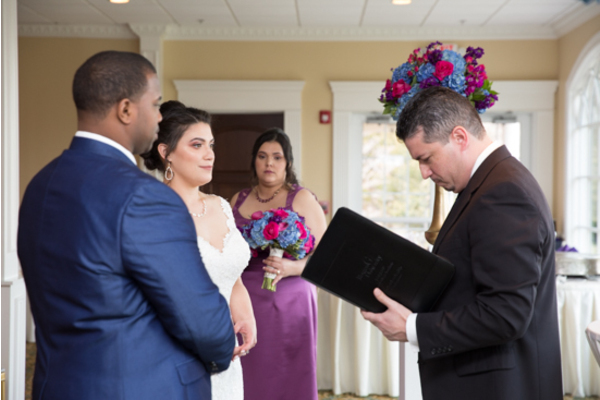 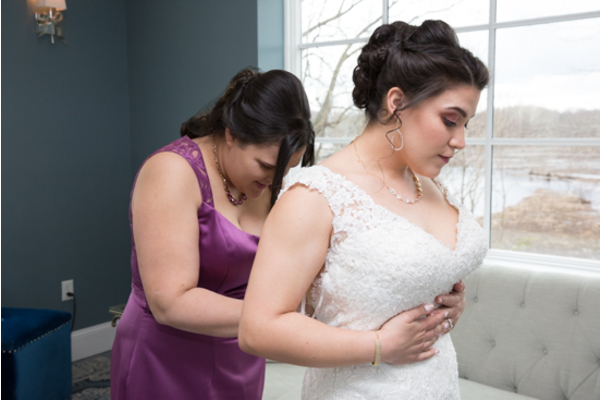 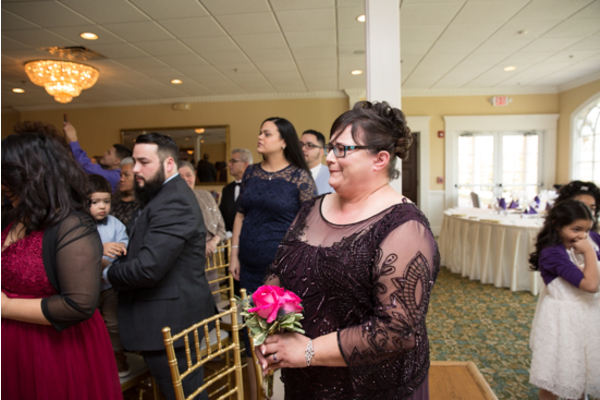 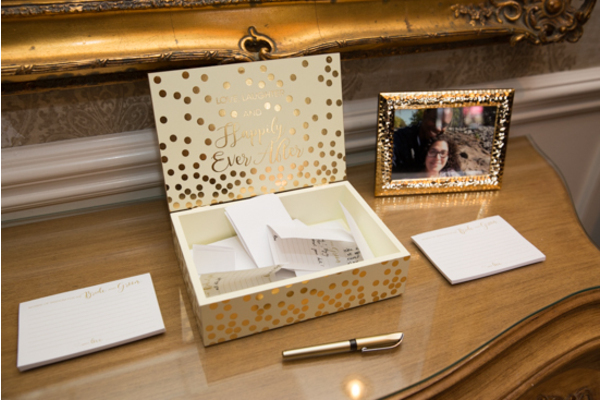 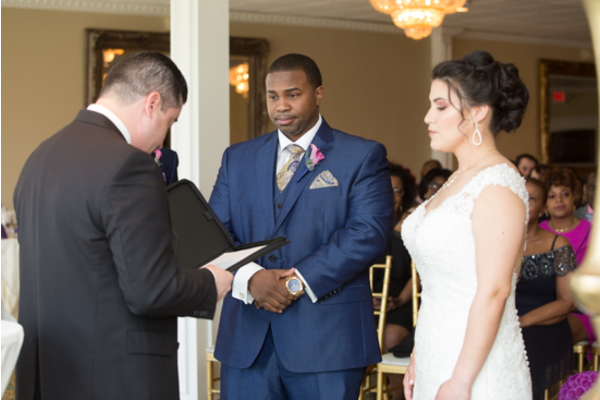 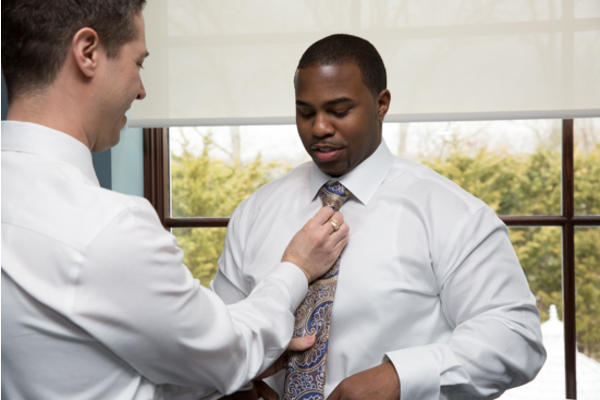 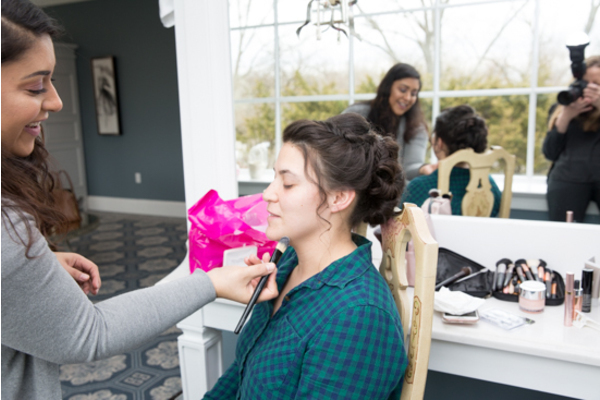 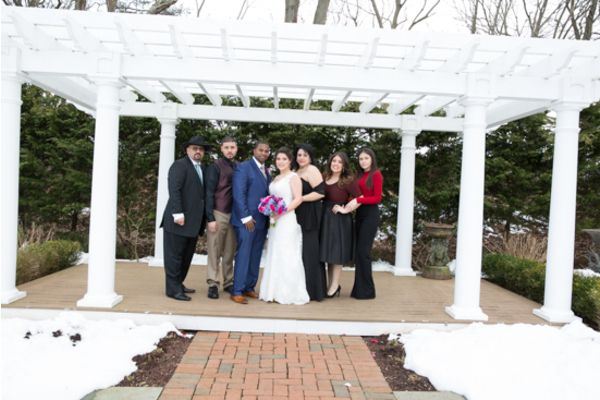 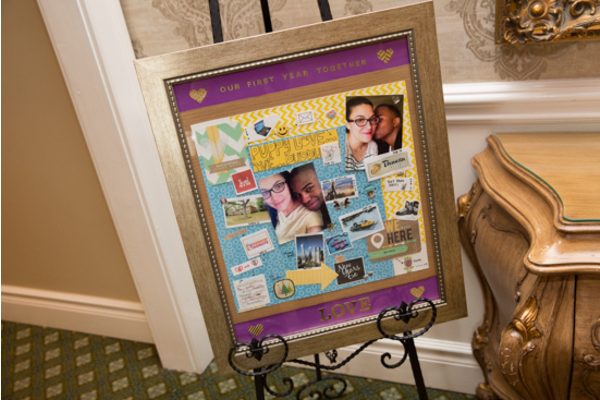 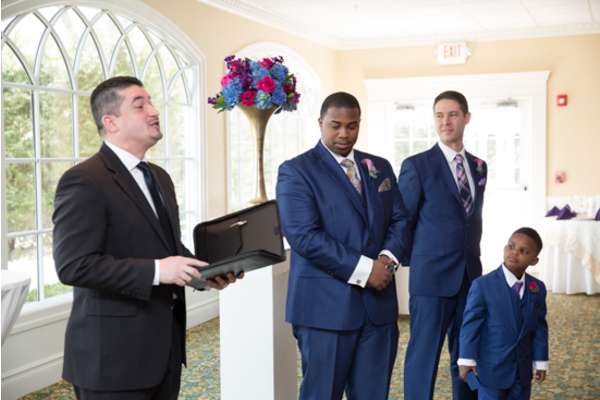 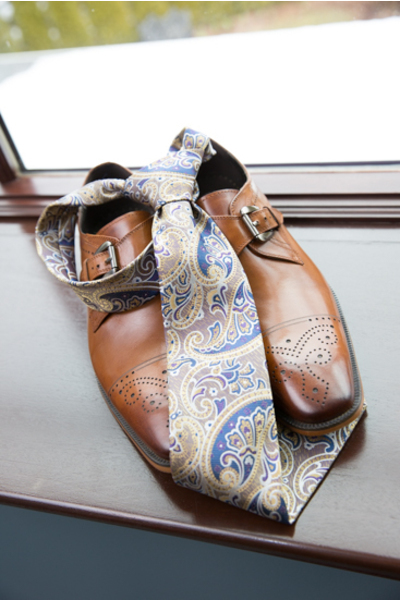 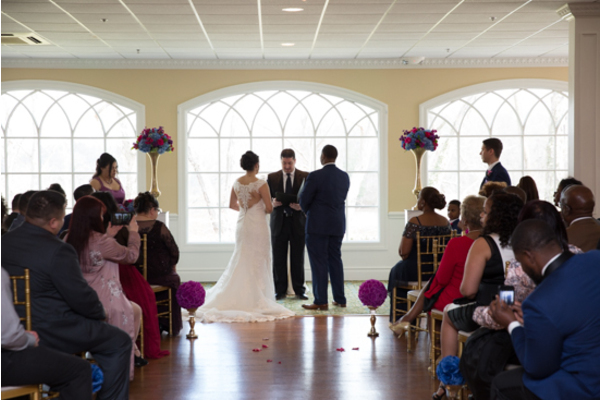 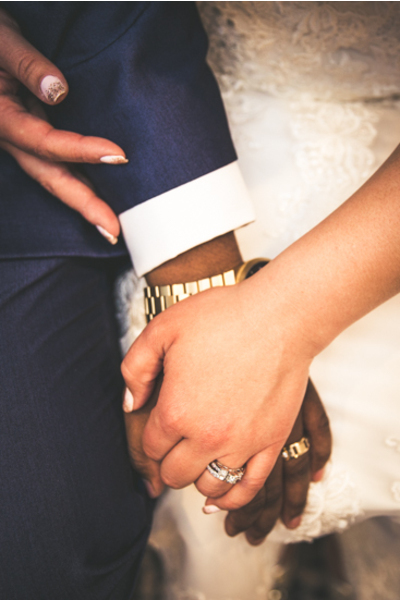 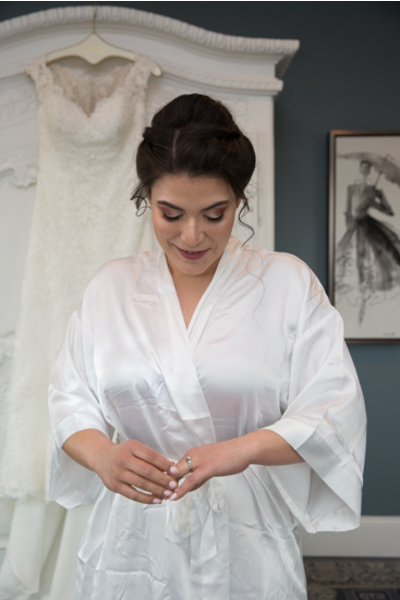 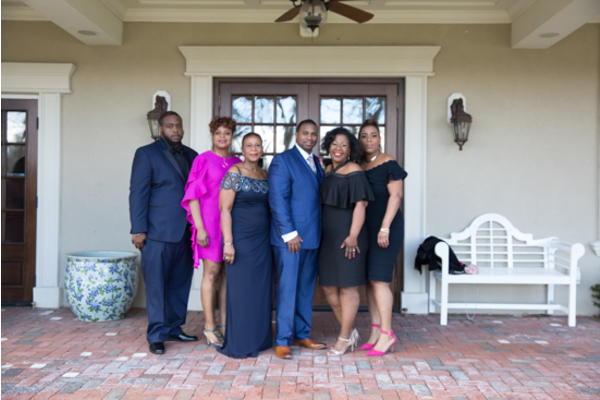 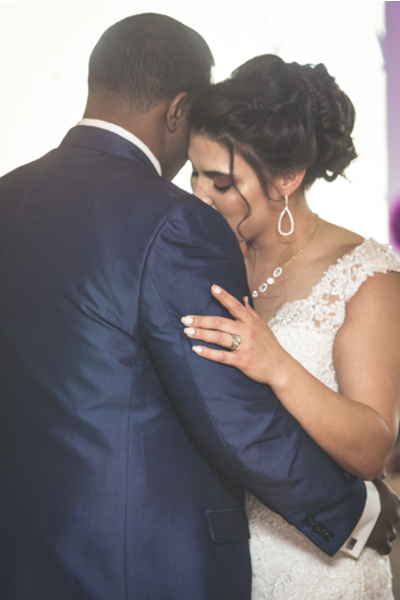 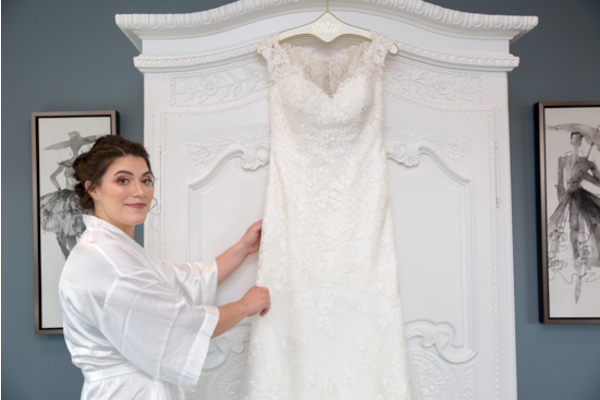 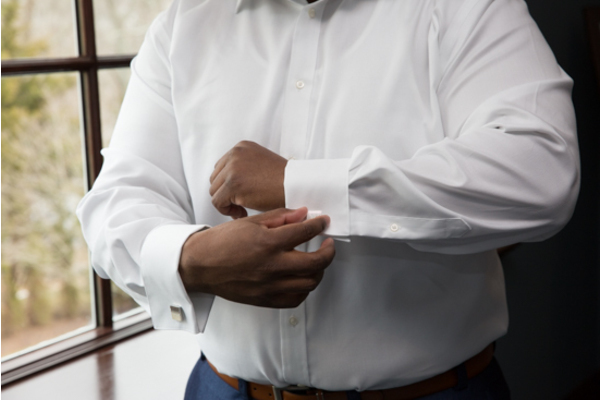 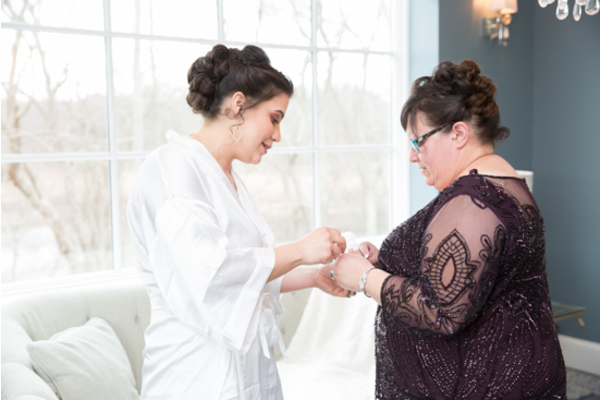 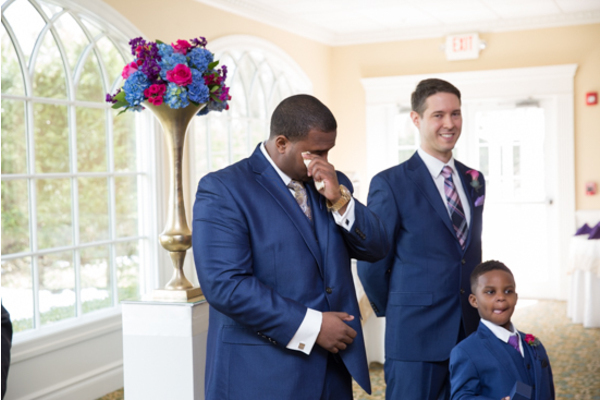 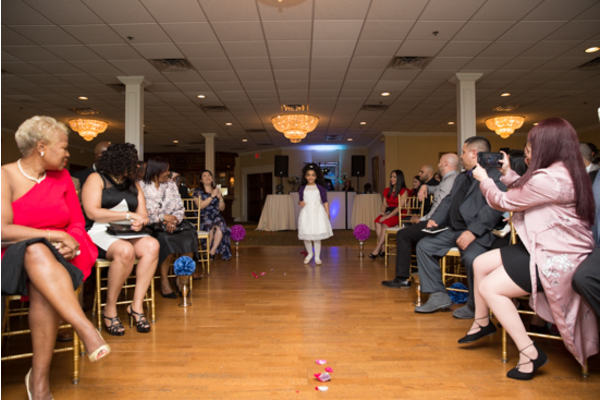 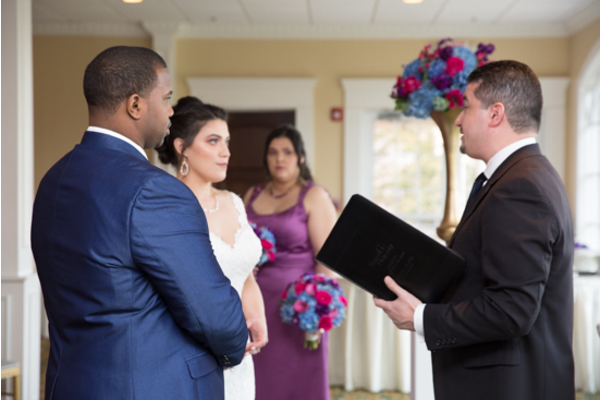 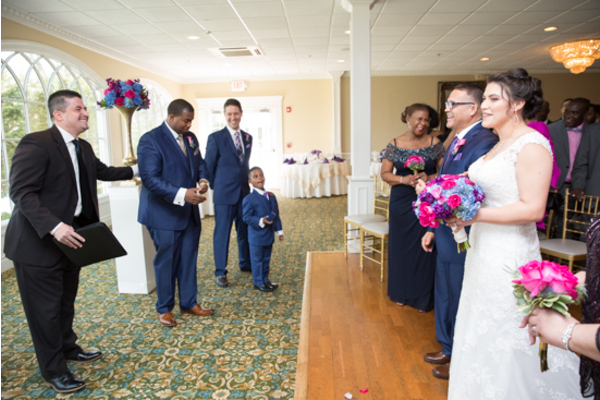 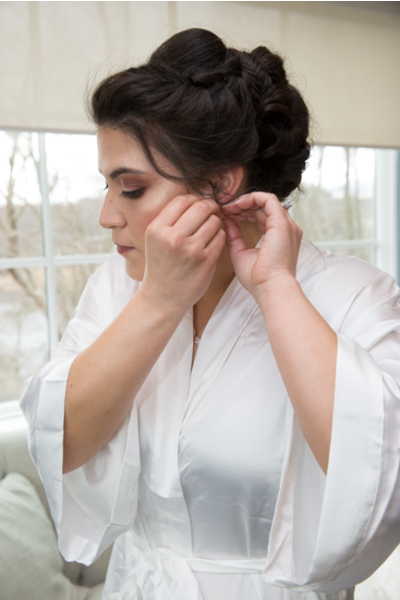 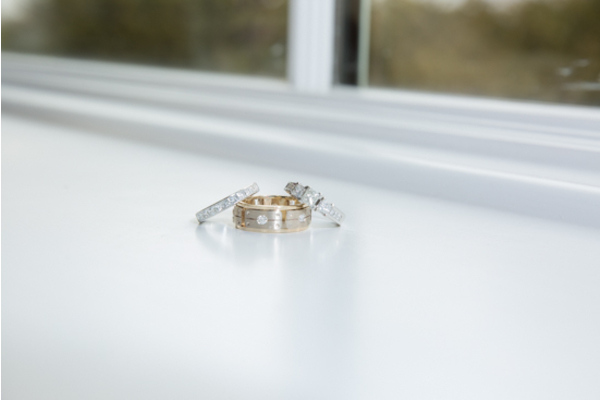 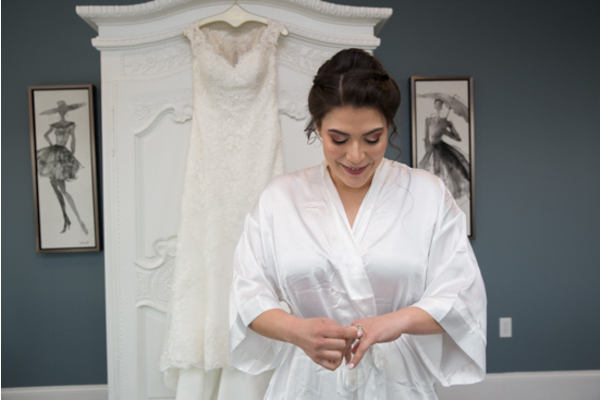 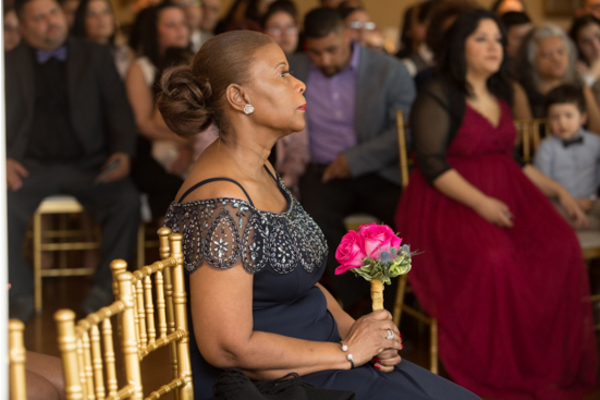 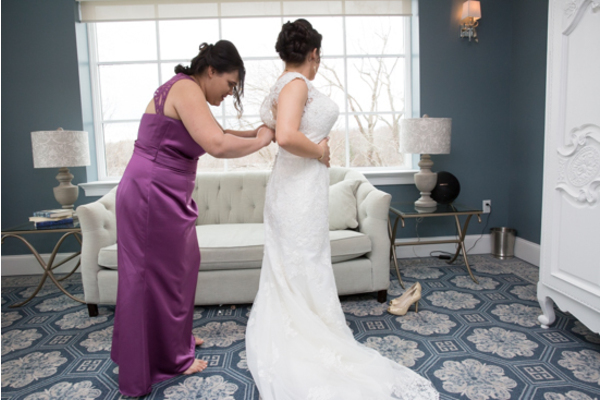 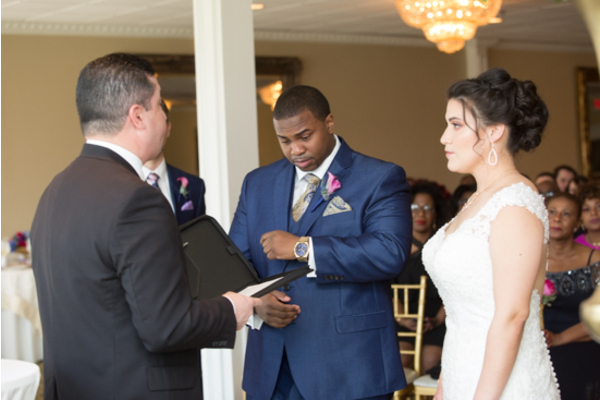 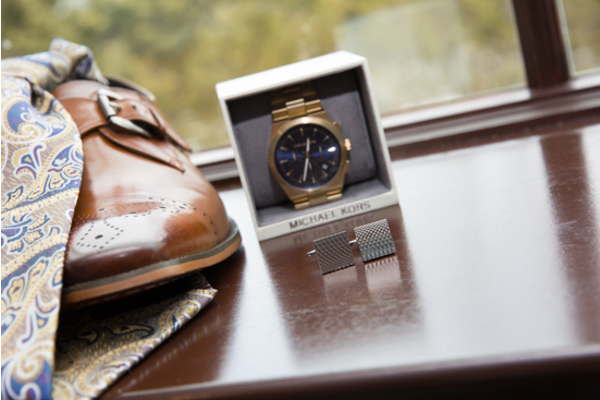 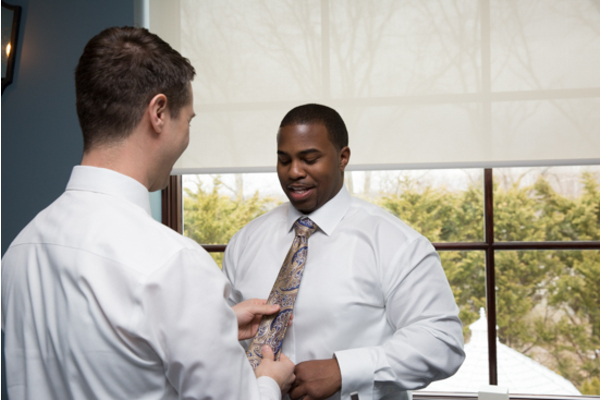 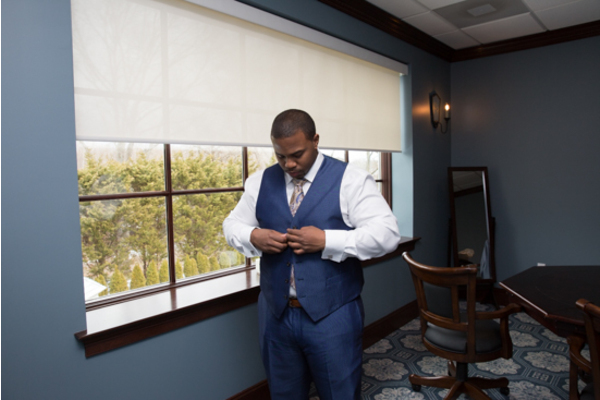 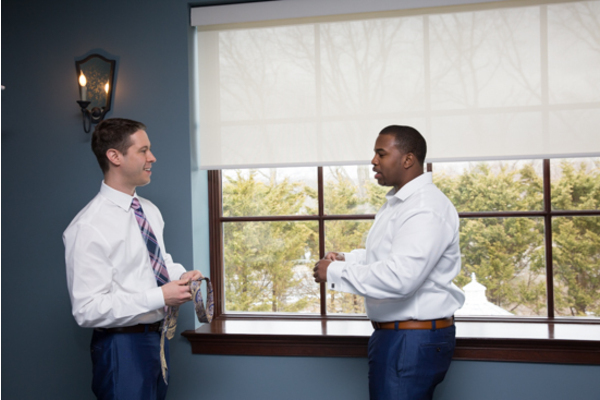 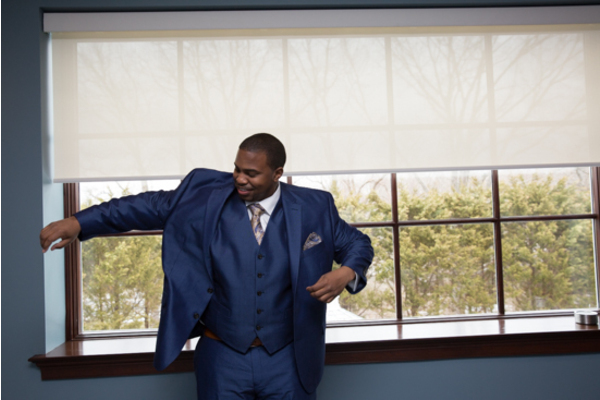 Our NJ Wedding Photographer captured all the special and significant moments! 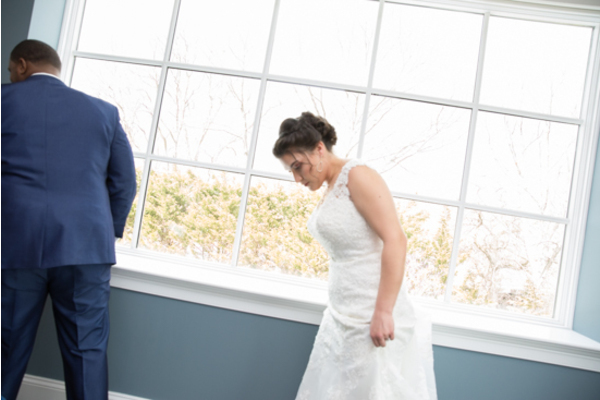 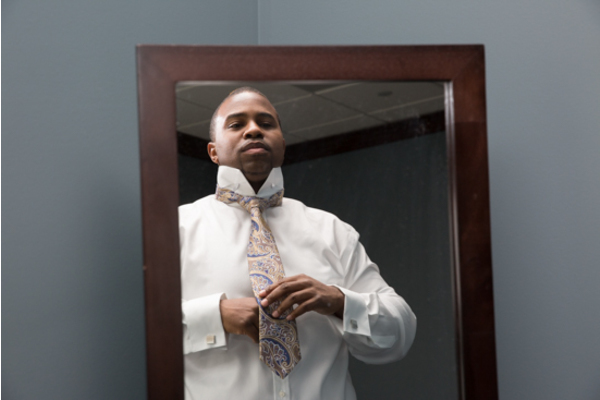 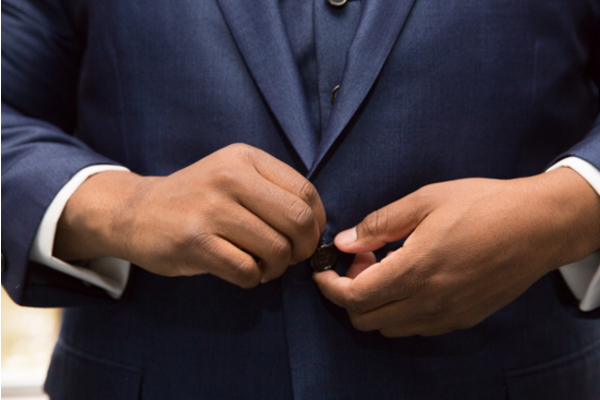 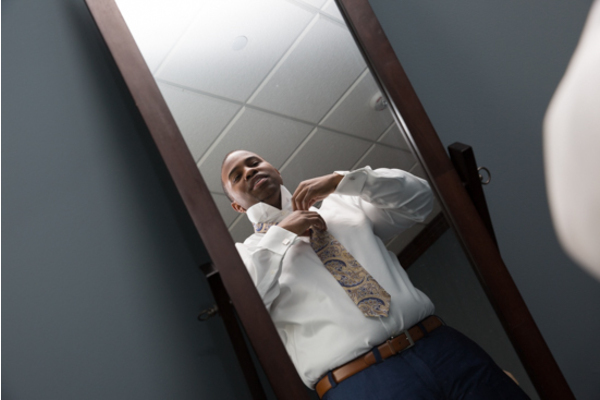 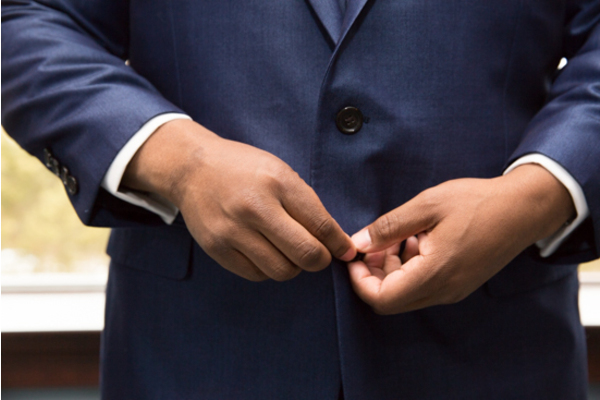 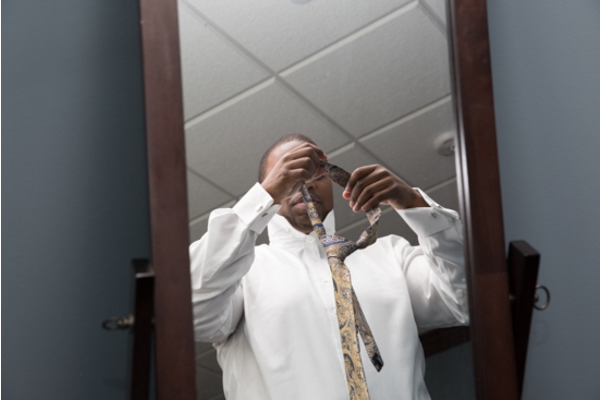 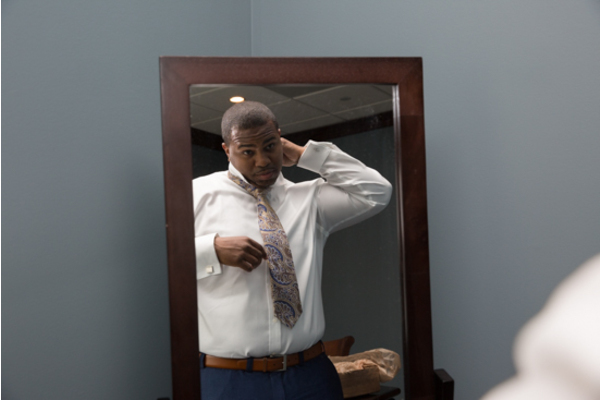 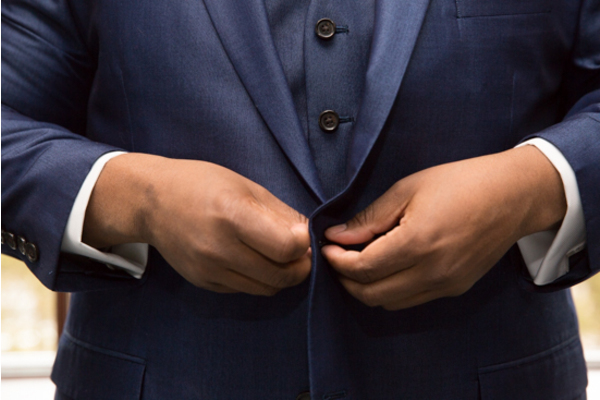 From hair and makeup to Stephanie slipping into her gorgeous gown to Jean tying his tie. 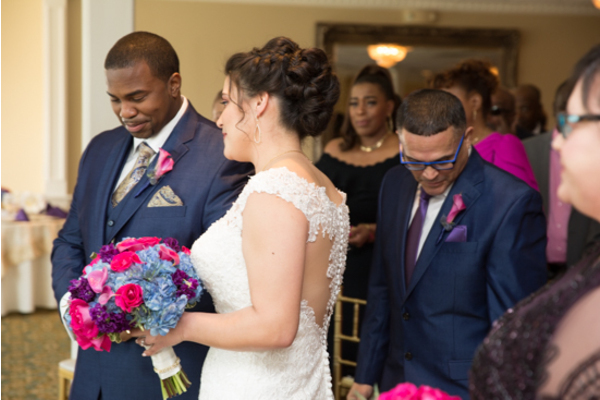 Prior to the service the soon-to-be bride and groom shared a romantic first look moment. 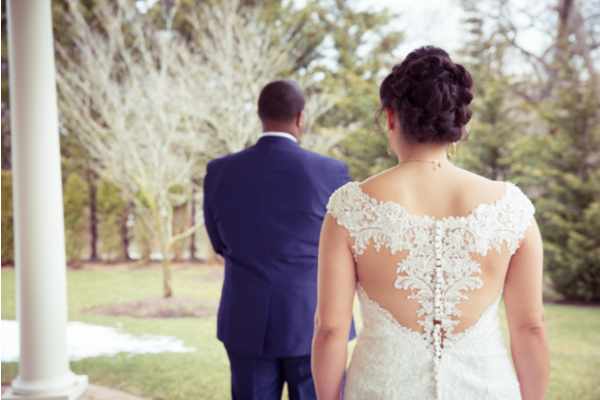 Stephanie walked behind Jean and tapped him on the shoulder. 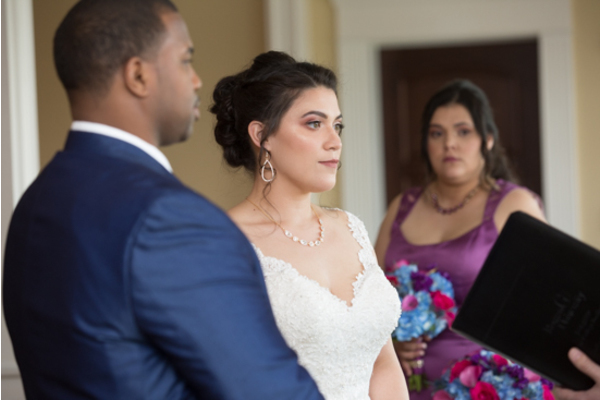 The expression on Jean’s face was truly priceless. 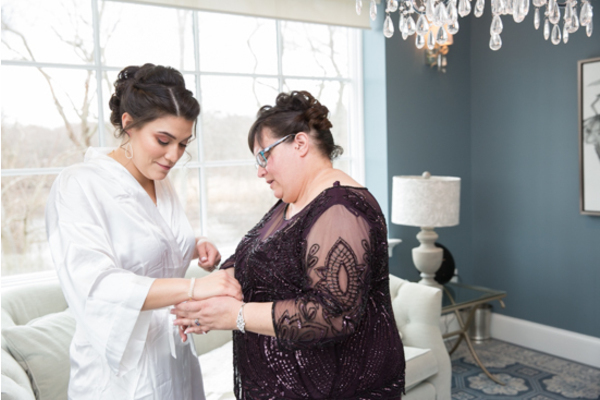 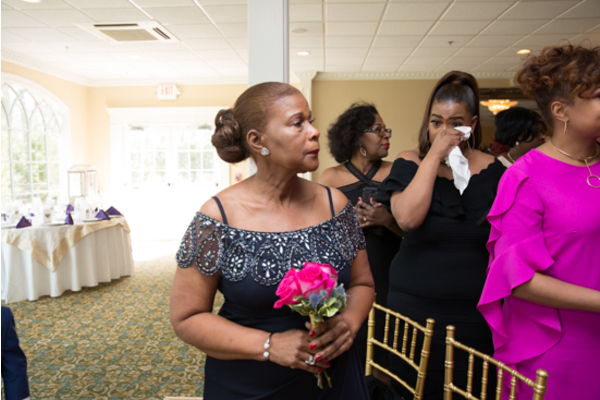 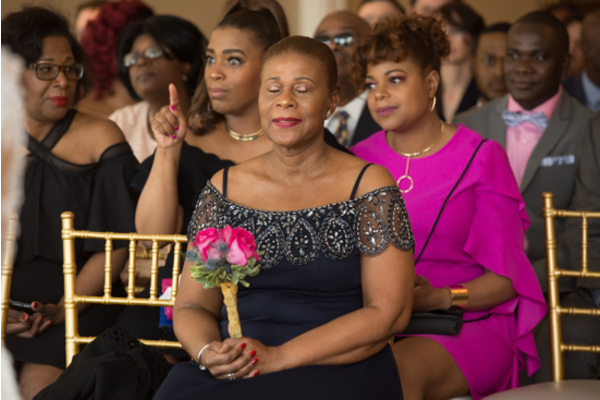 The ceremony showcased the love between Stepahanie and Jean. 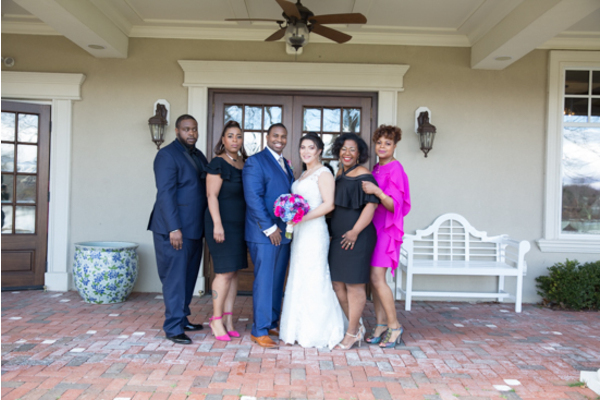 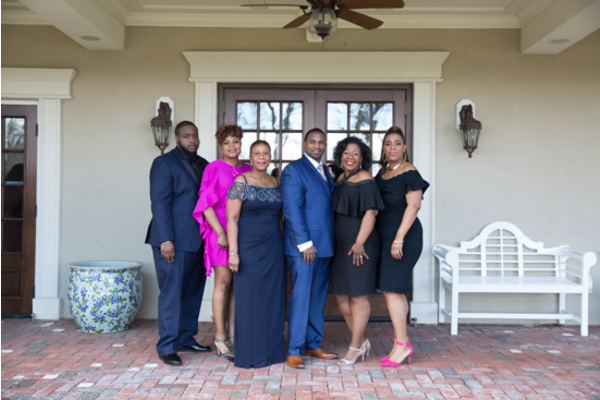 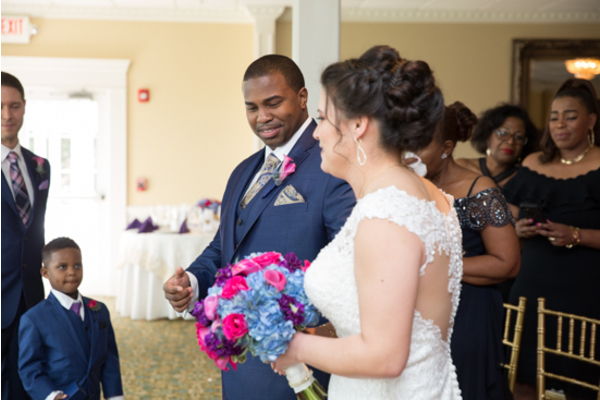 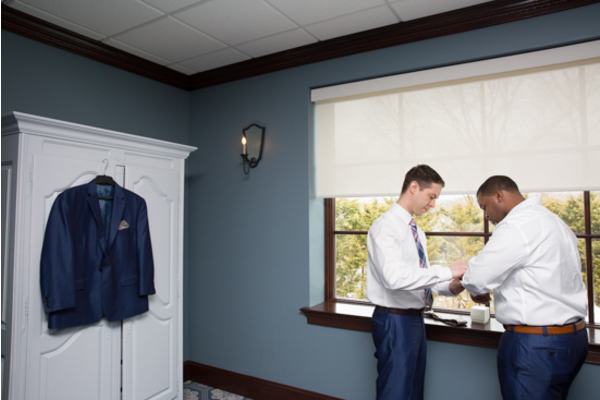 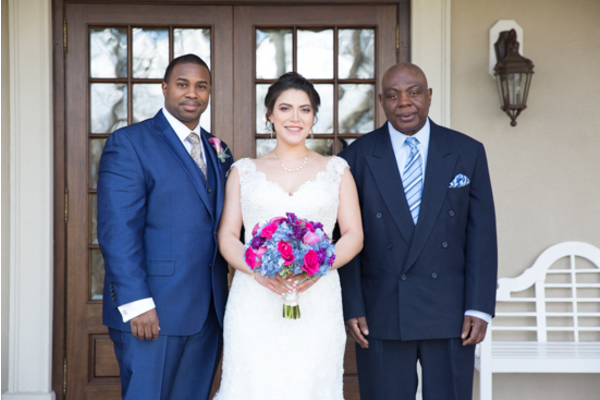 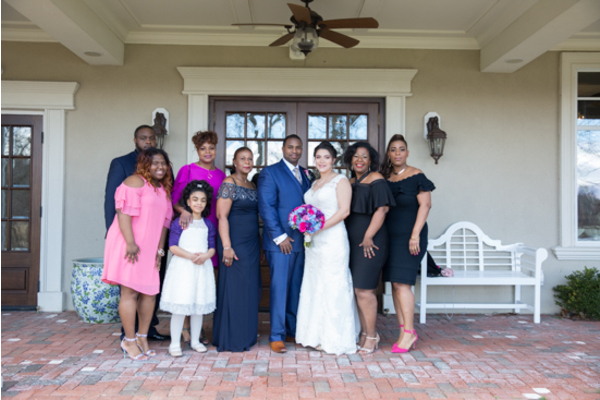 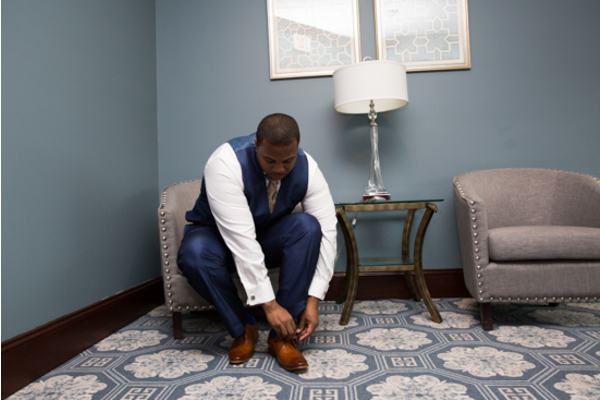 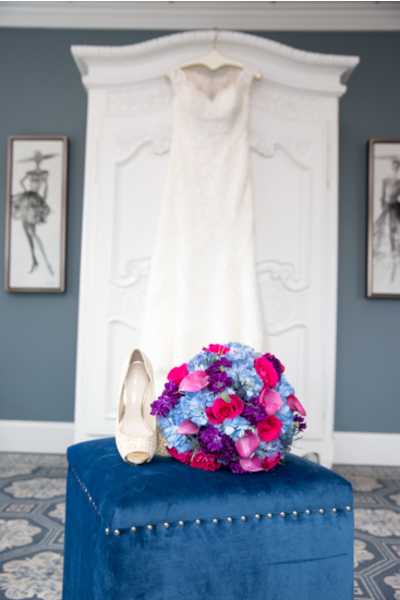 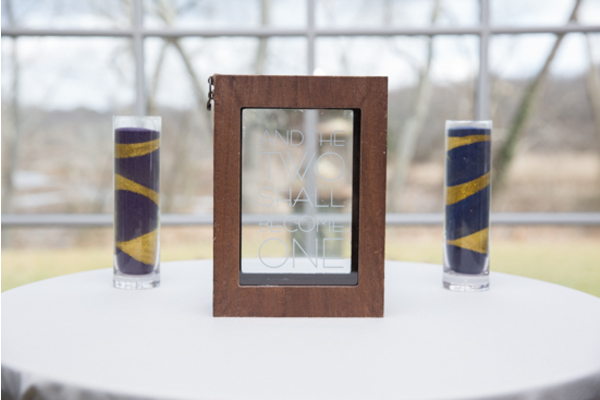 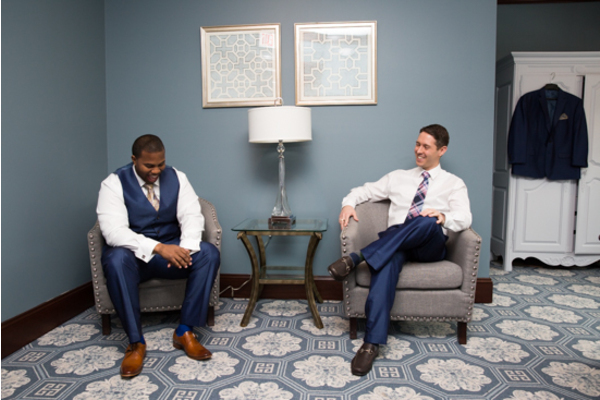 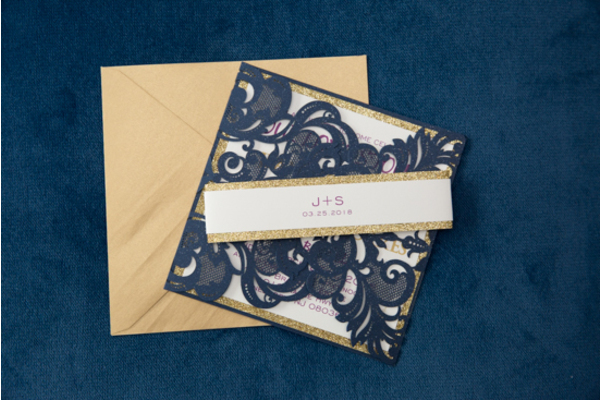 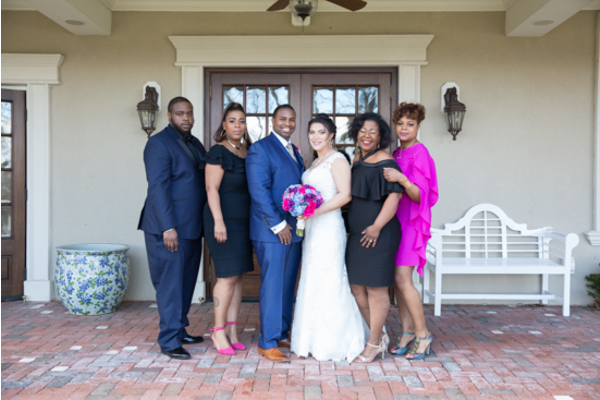 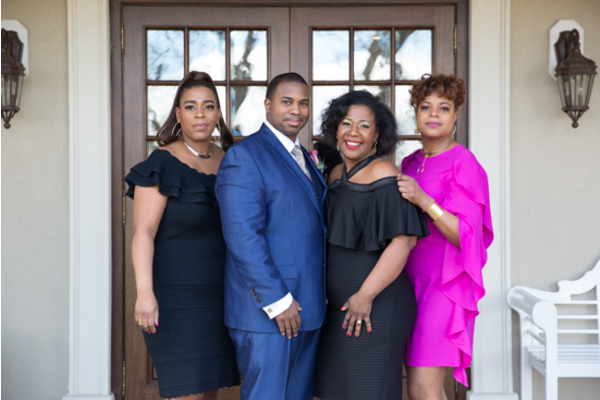 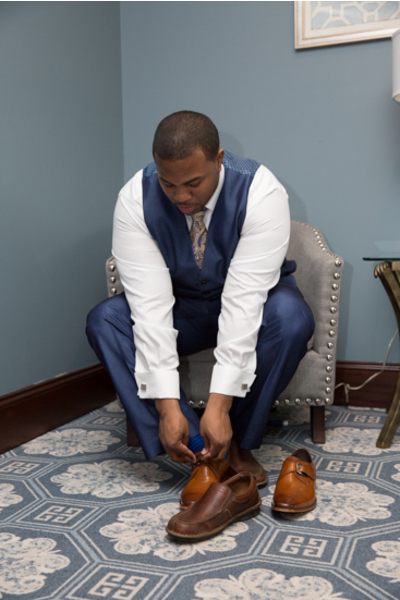 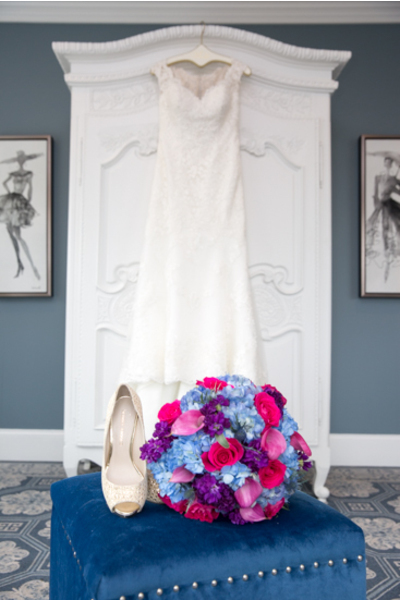 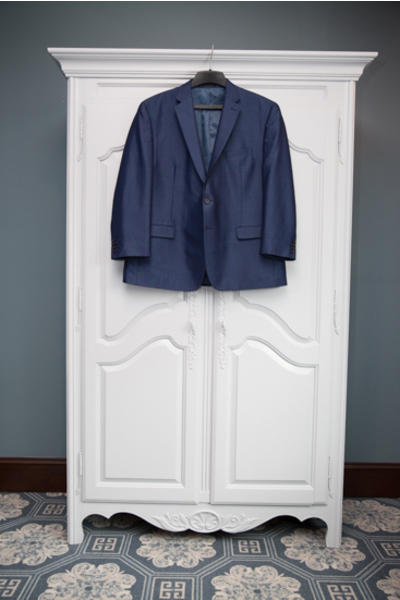 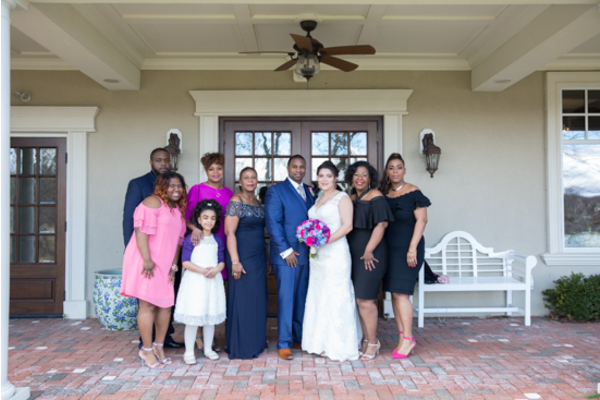 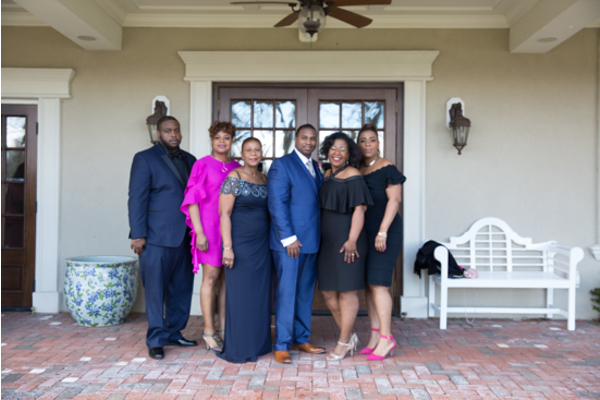 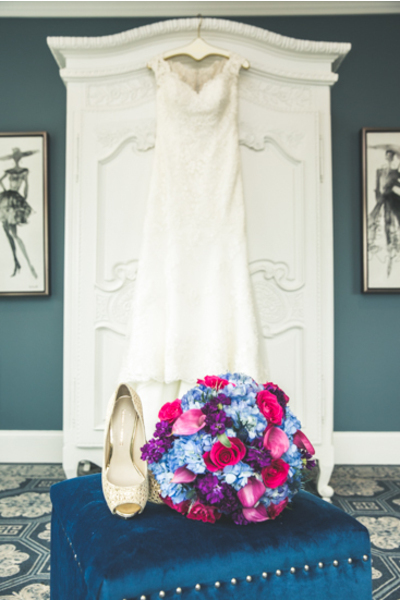 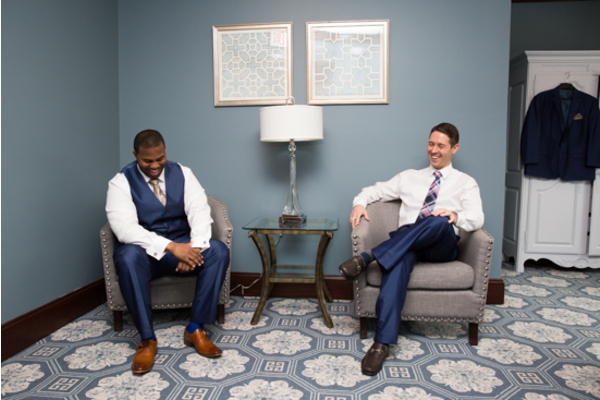 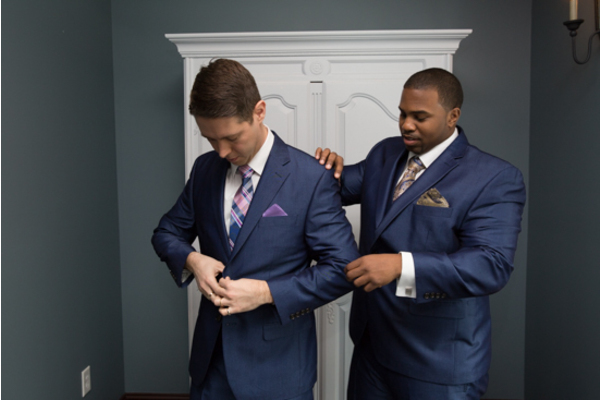 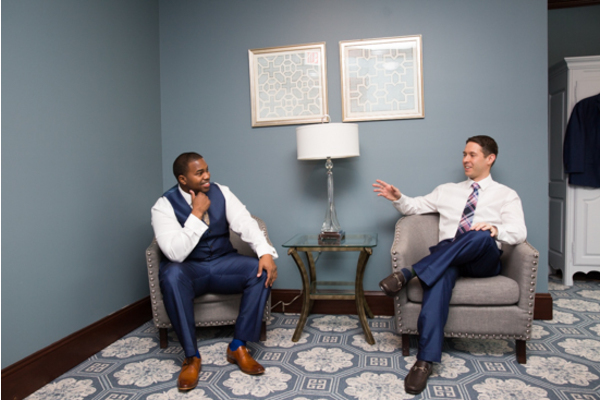 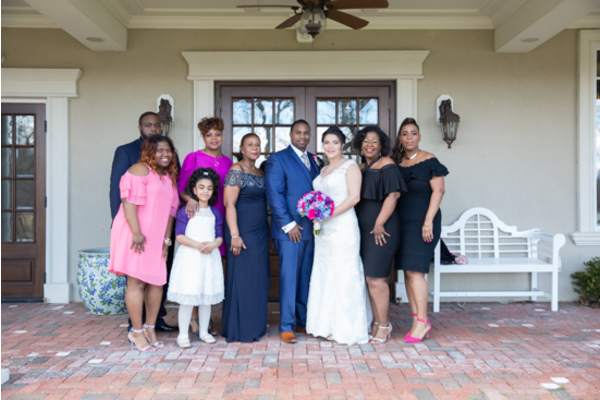 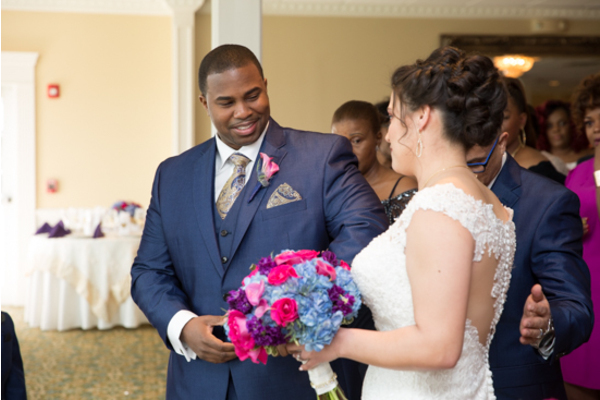 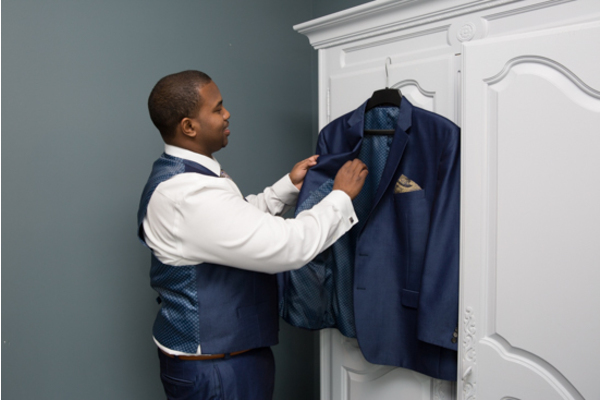 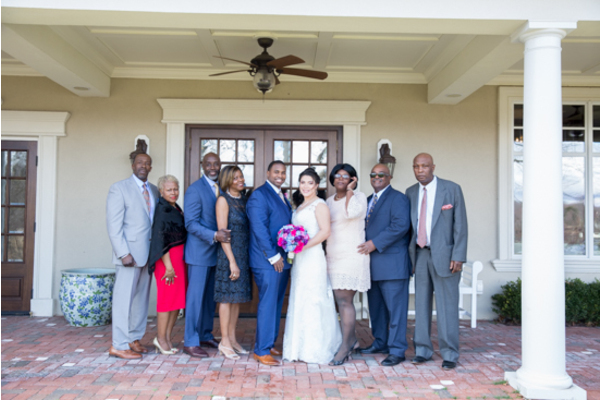 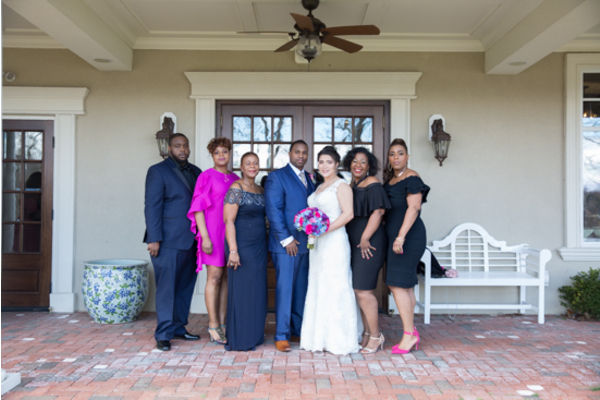 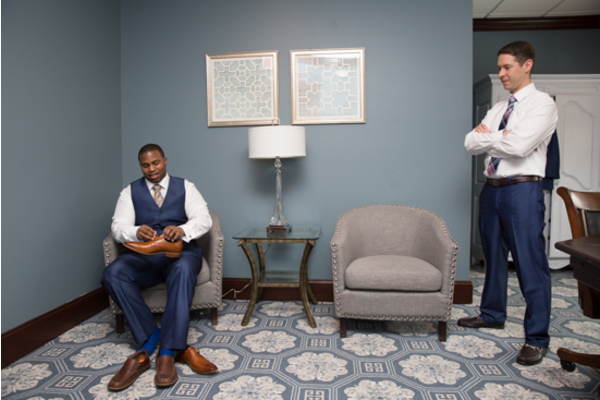 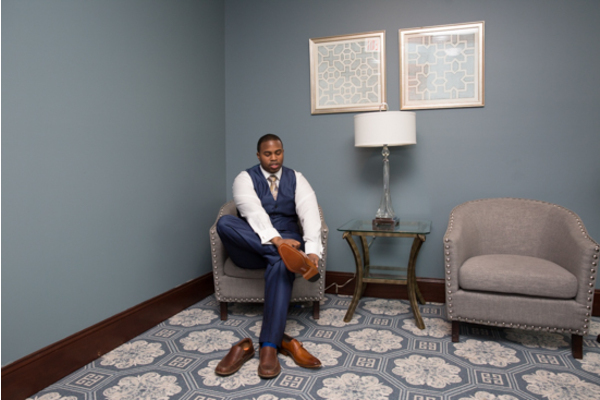 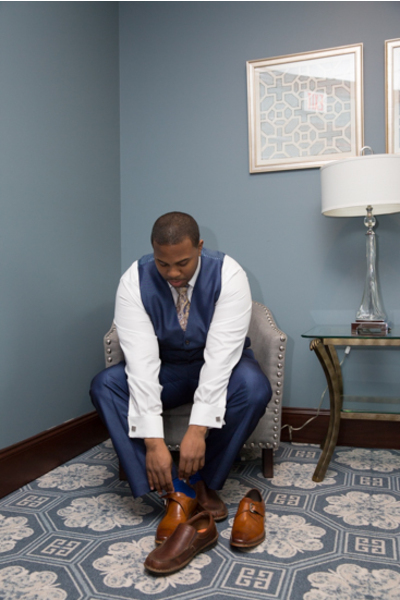 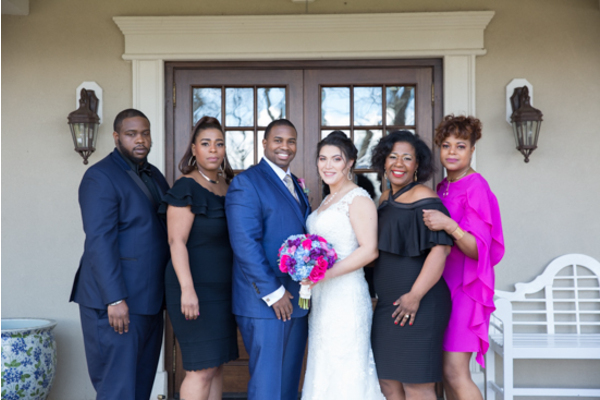 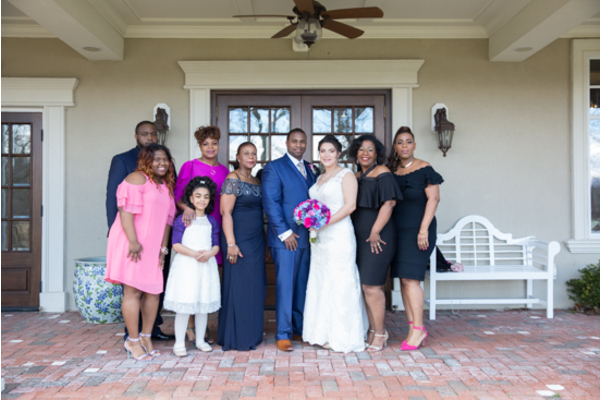 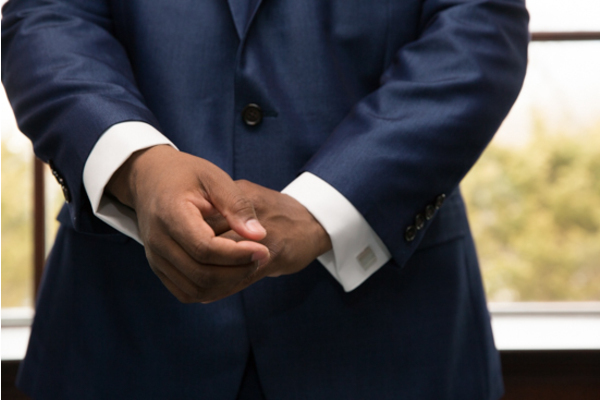 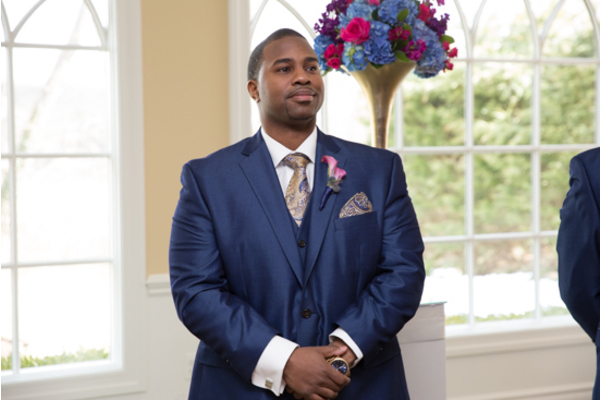 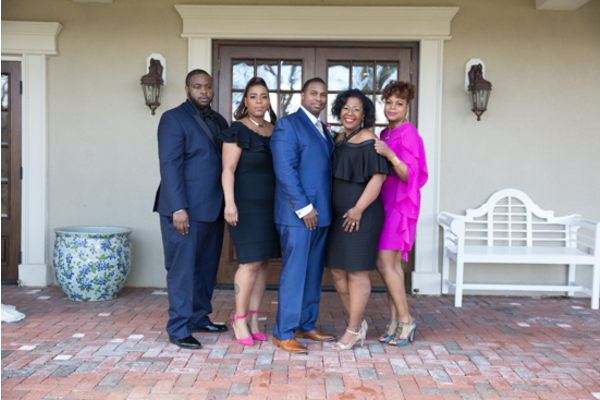 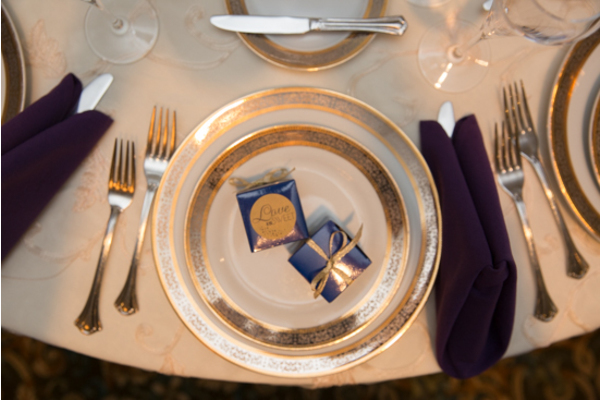 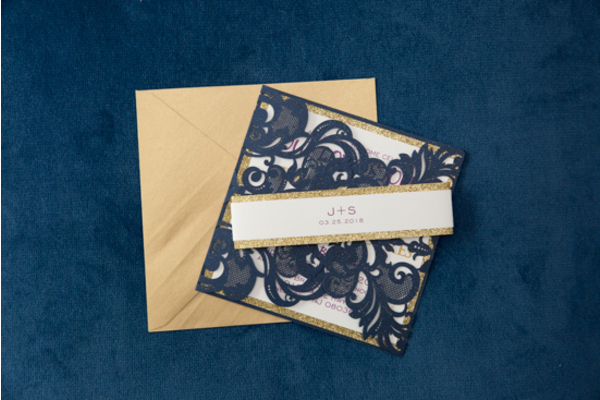 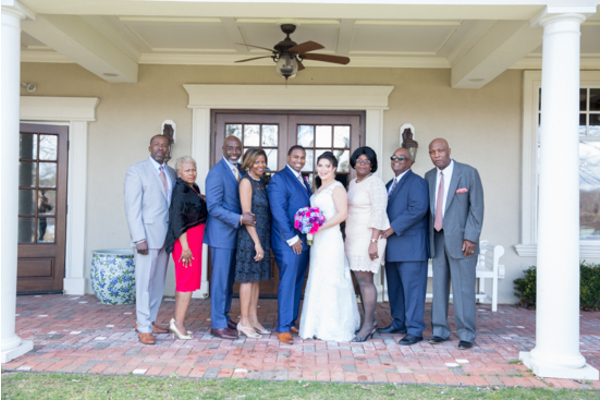 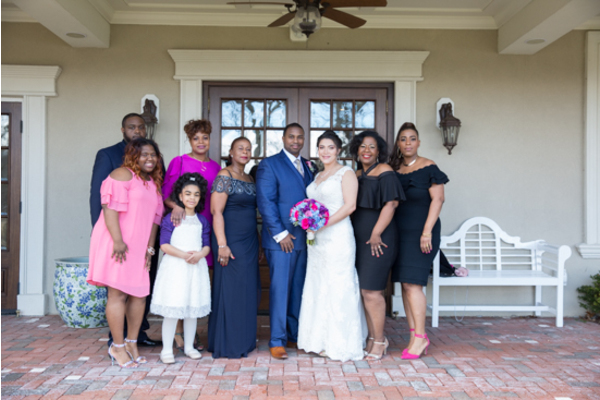 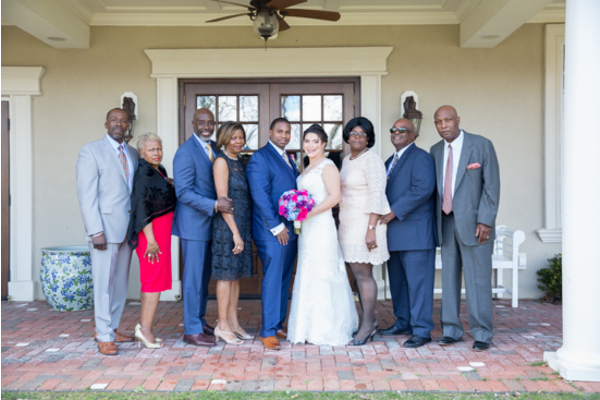 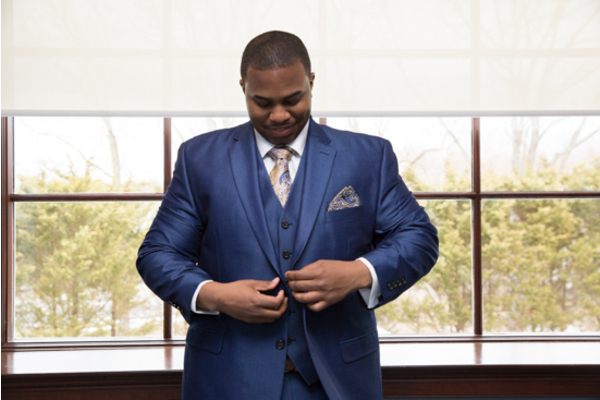 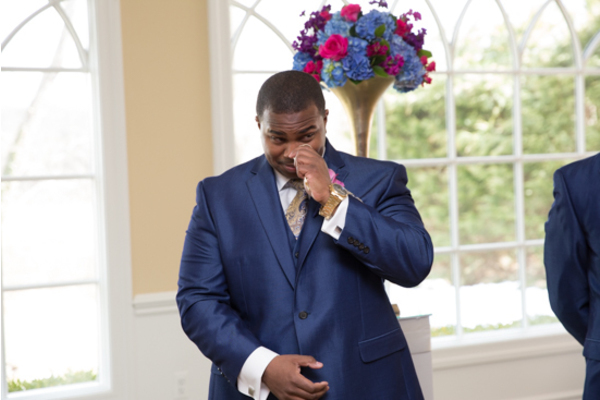 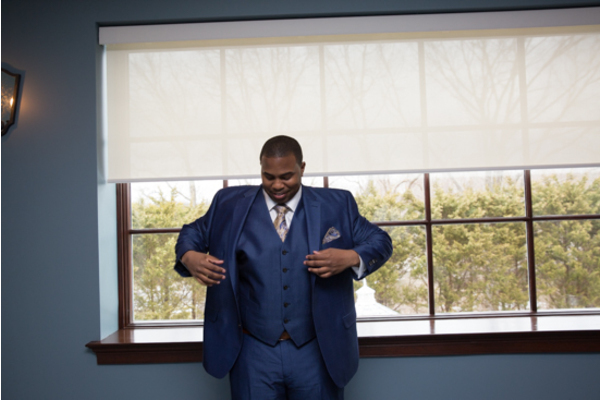 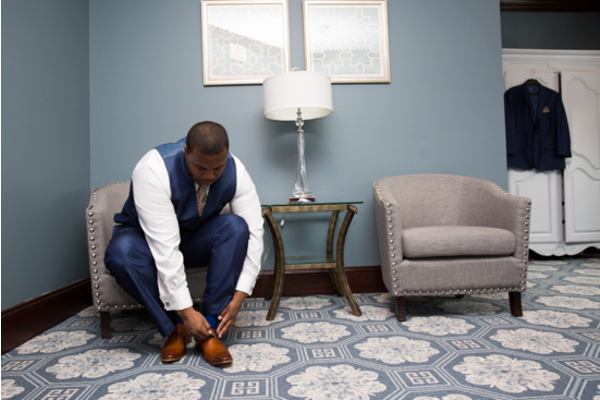 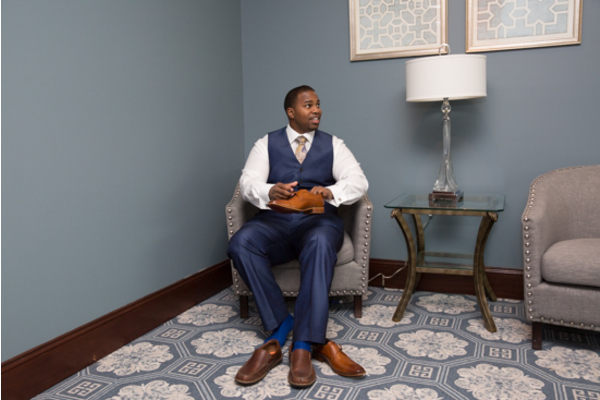 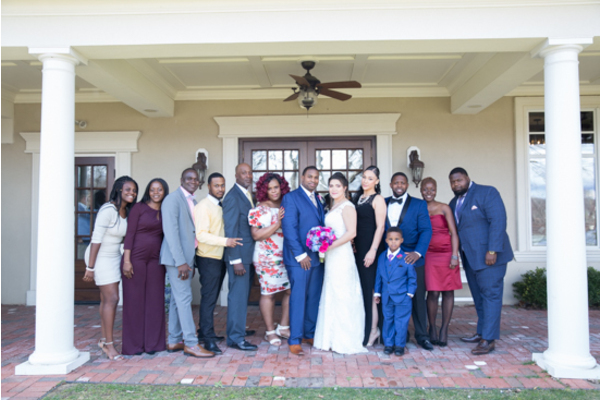 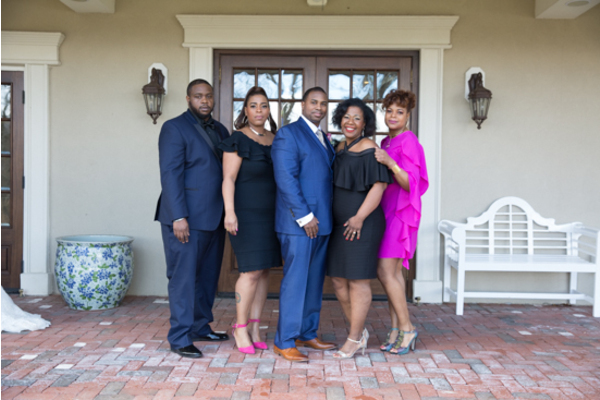 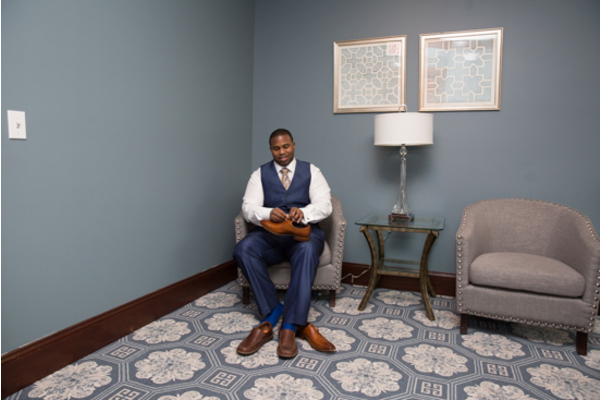 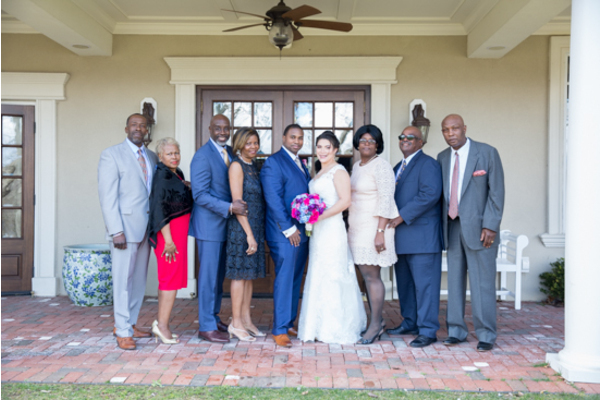 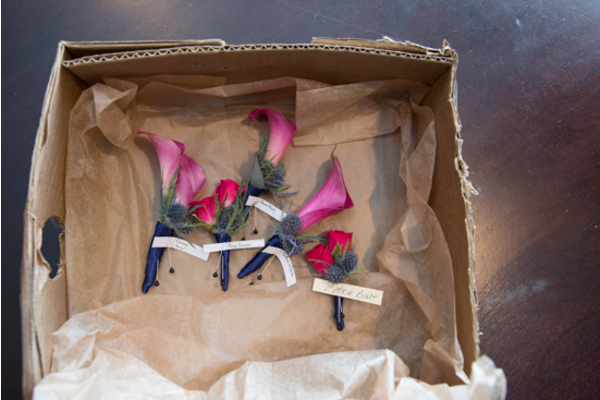 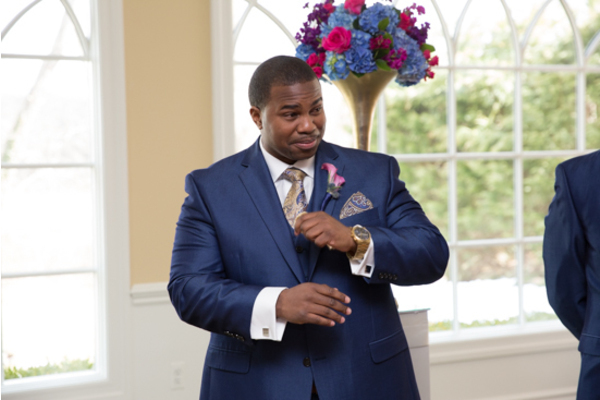 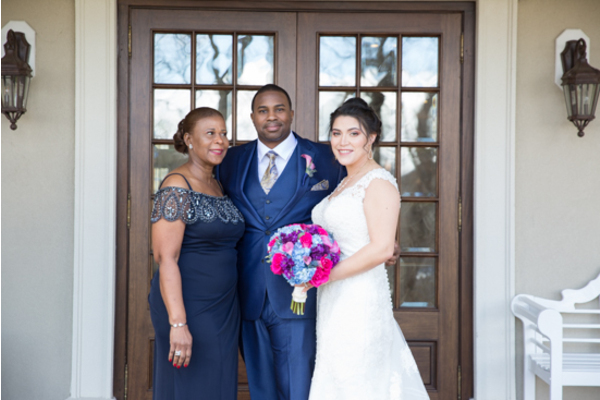 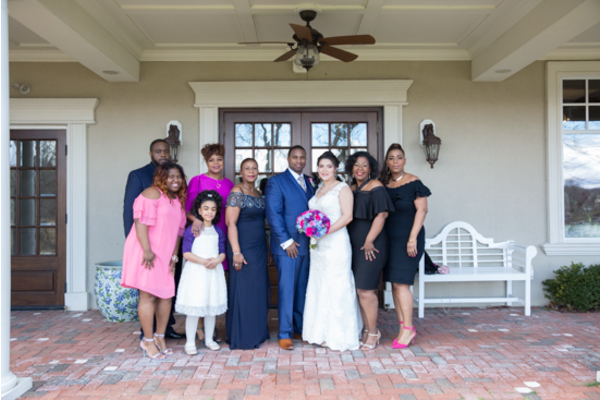 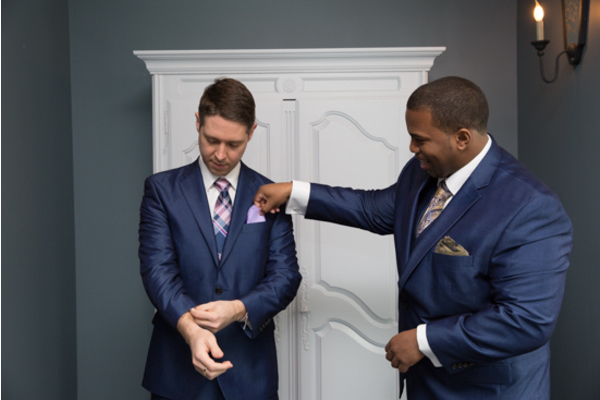 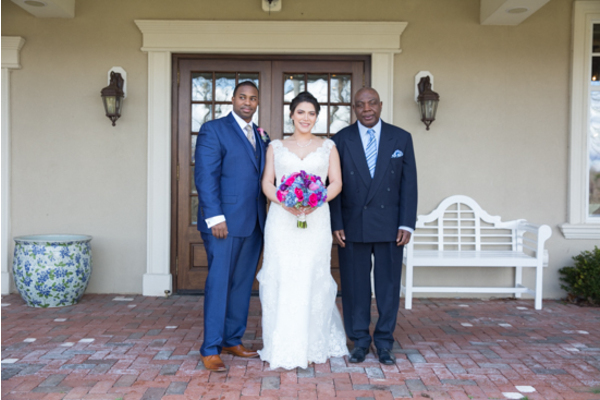 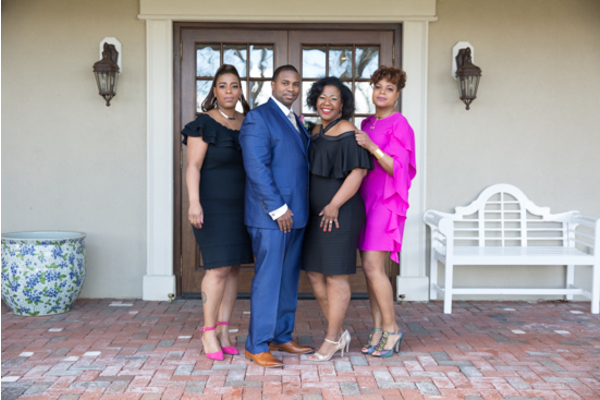 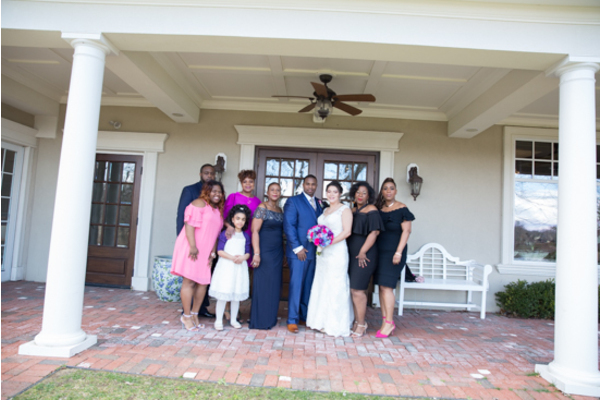 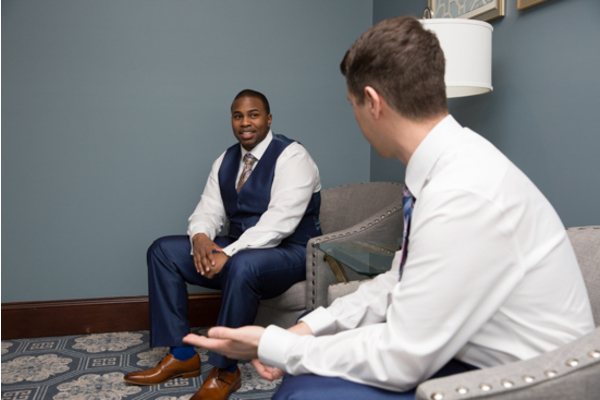 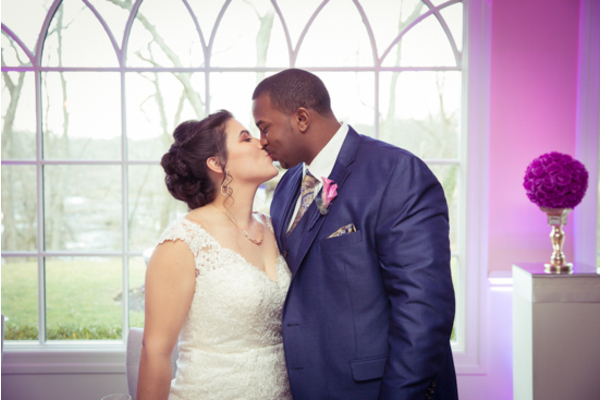 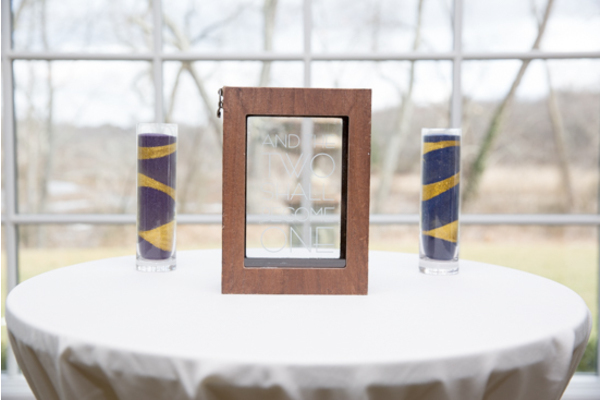 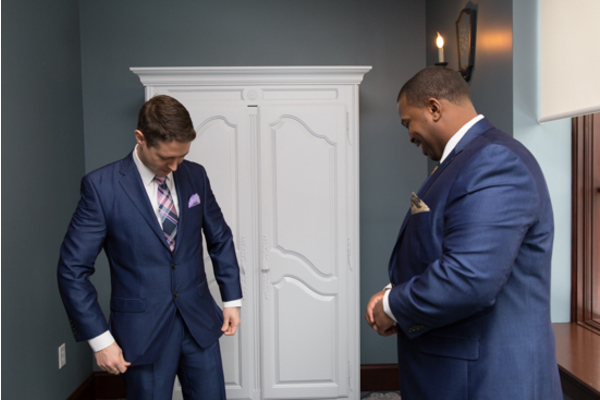 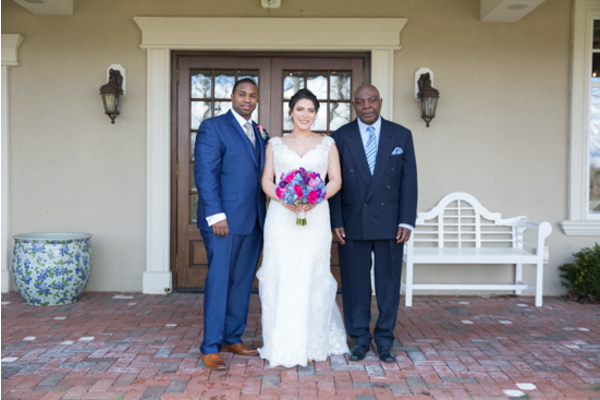 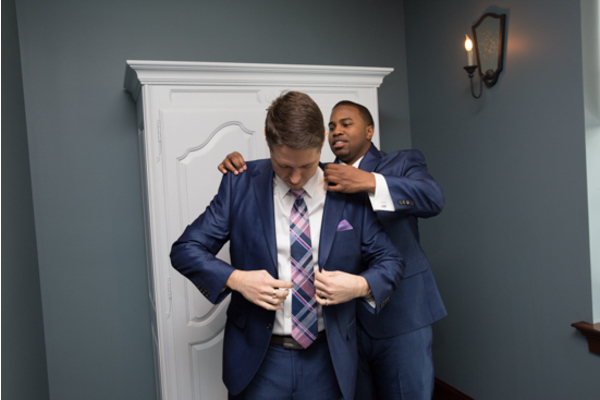 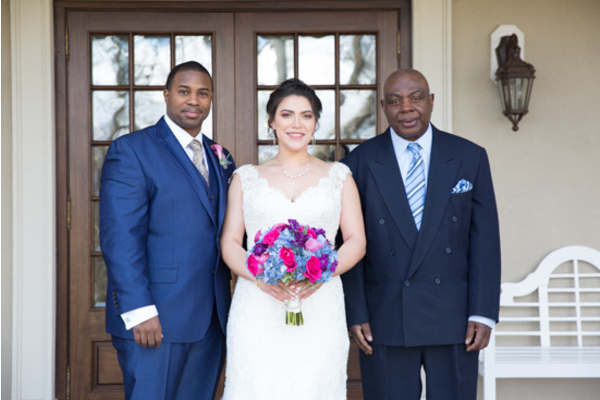 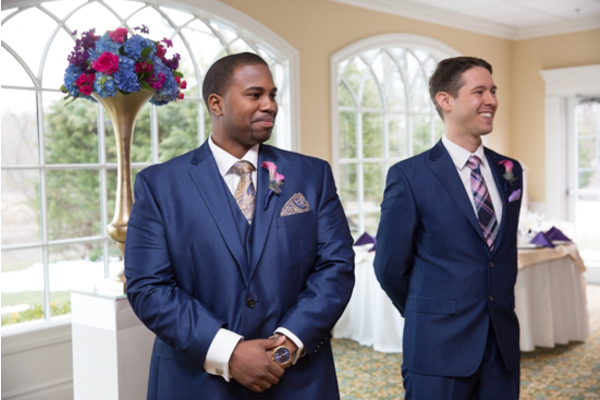 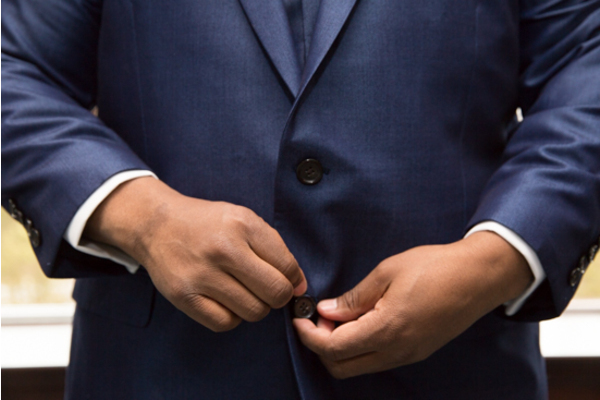 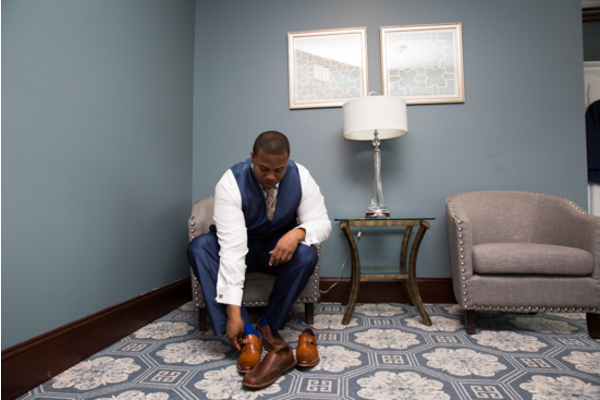 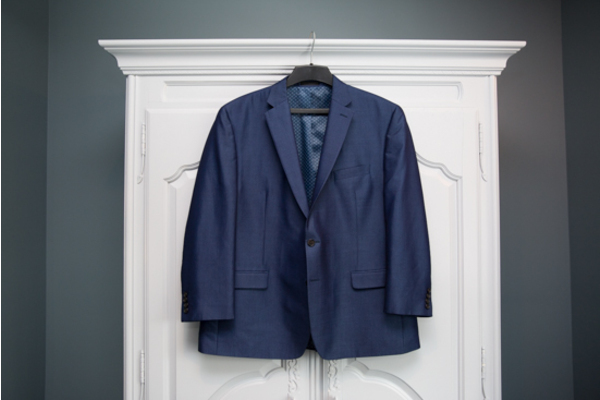 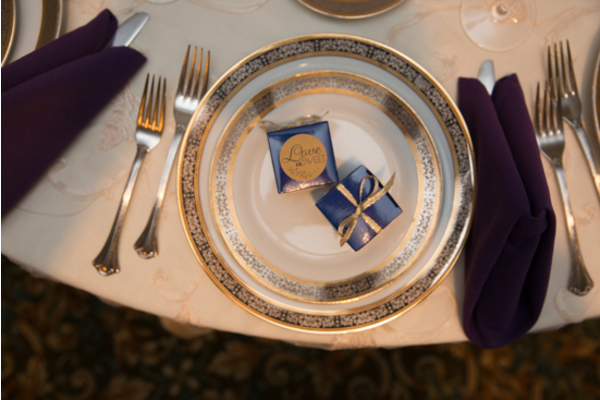 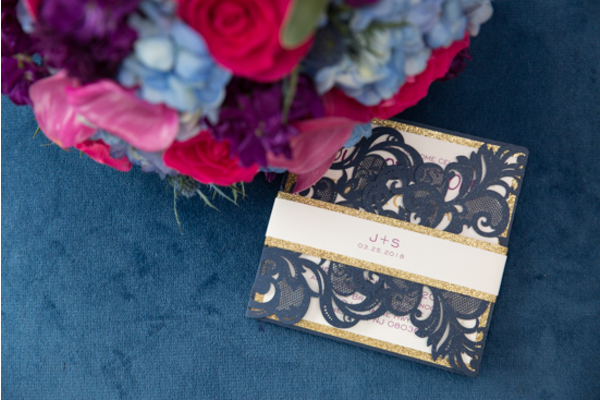 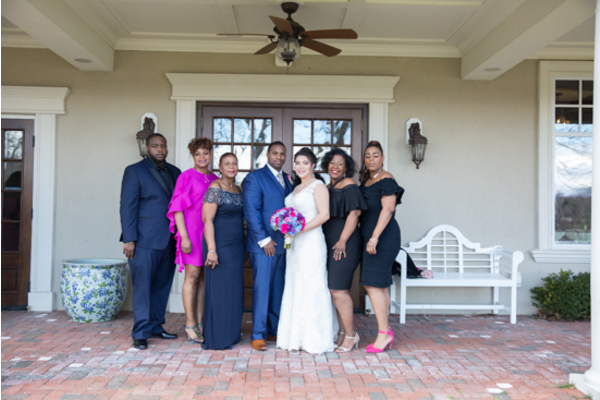 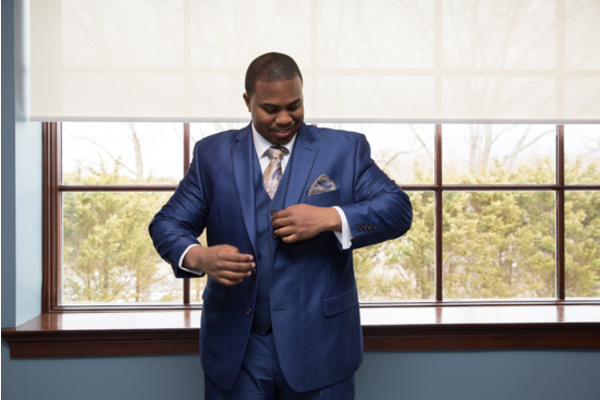 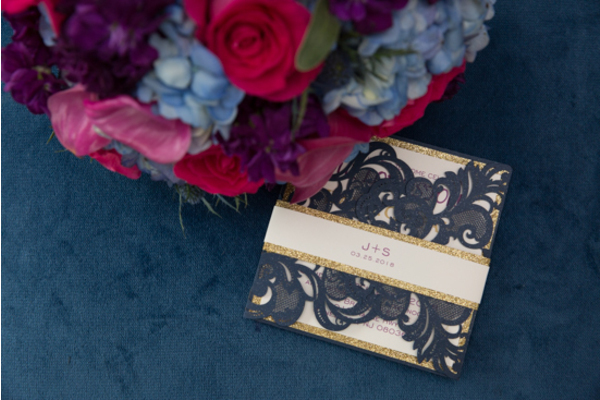 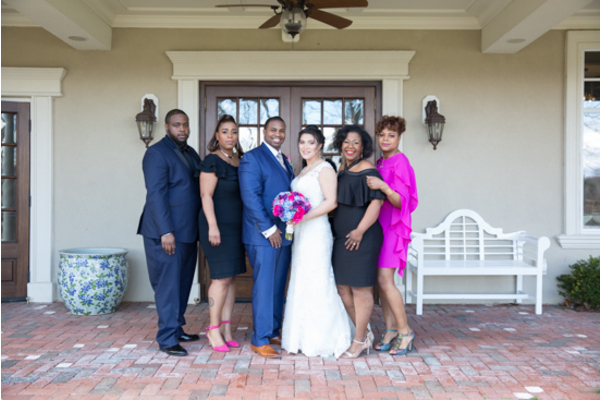 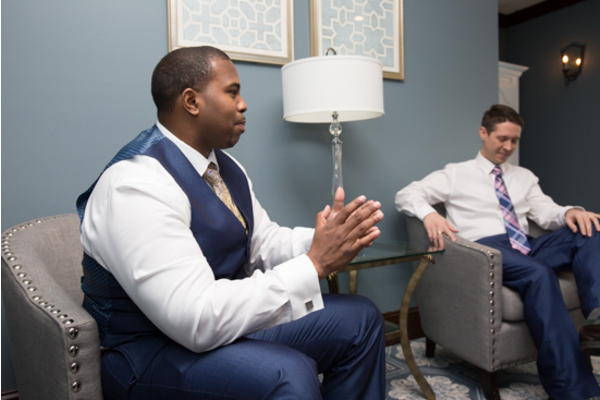 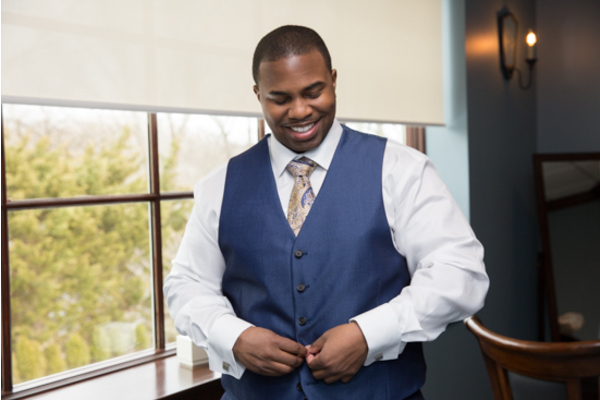 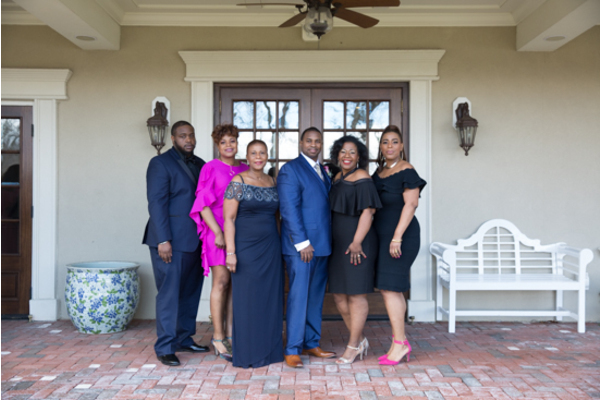 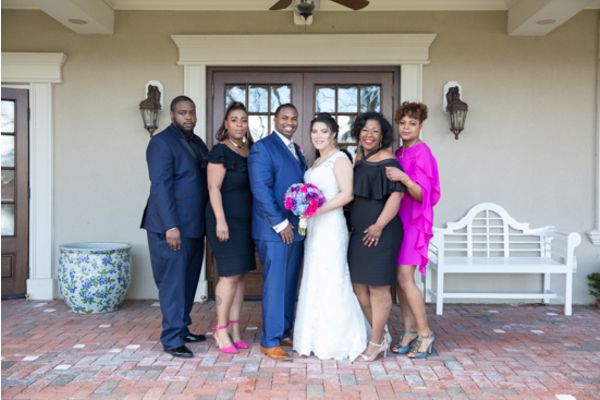 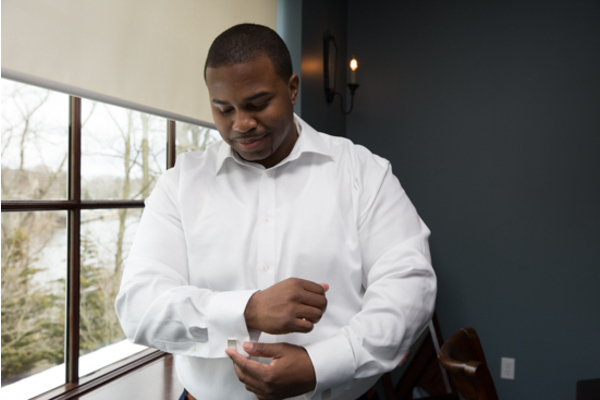 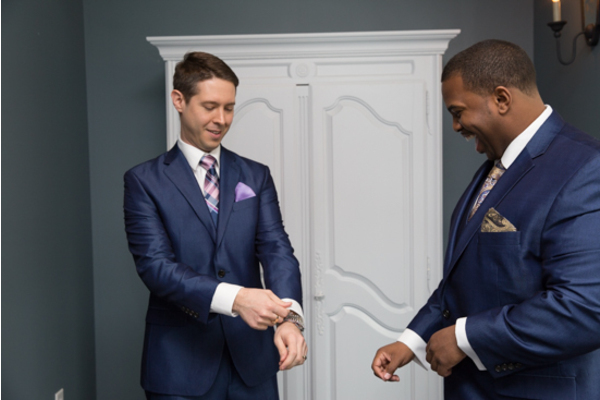 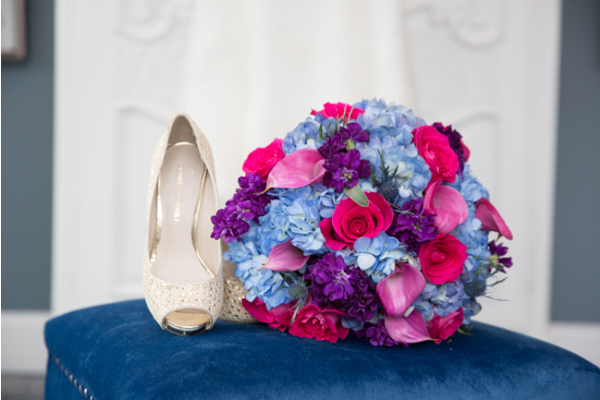 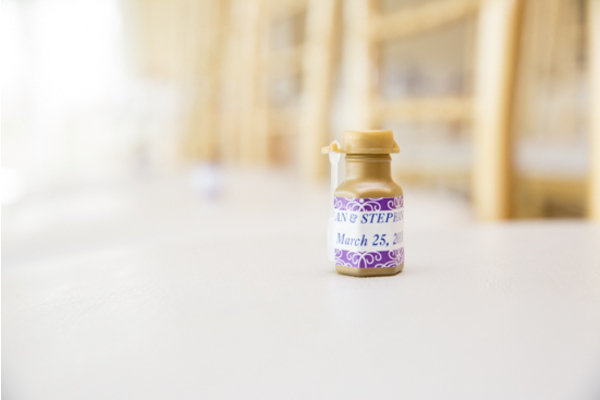 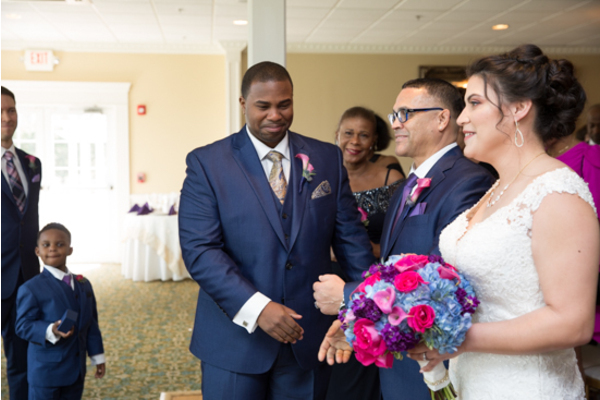 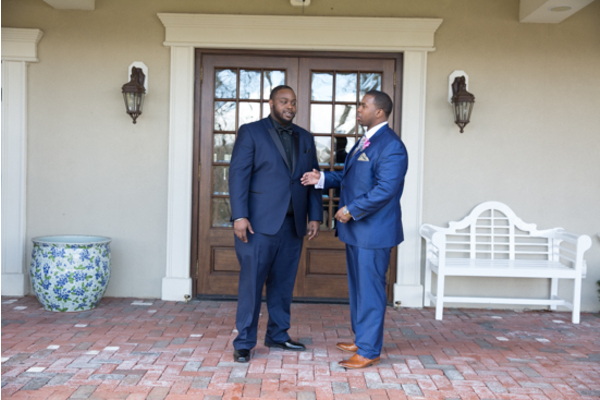 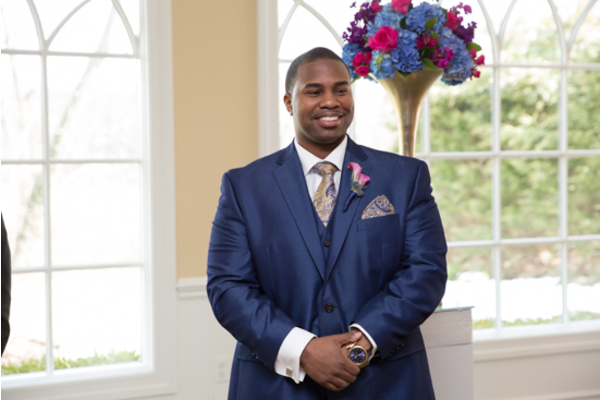 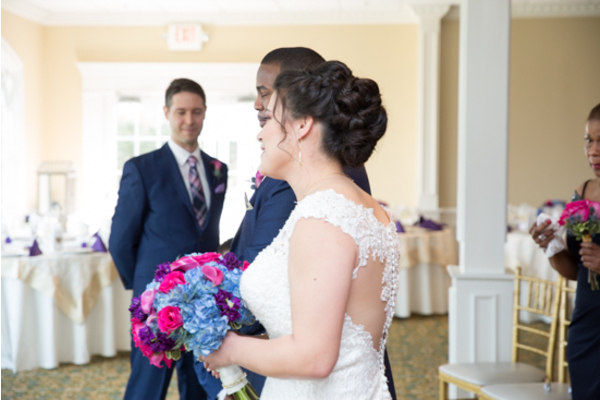 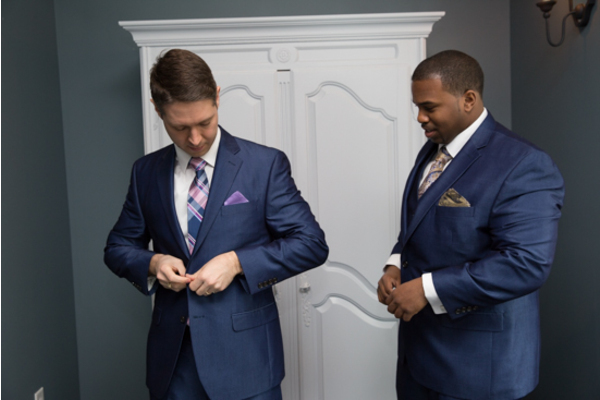 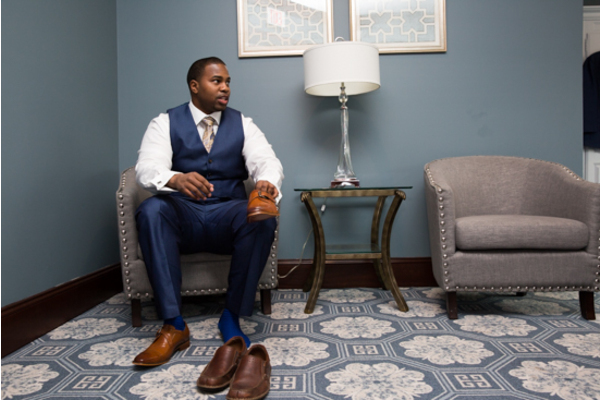 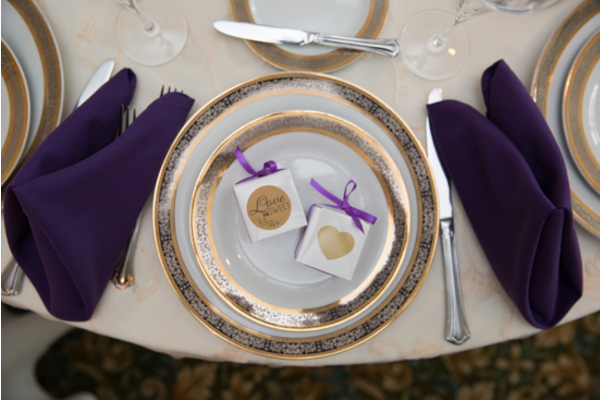 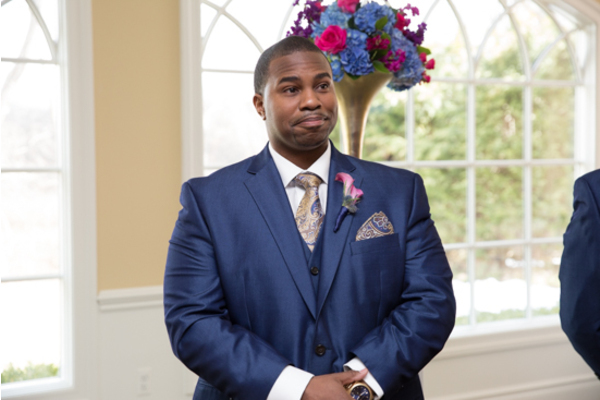 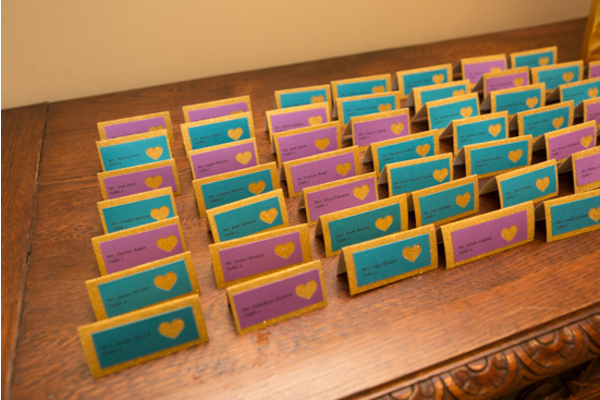 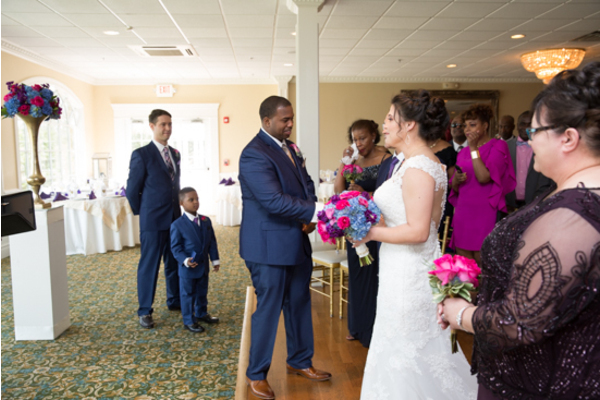 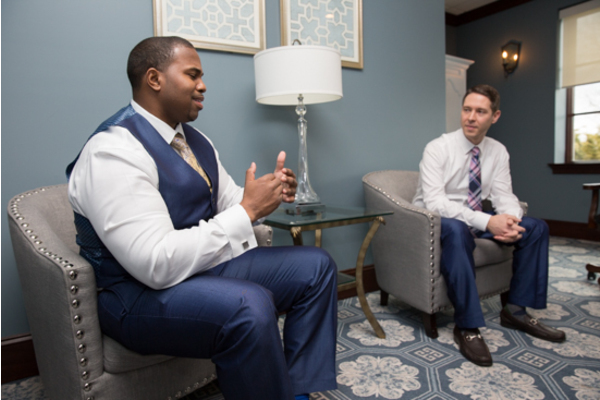 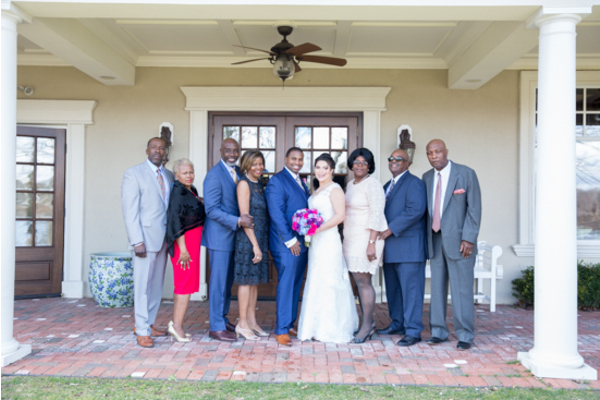 Navy, white, and purple were the chosen colors for this beautiful spring wedding. 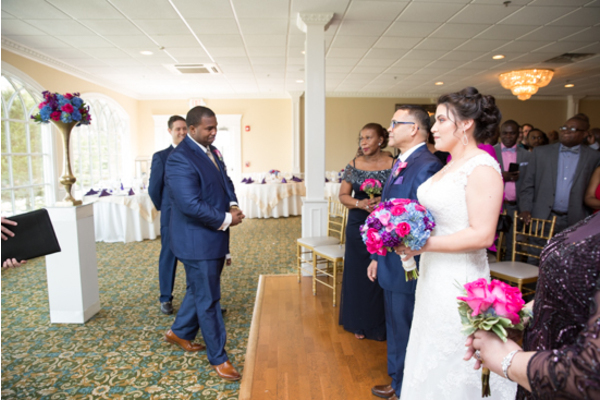 All eyes were on the bride as she was escorted down the aisle. 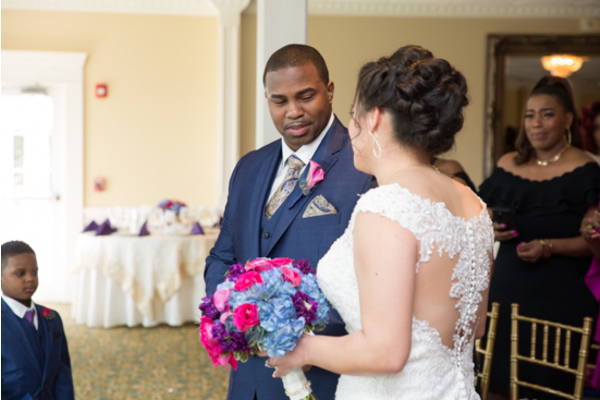 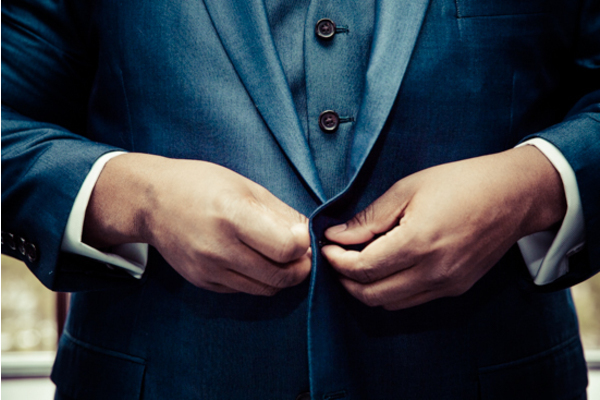 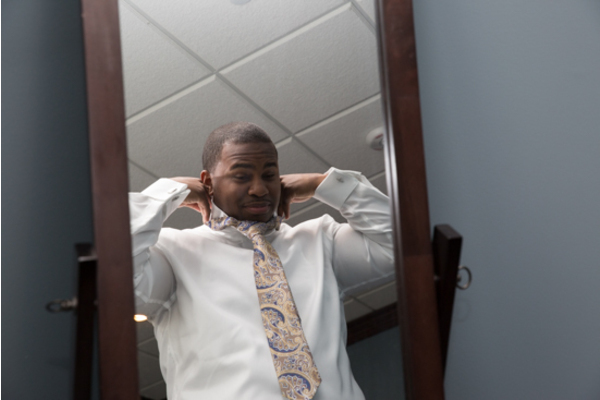 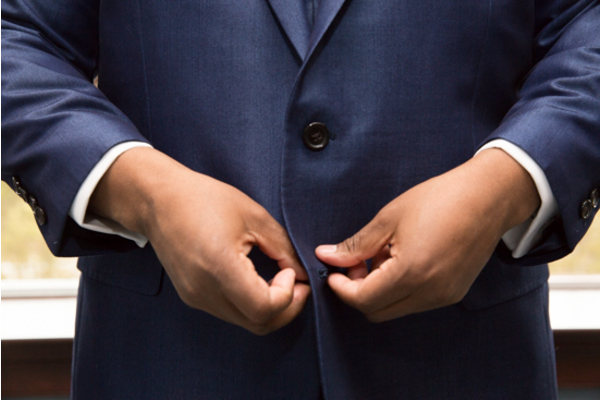 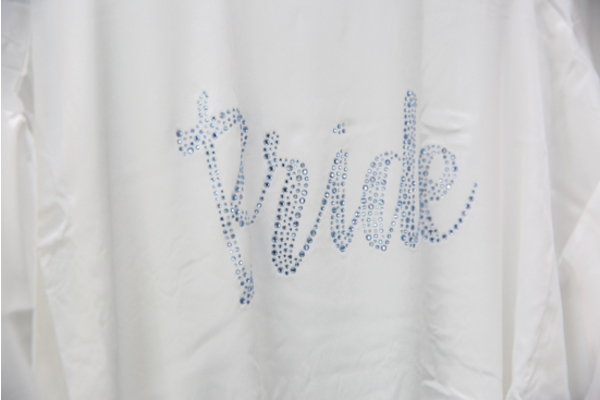 Jean’s face lit up when he saw Stephanie walking towards him in her gorgeous gown. 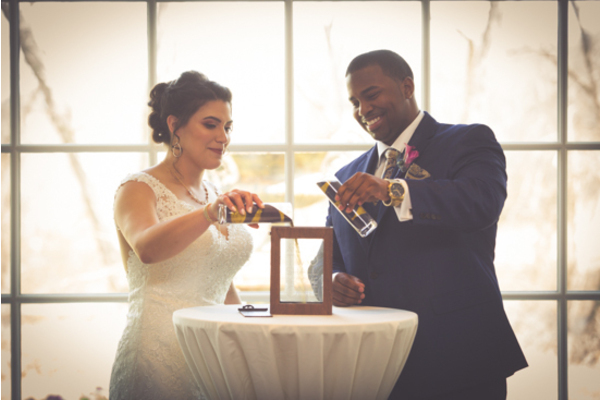 As a symbol of their commitment to each other and lives joining together as one the Mr. & Mrs. each poured a glass of water into a vase. 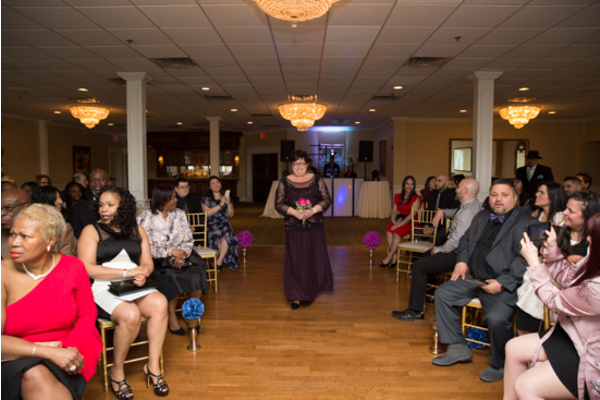 The celebration was a night to remember. 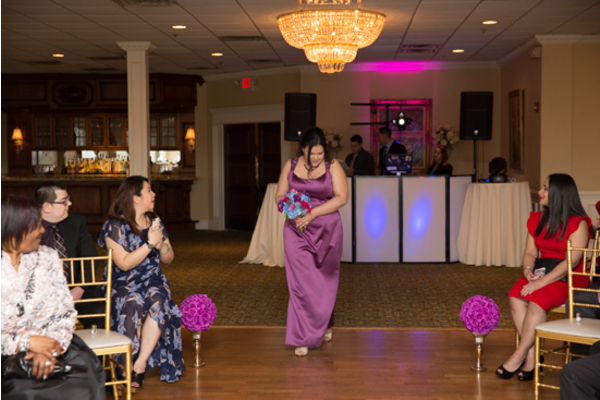 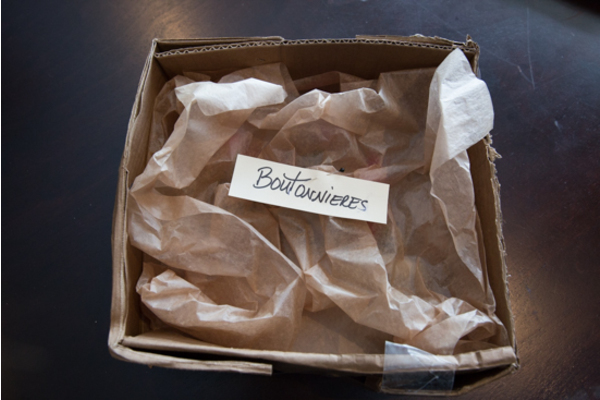 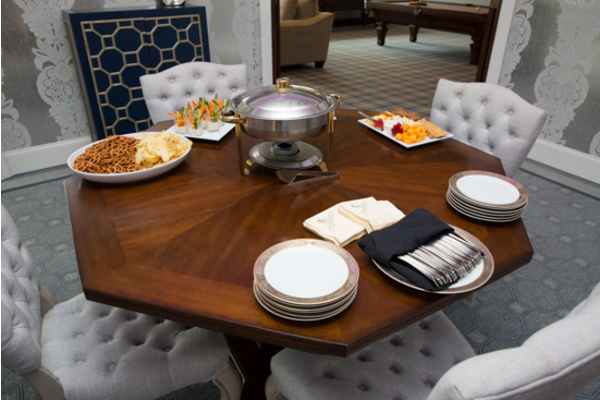 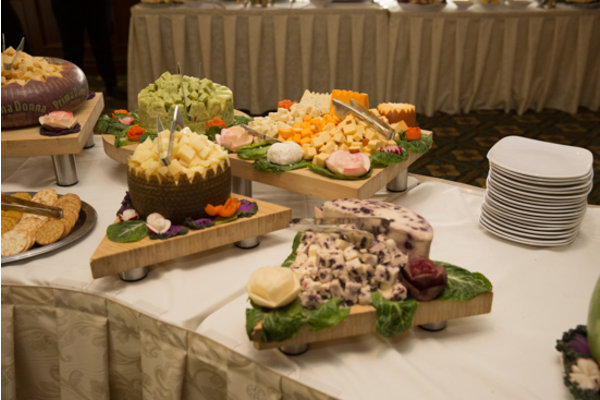 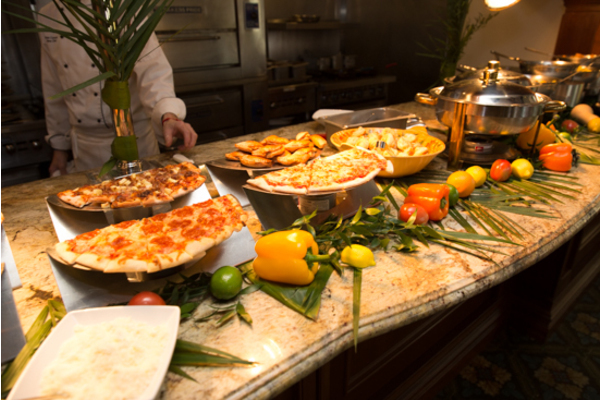 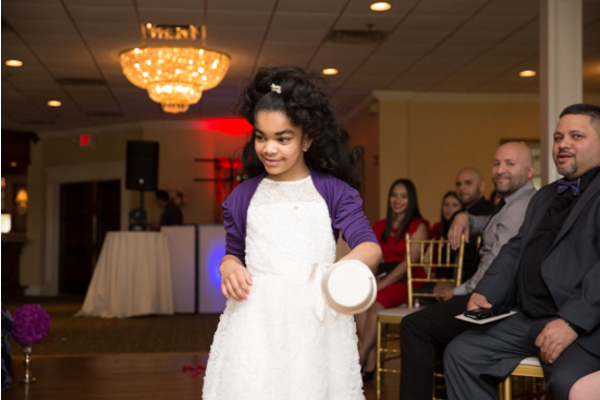 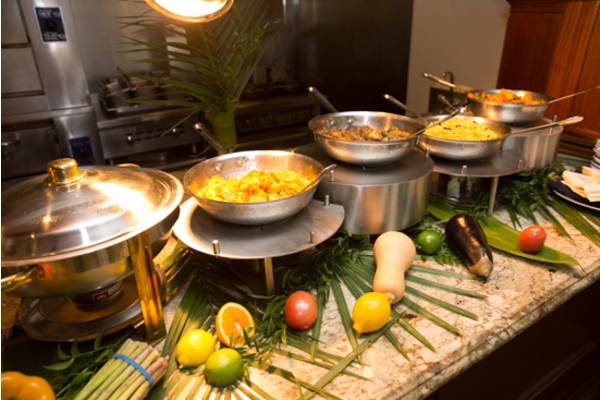 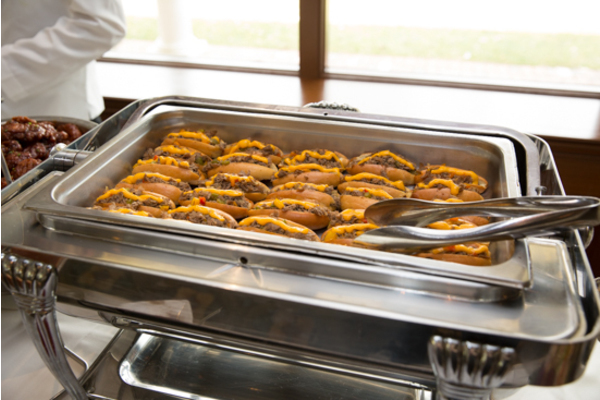 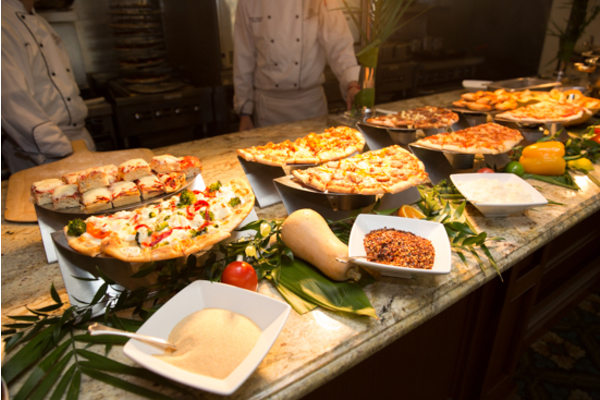 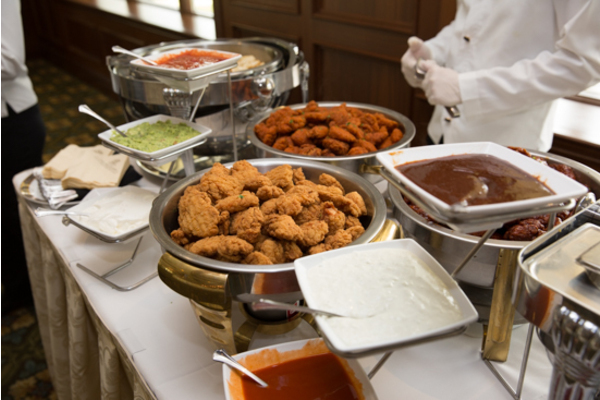 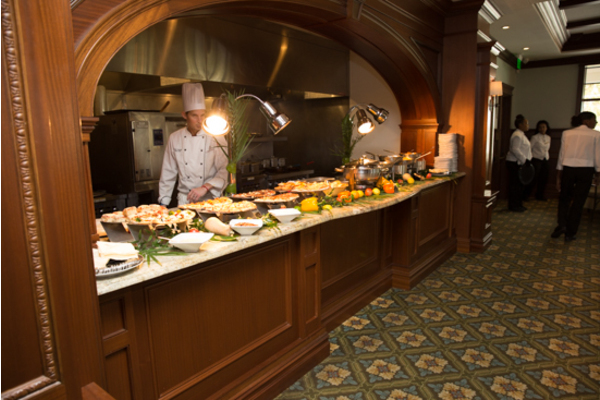 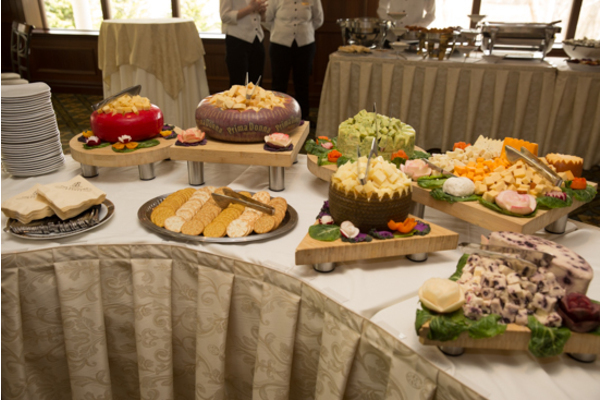 The food was delicious, the guests were up and dancing, and the love was true! 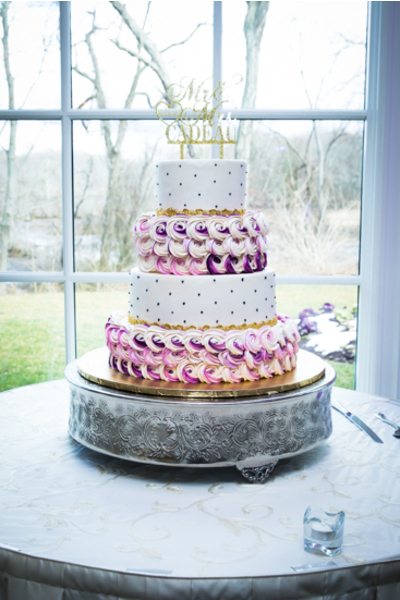 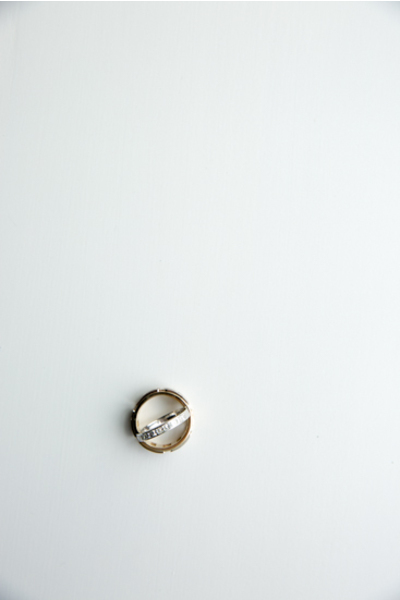 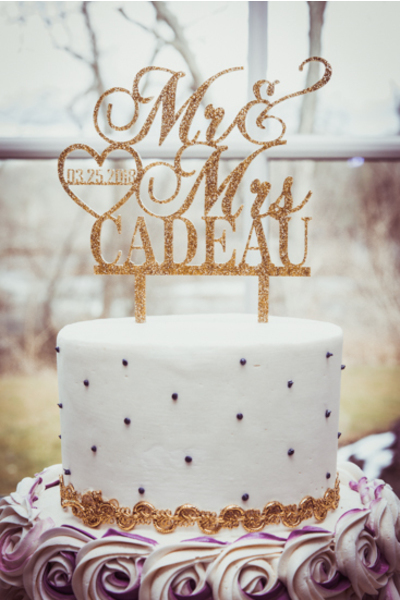 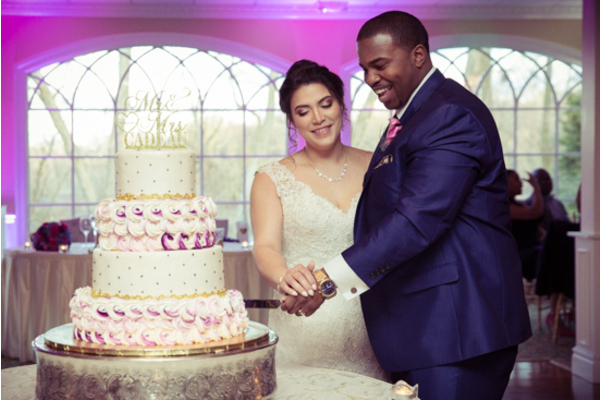 Our NJ Wedding photographer captured all the treasured moments, the first dance, the speeches, and the cake smashing. 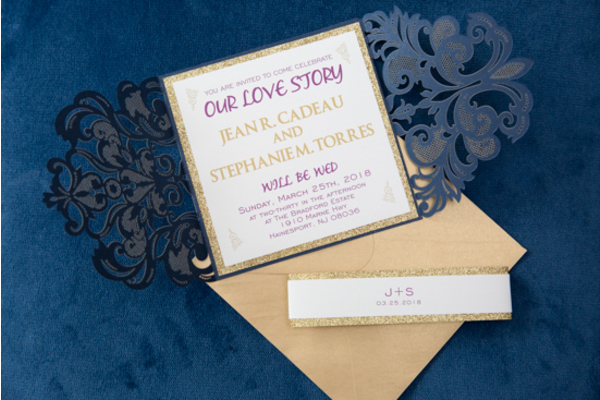 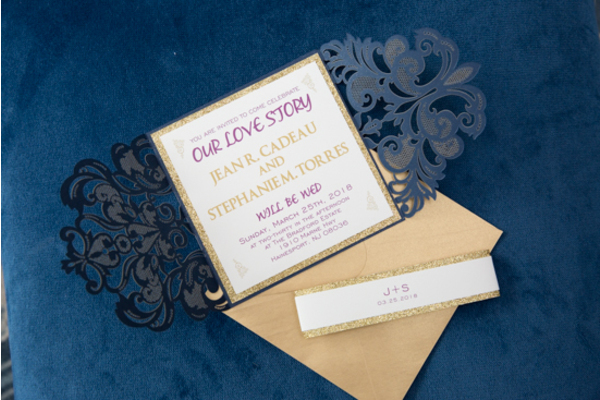 Congratulations, again, to Stephanie and Jean! 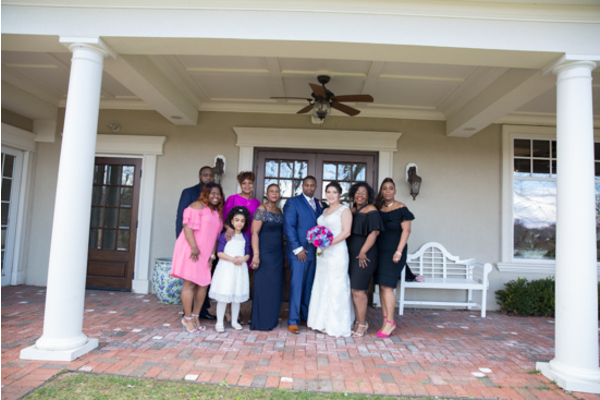 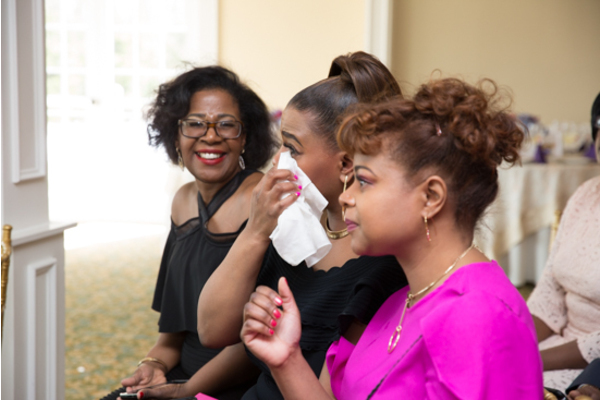 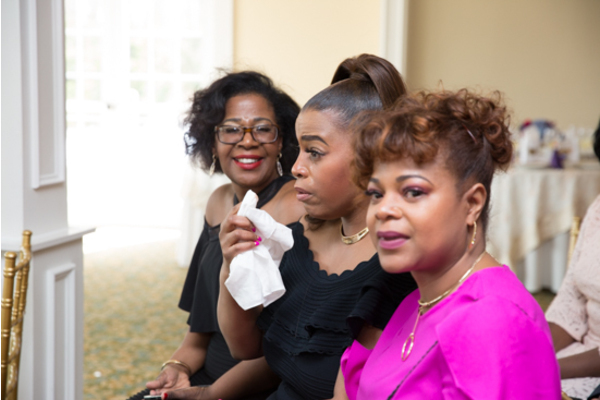 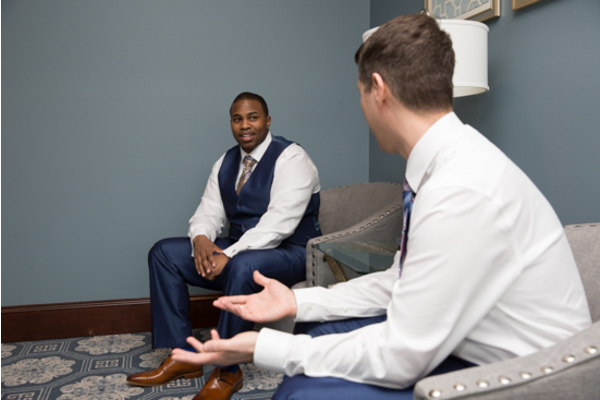 We are so happy we were able to be apart of your special day. 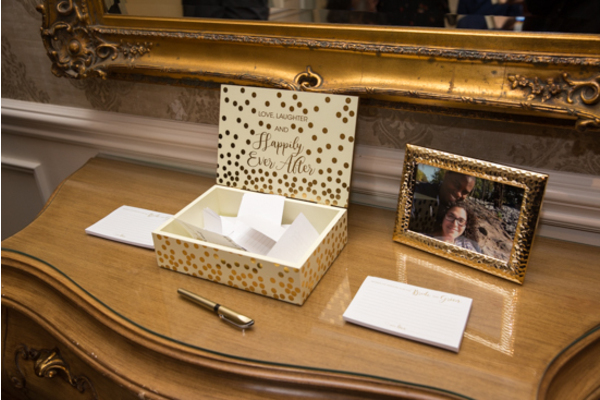 Wishing you all the best as you continue to write your love story!